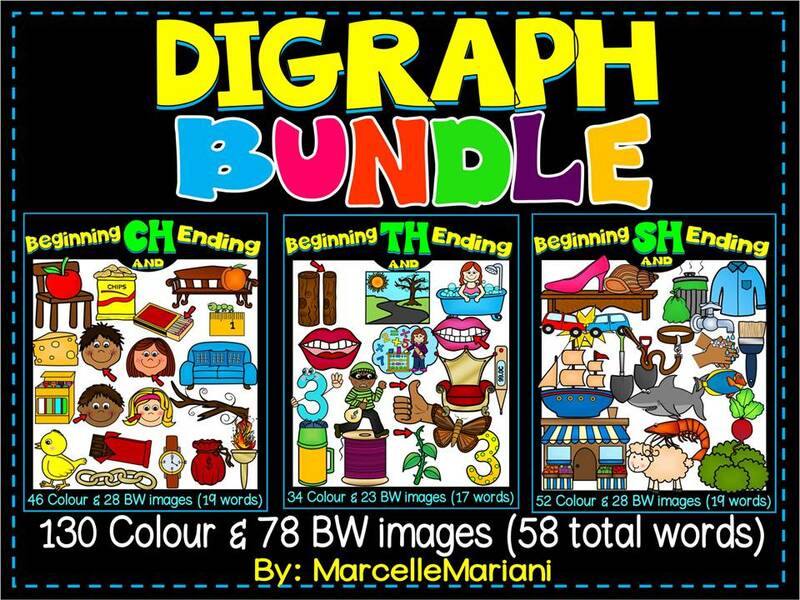 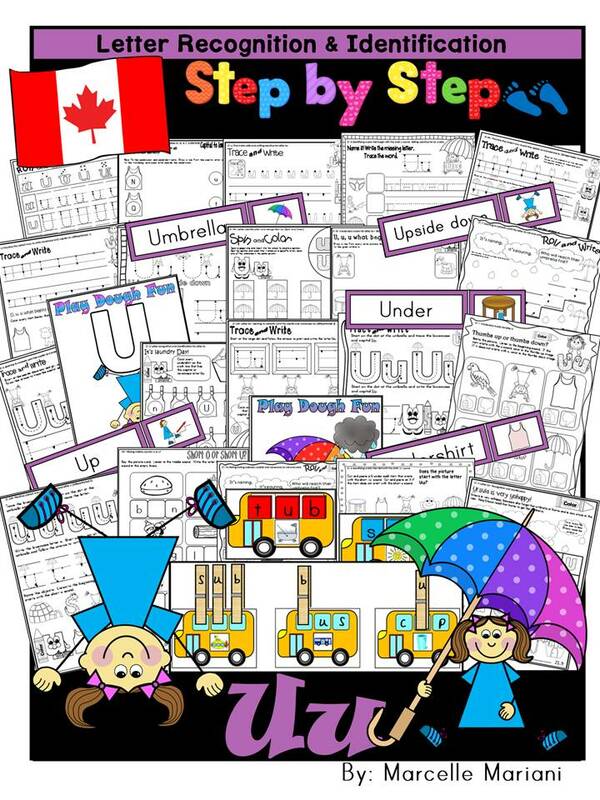 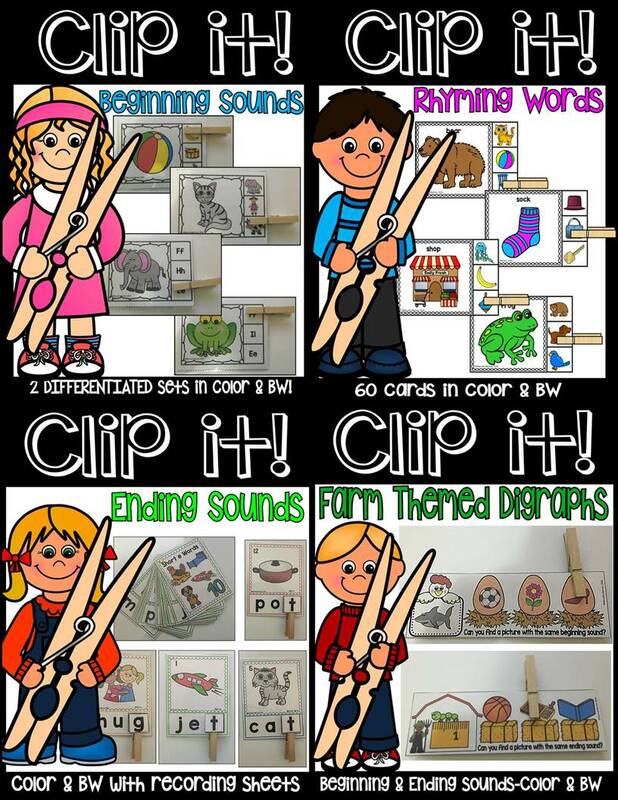 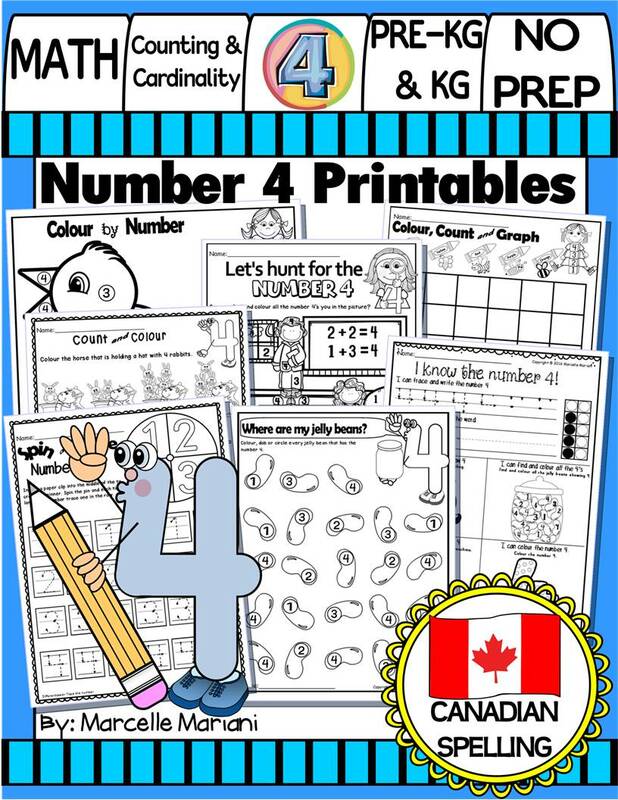 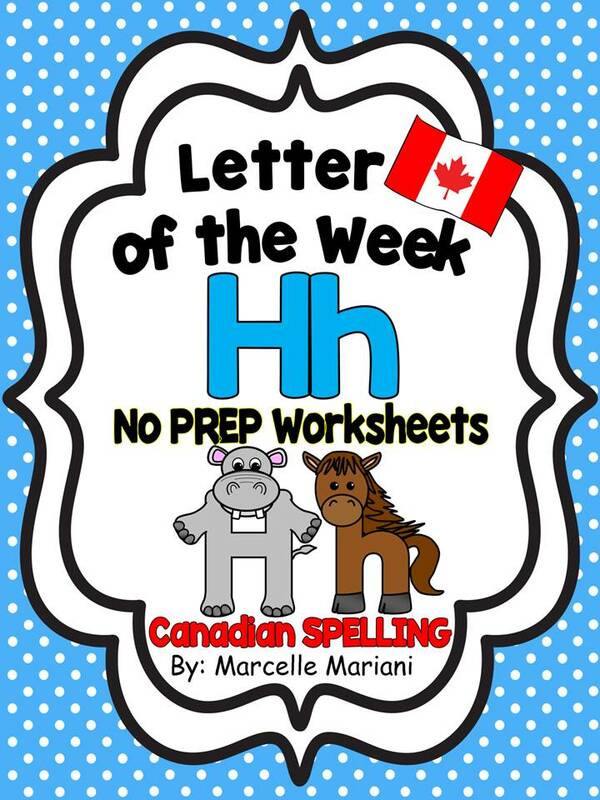 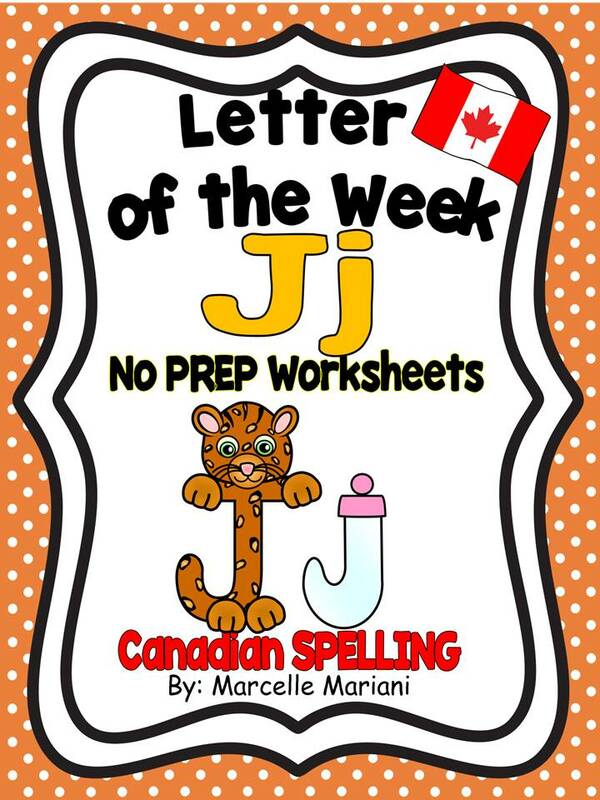 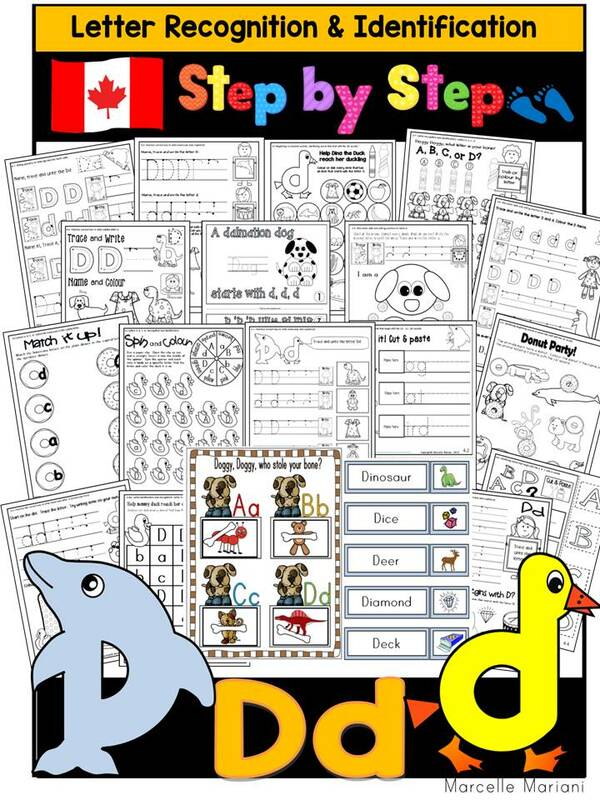 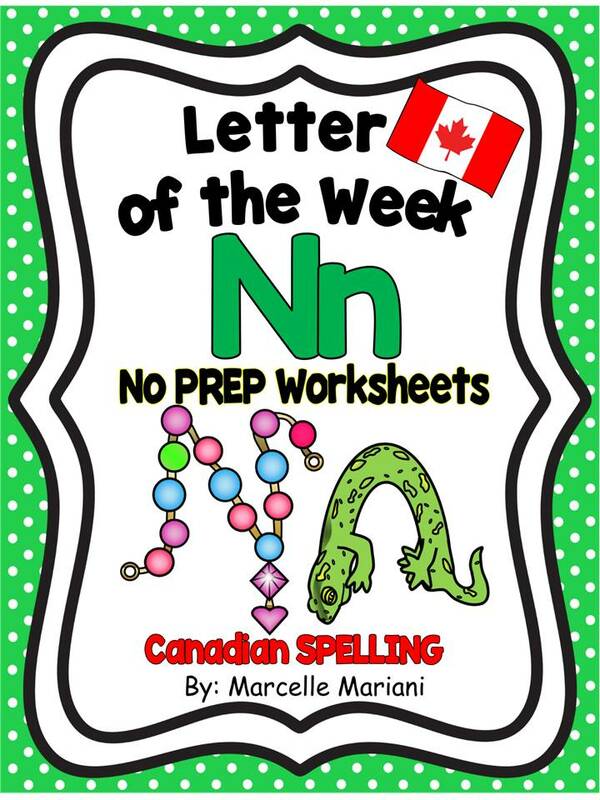 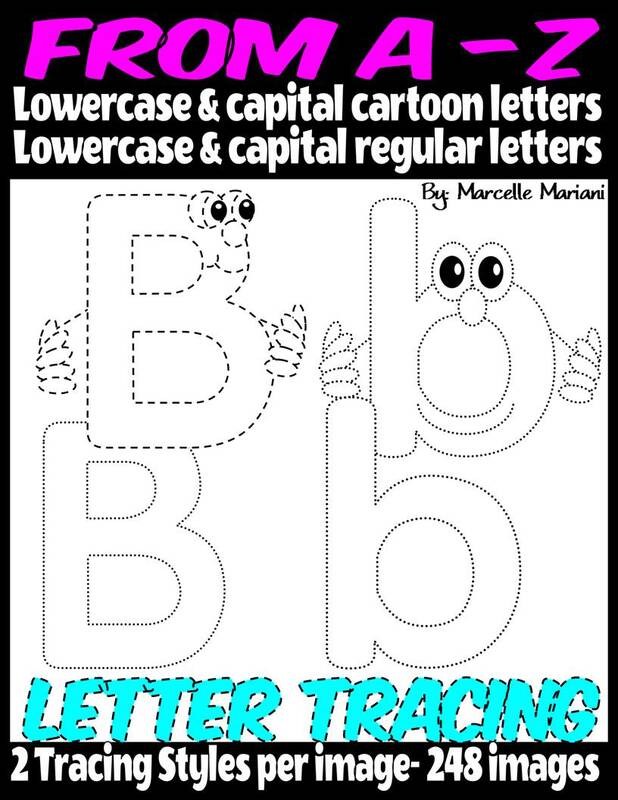 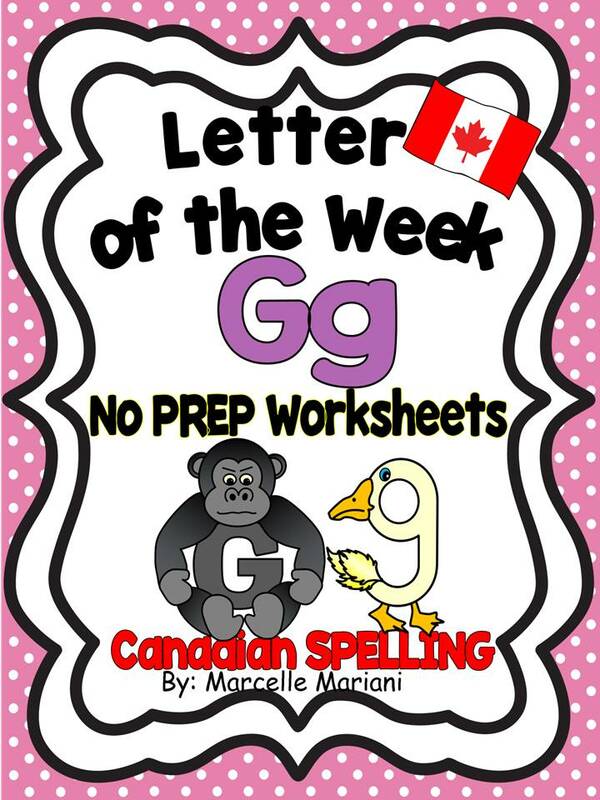 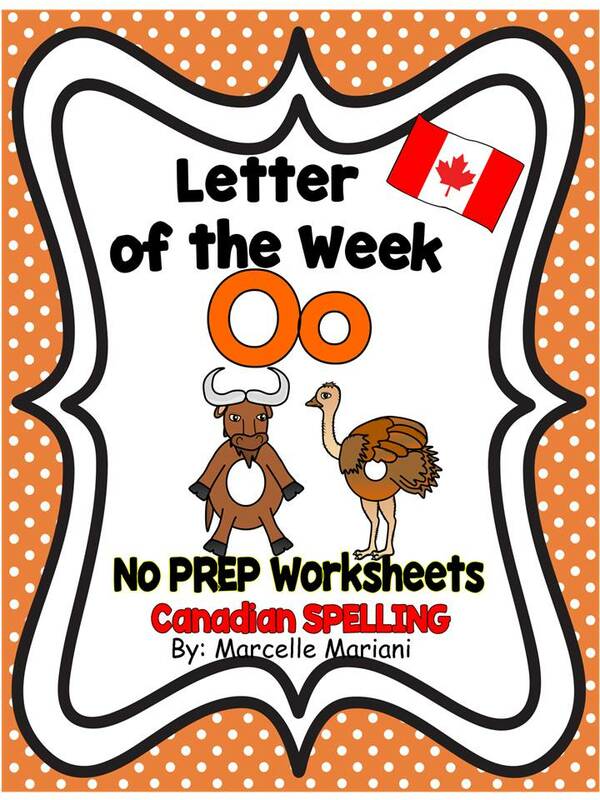 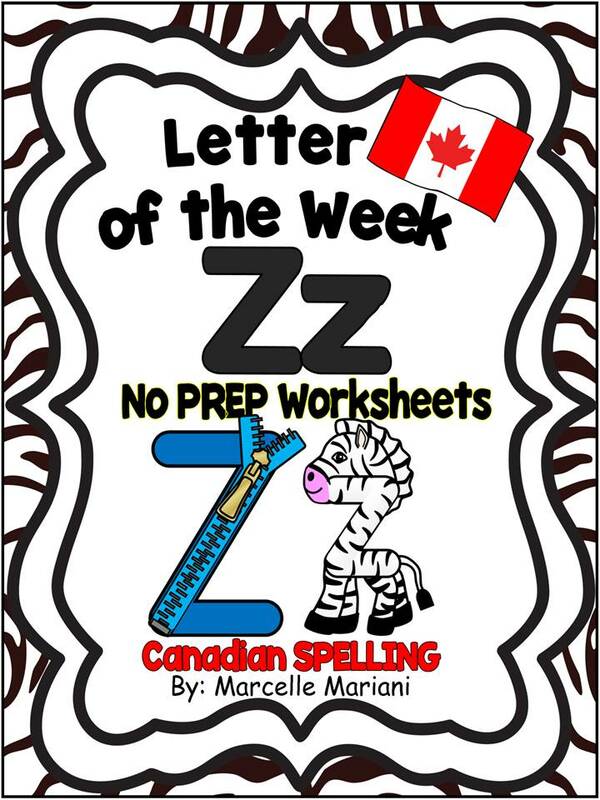 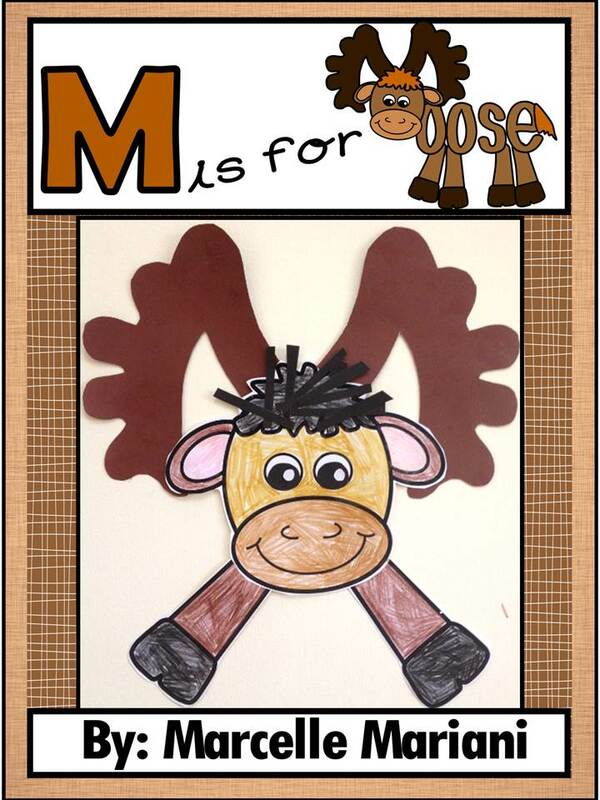 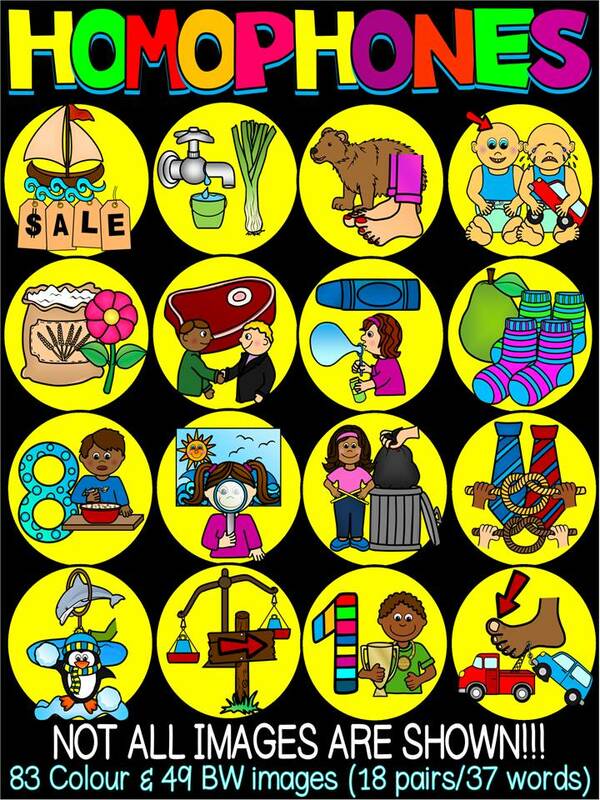 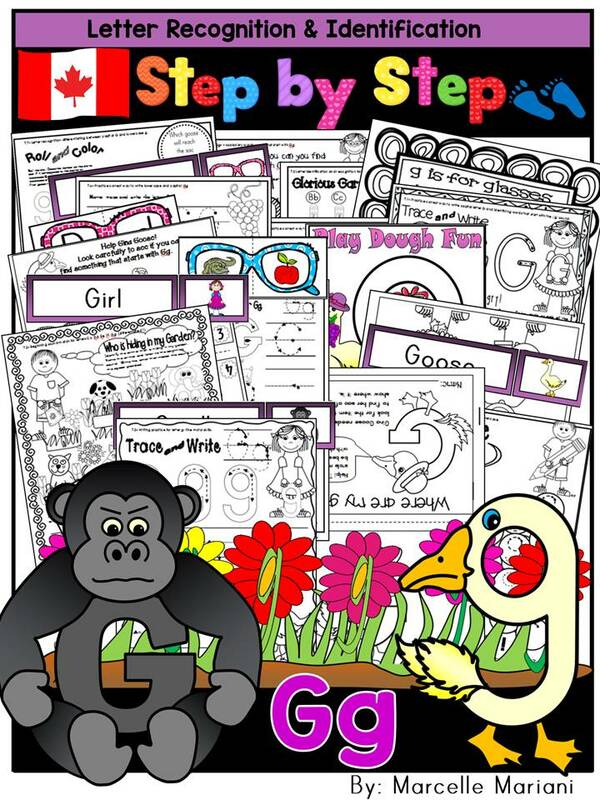 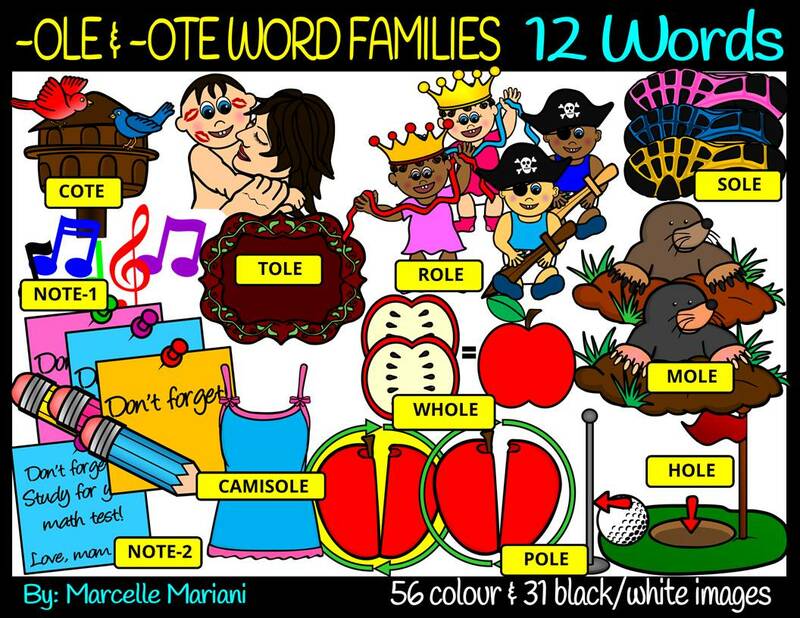 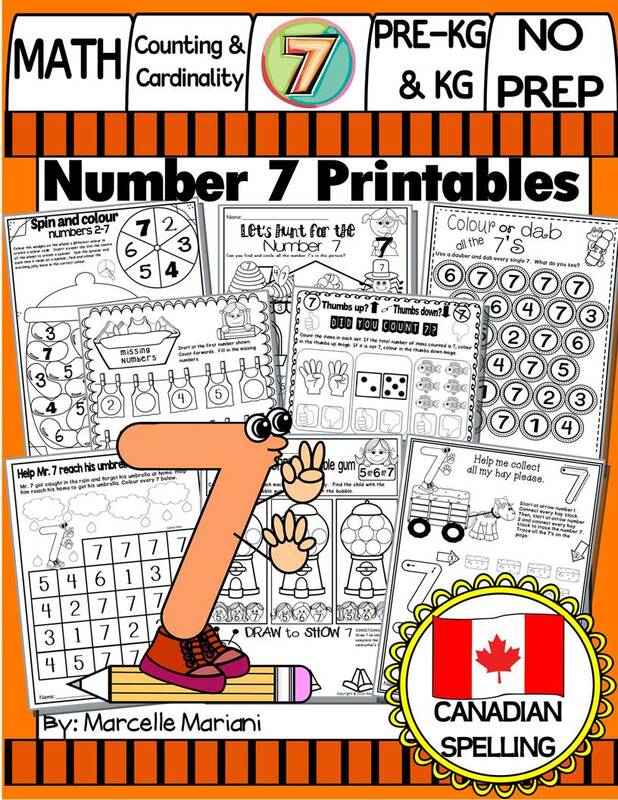 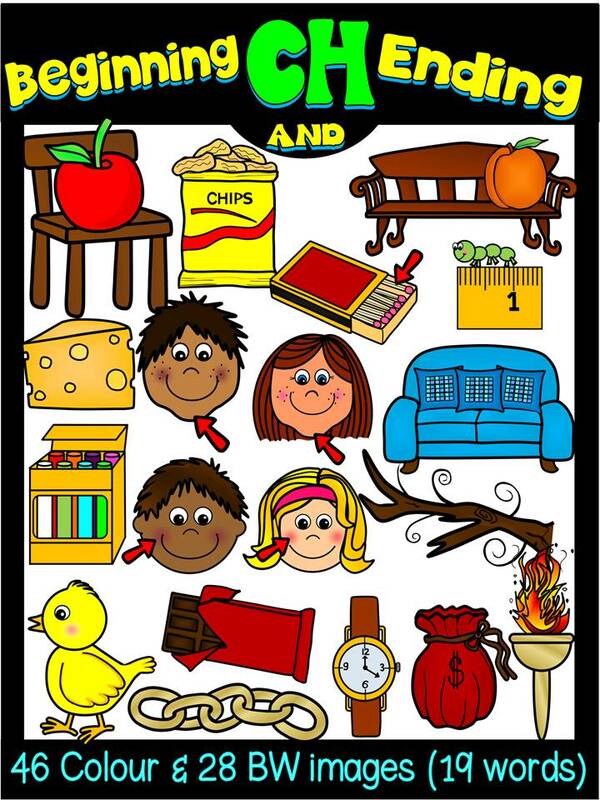 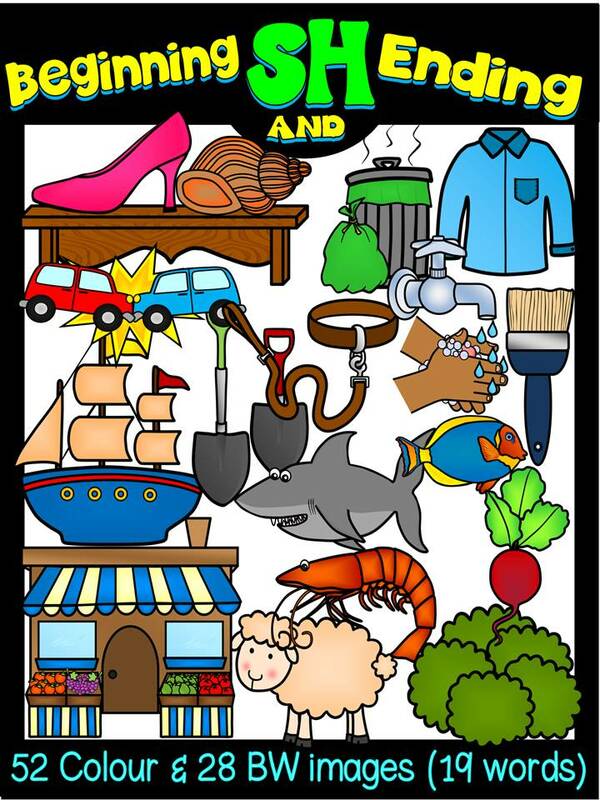 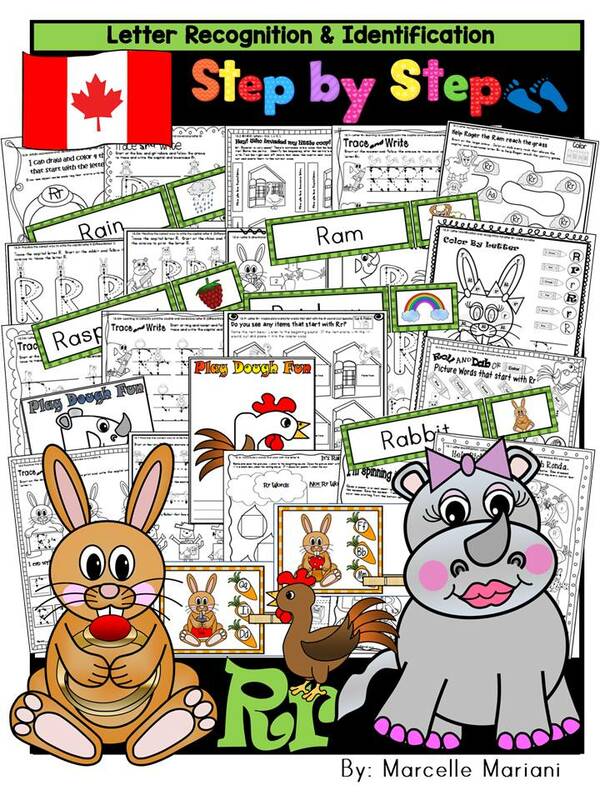 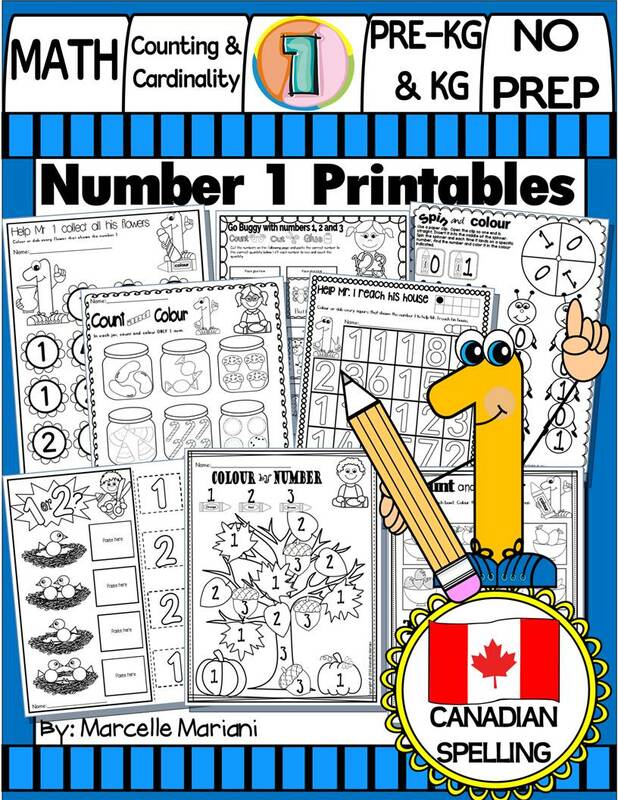 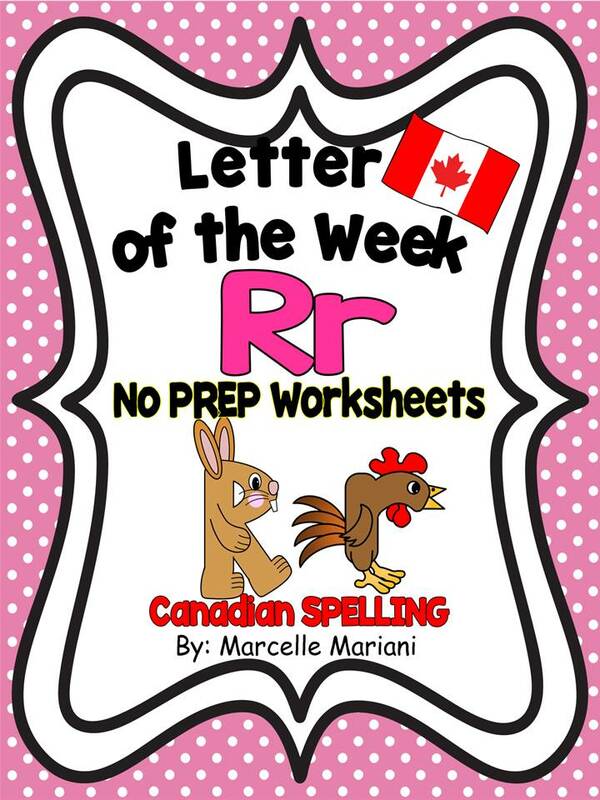 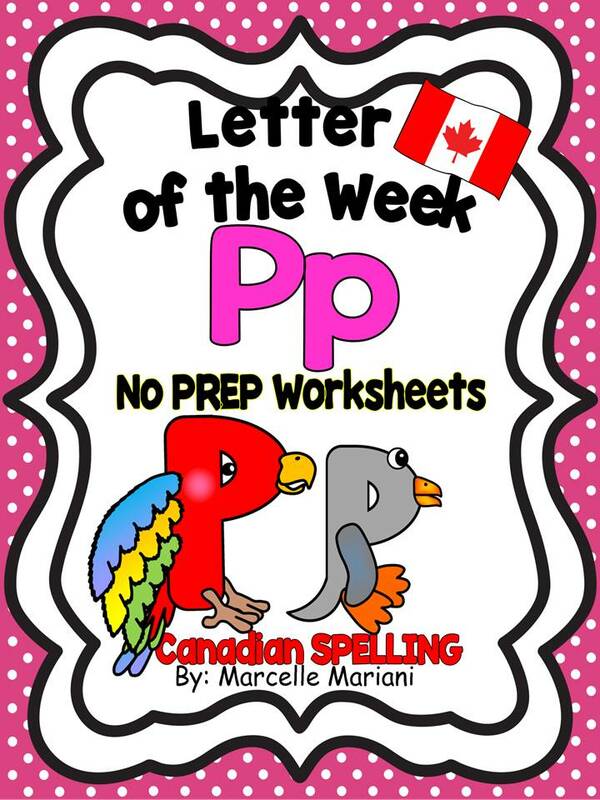 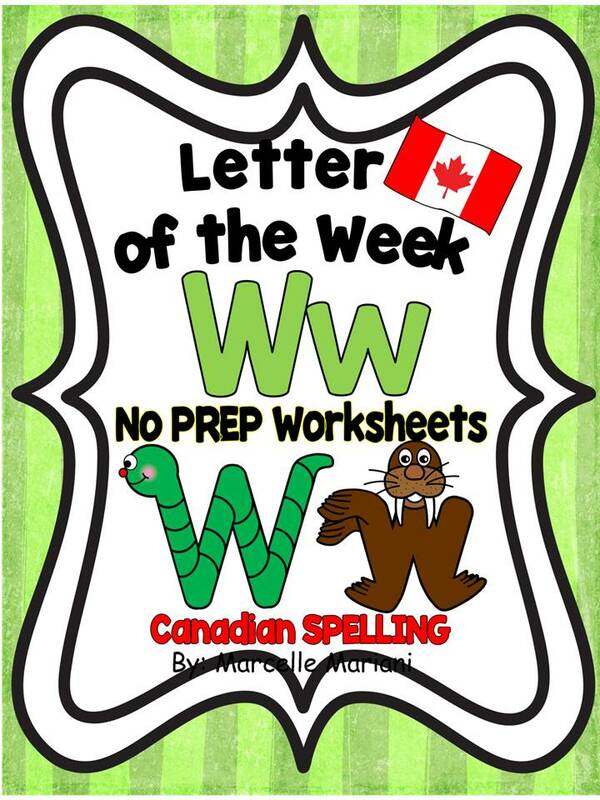 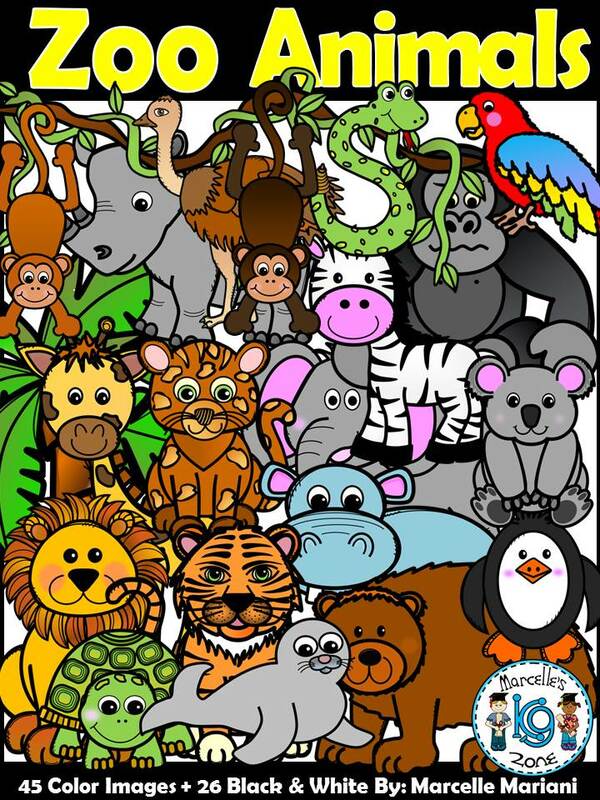 This 100+ pages CANADIAN SPELLING package contains tools and activities to teach the name and sound of letter U (Beginning and middle sounds) and is suitable for Pre-KG, Kindergarten and Struggling grade 1 students (who need added support). 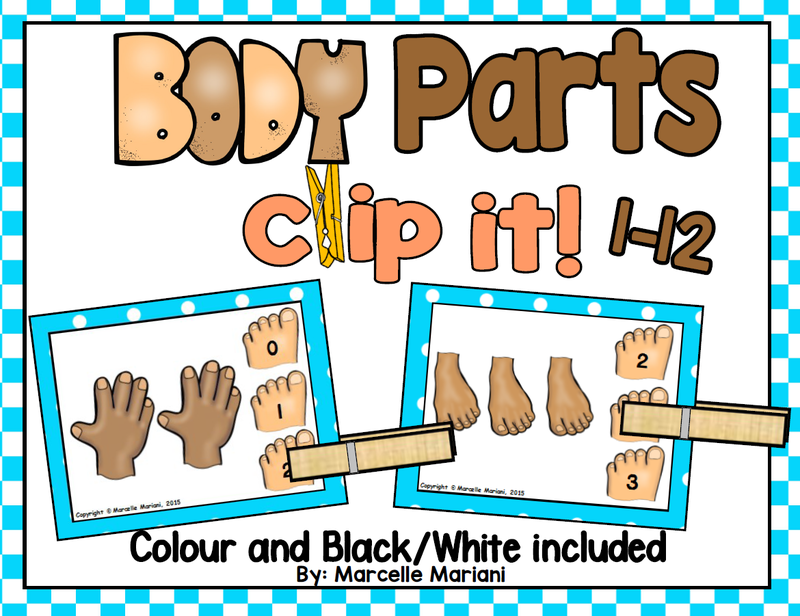 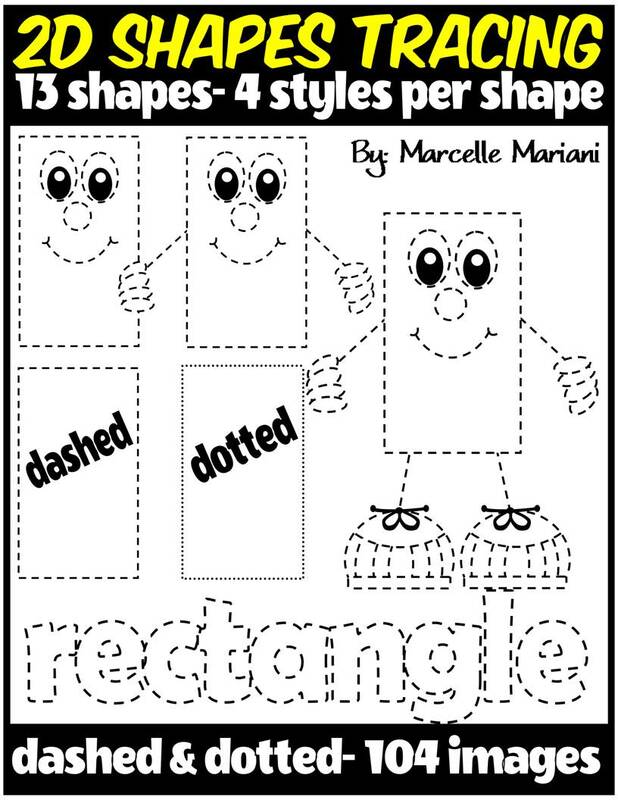 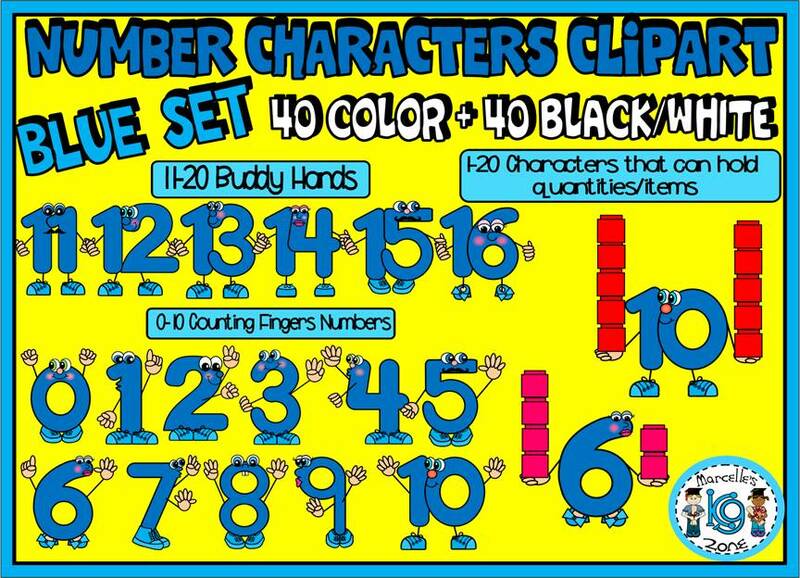 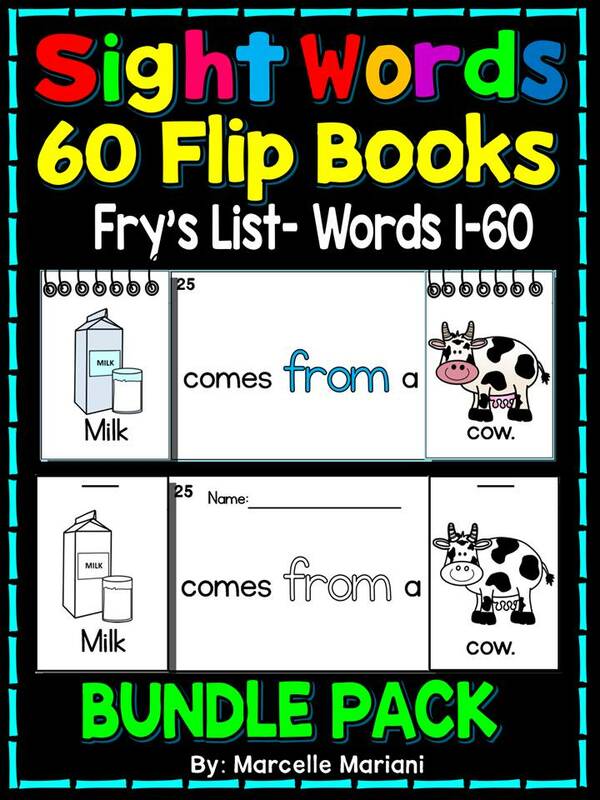 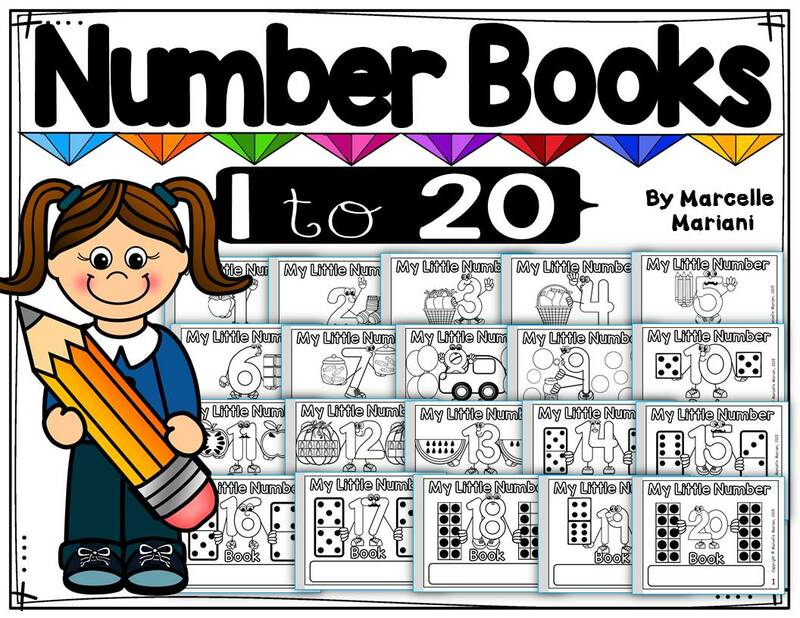 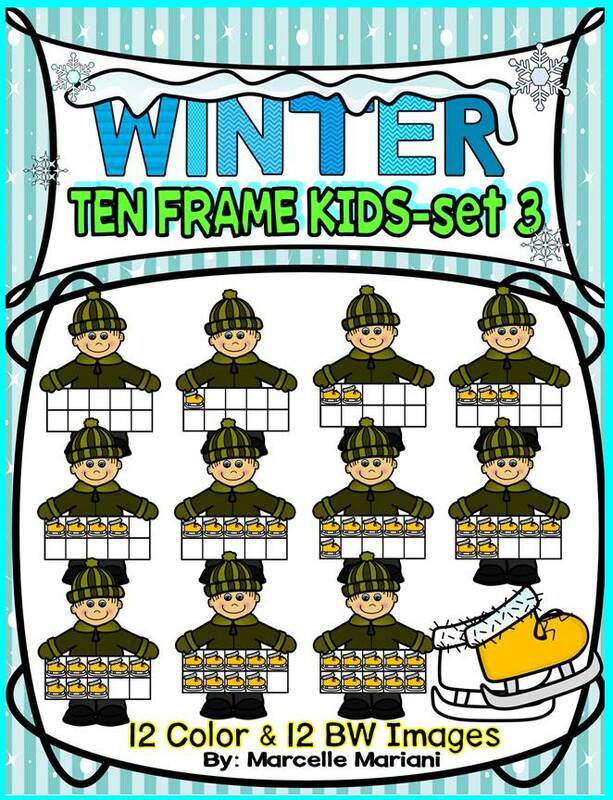 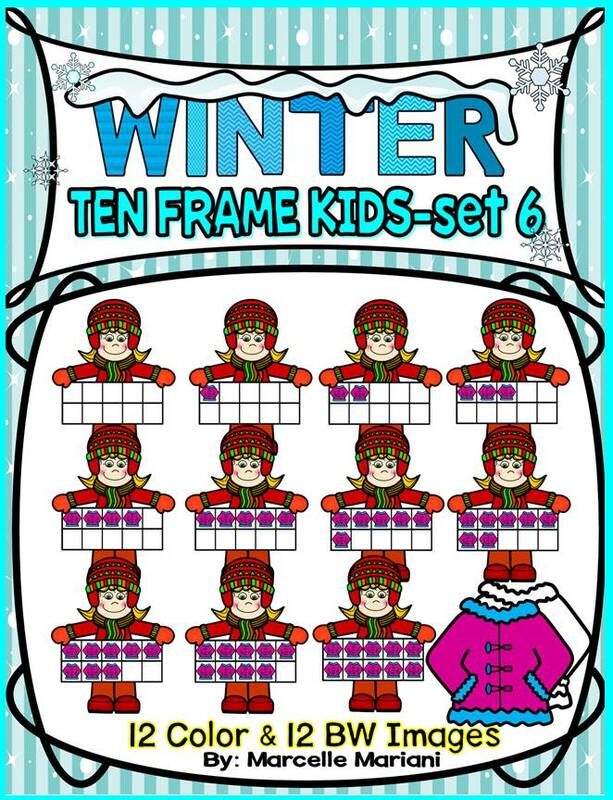 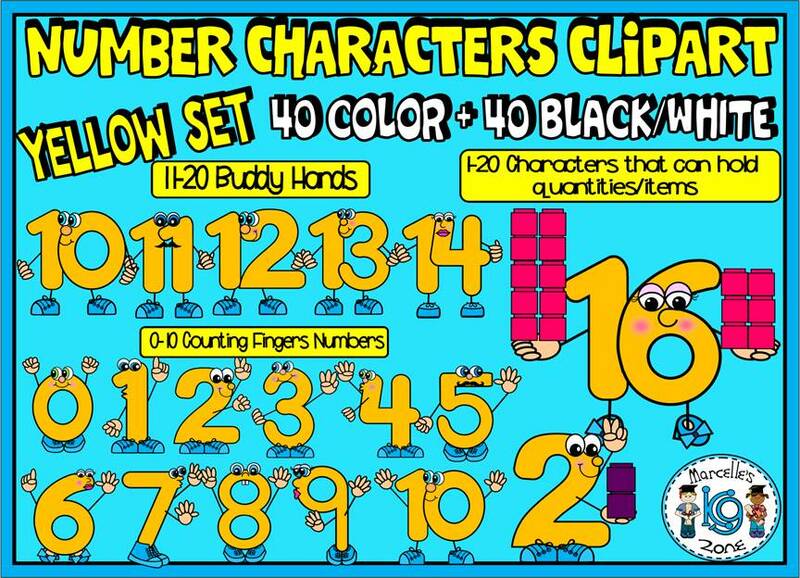 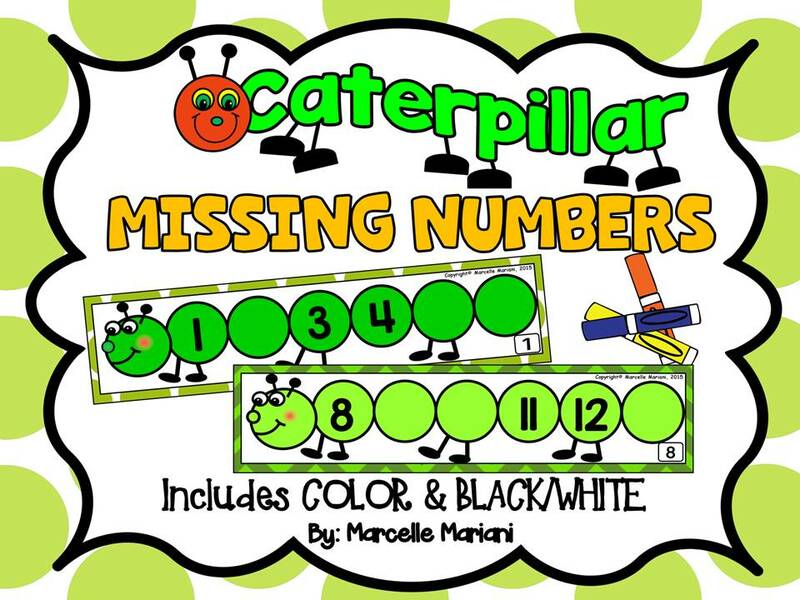 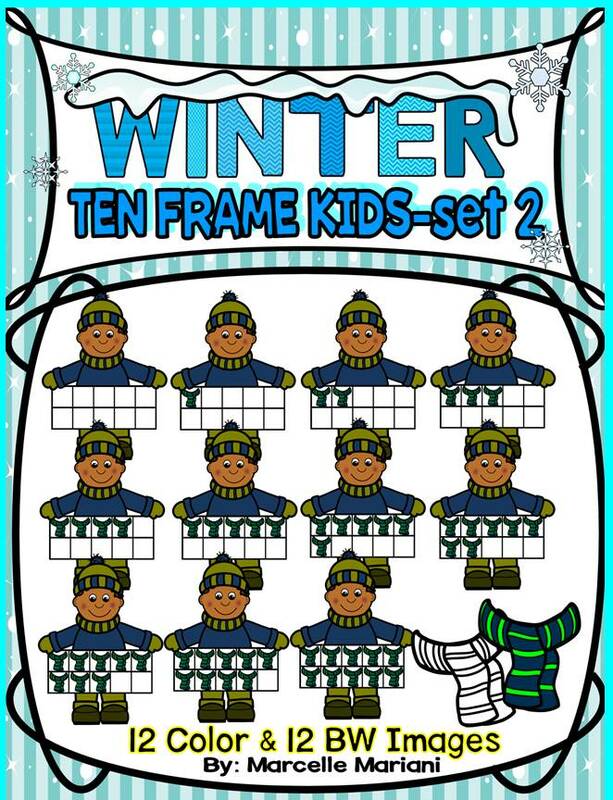 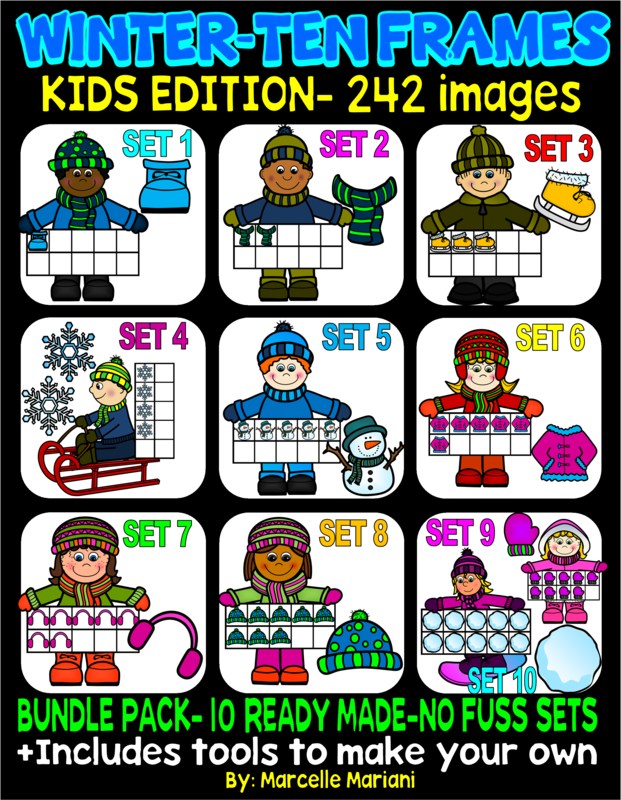 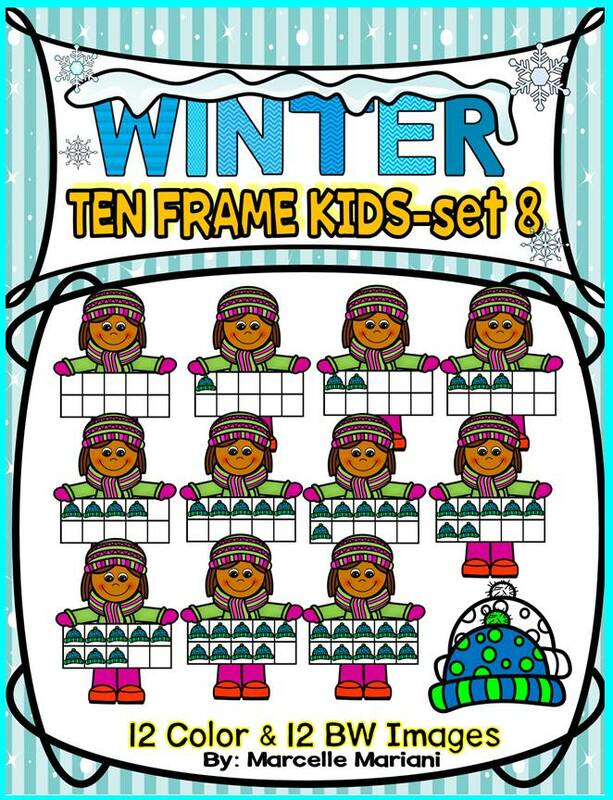 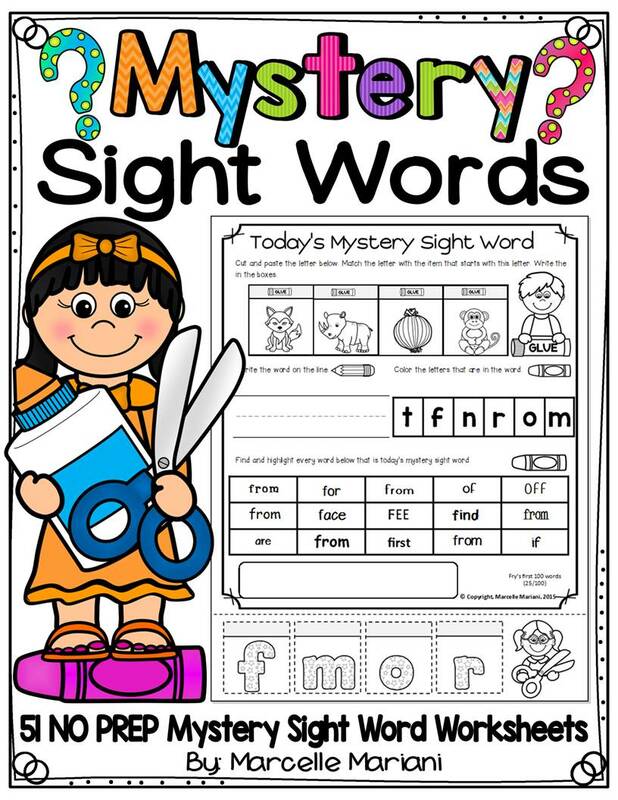 The tools in this package is designed to teach students correct letter formation and identification using a guiding technique (arrows, dots and numbers). 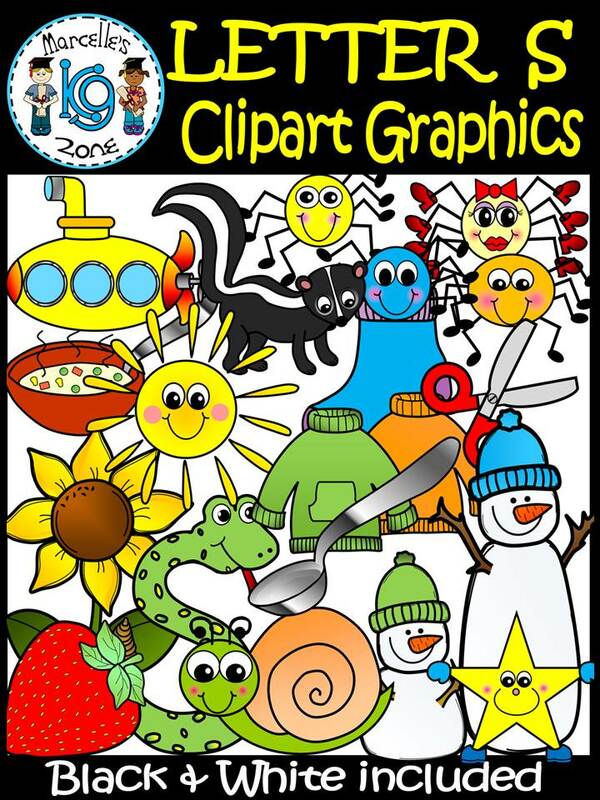 Most of the tools in this package and images used I created myself and the overall appeal of having custom made images adds great value to the overall quality of this work. 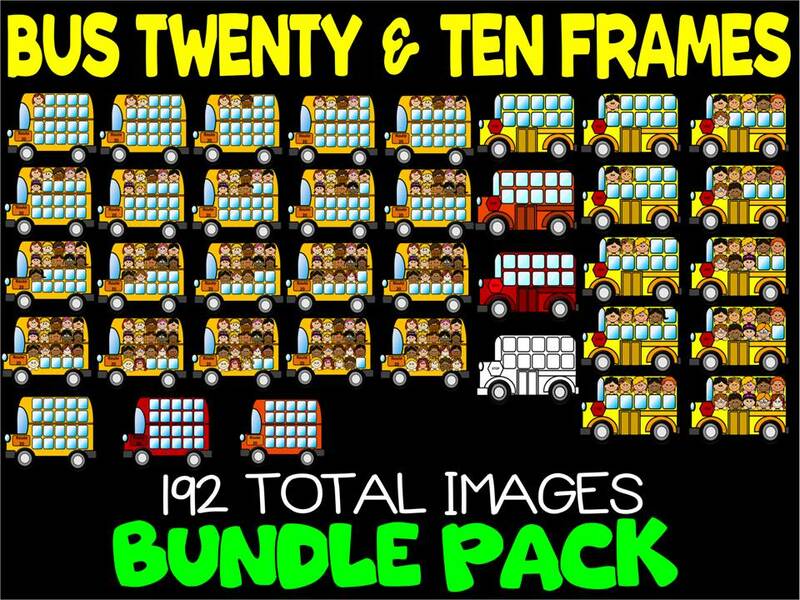 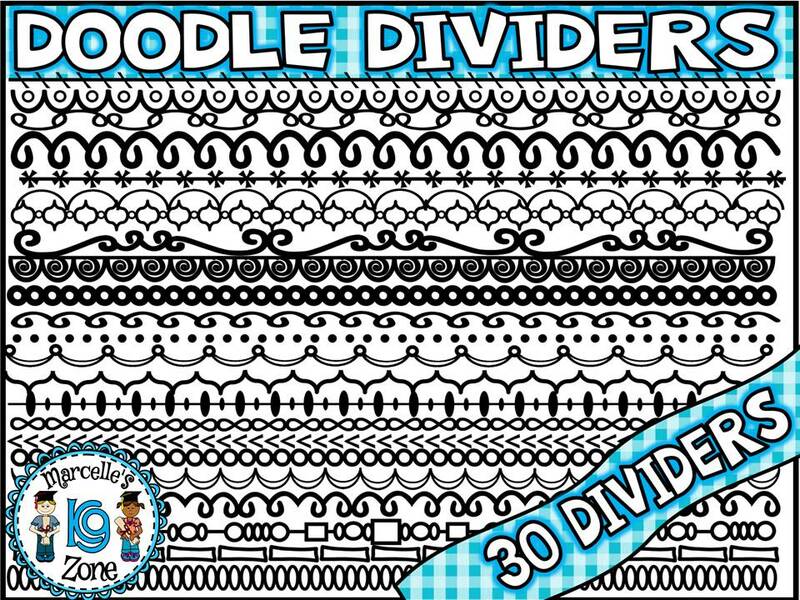 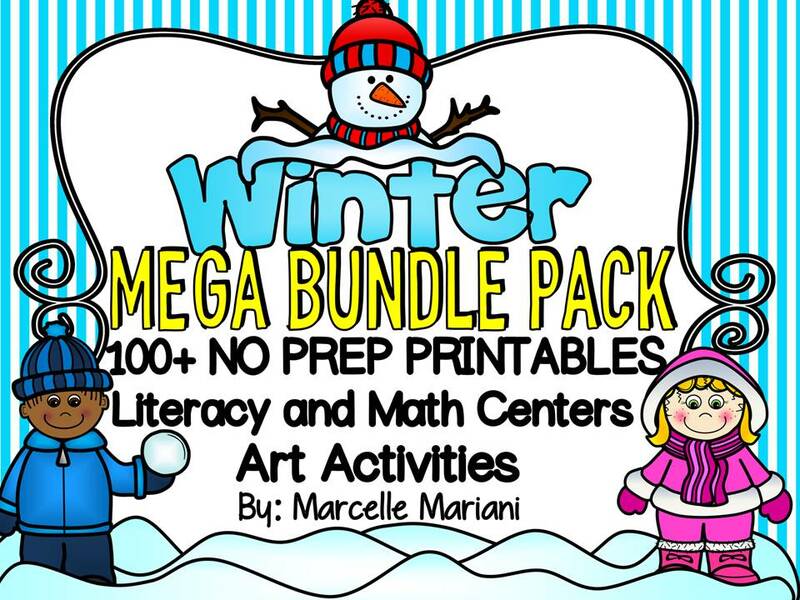 This pack provides more than a complete week of teaching tools. 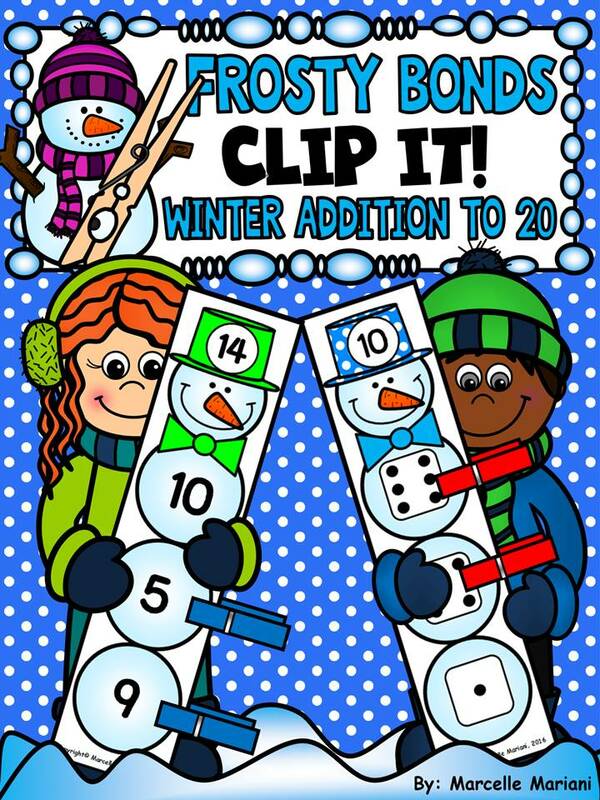 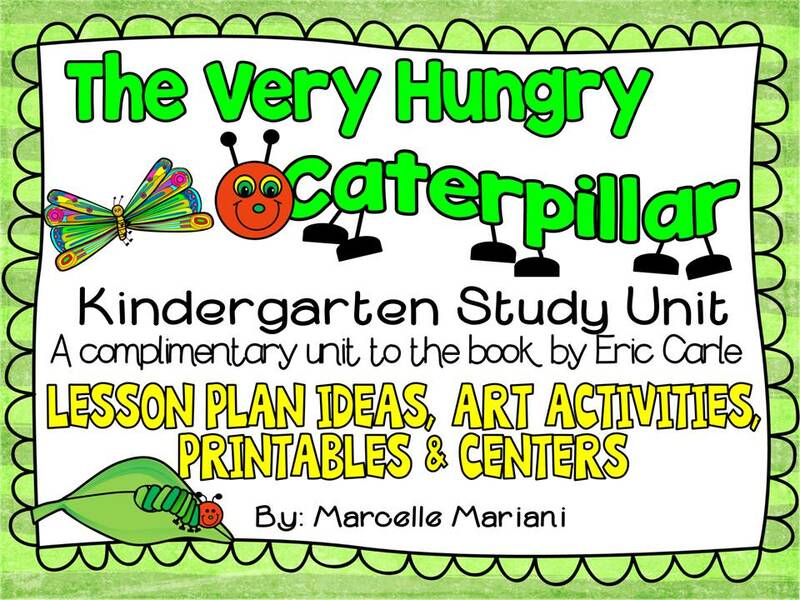 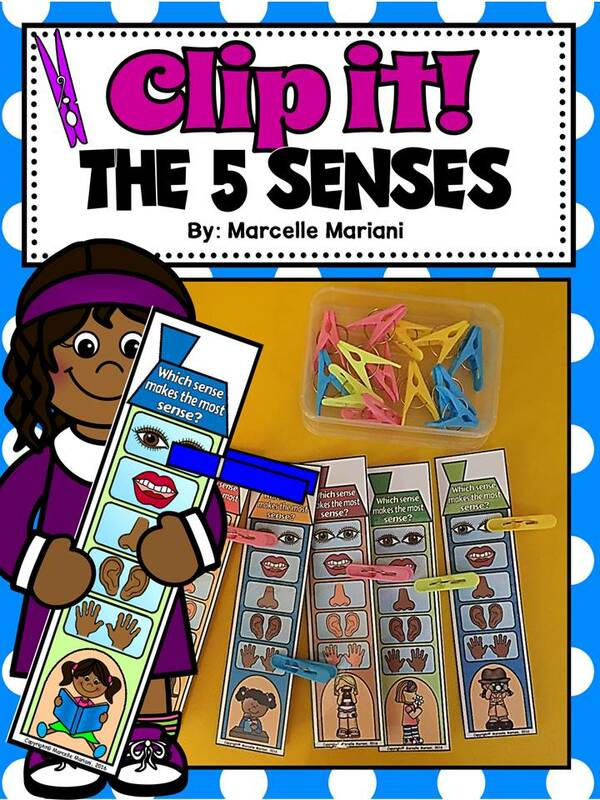 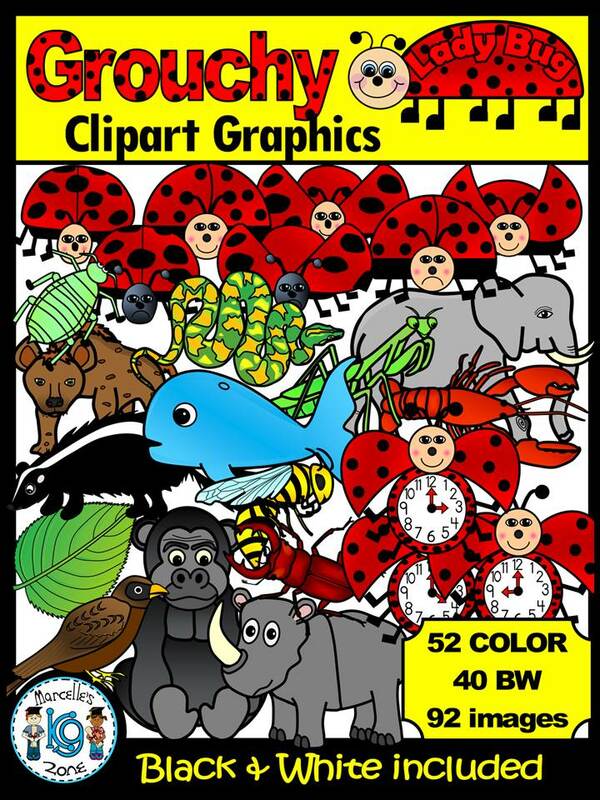 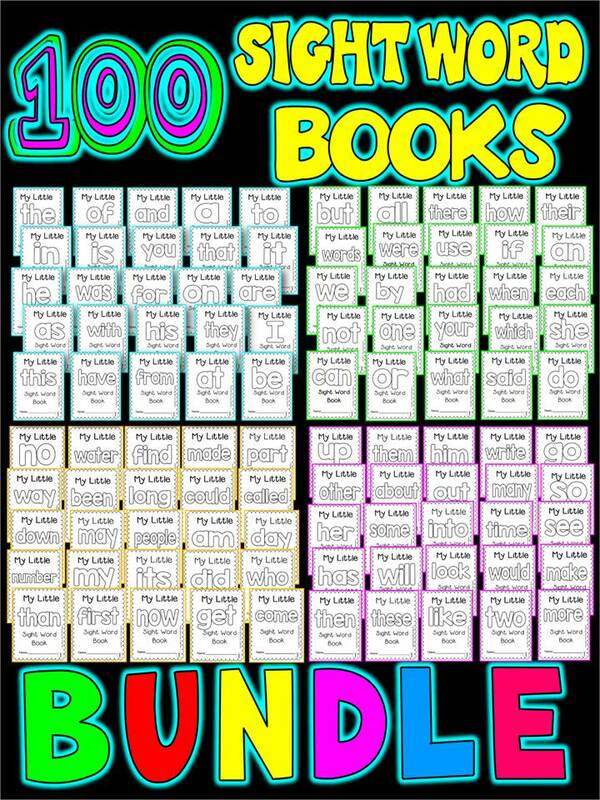 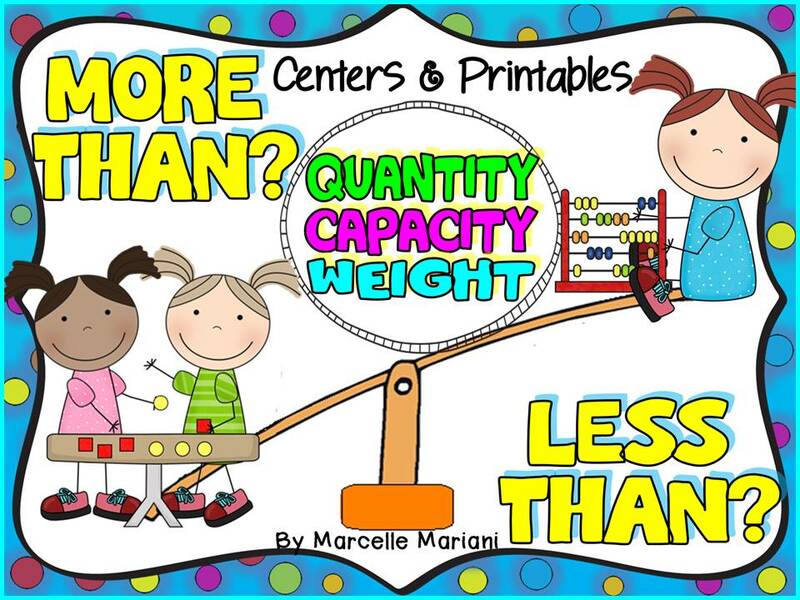 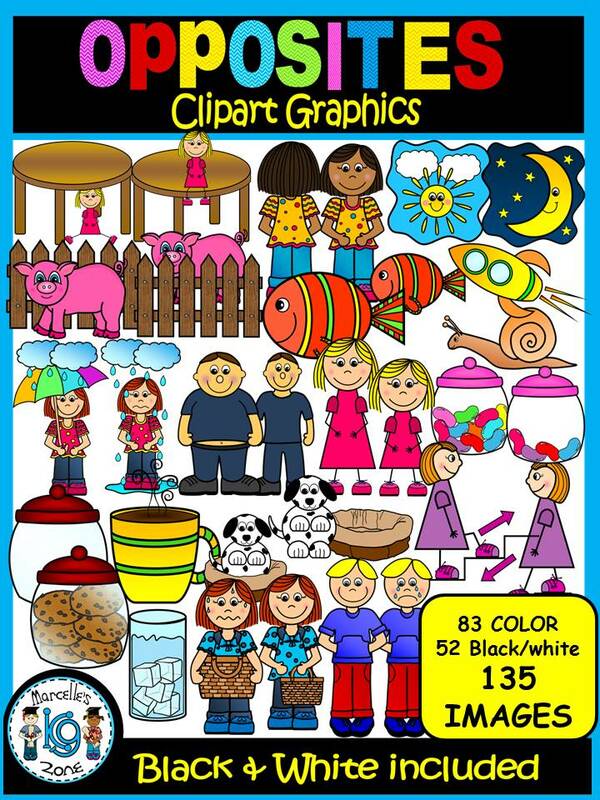 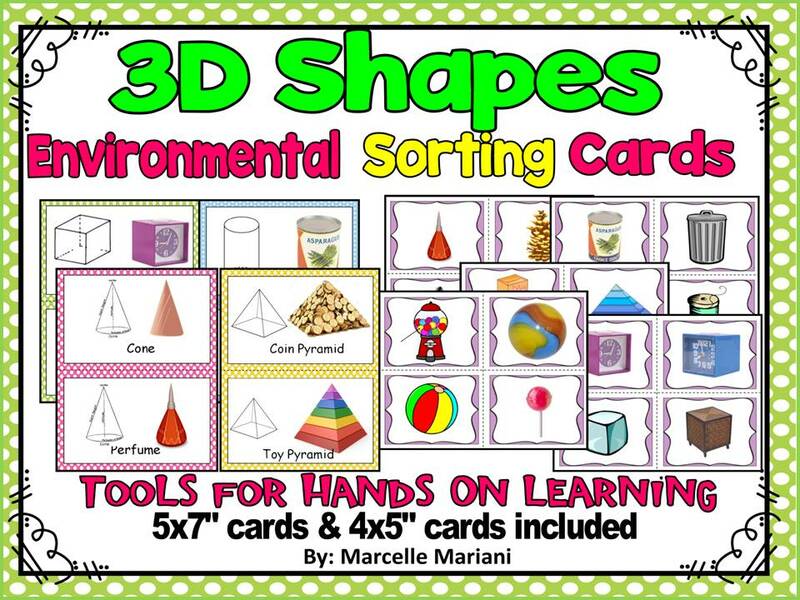 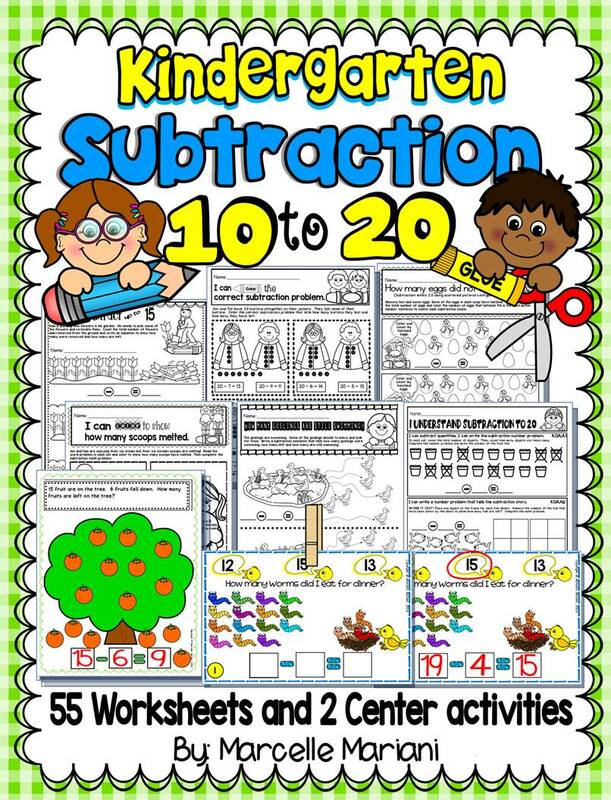 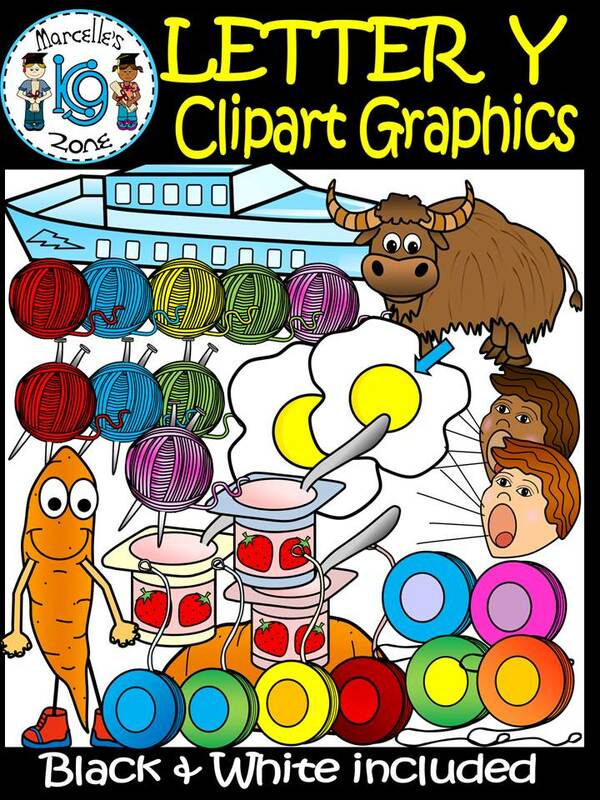 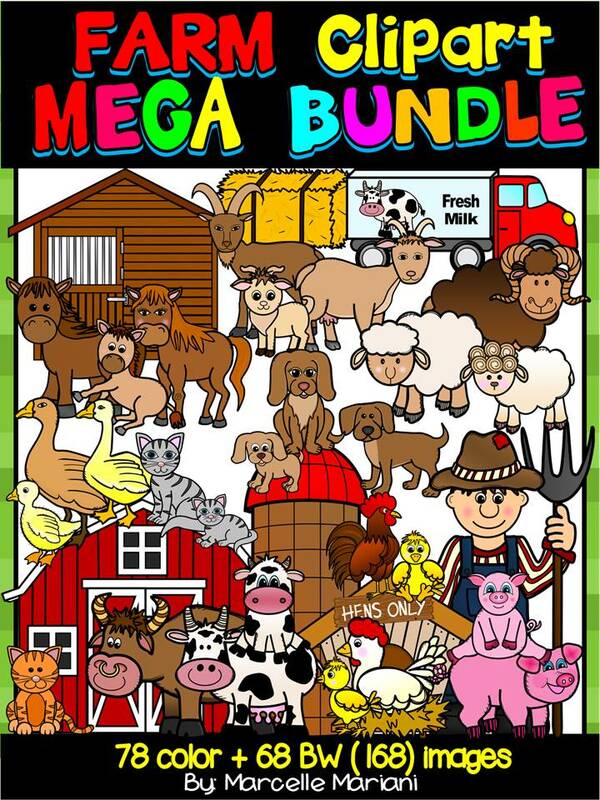 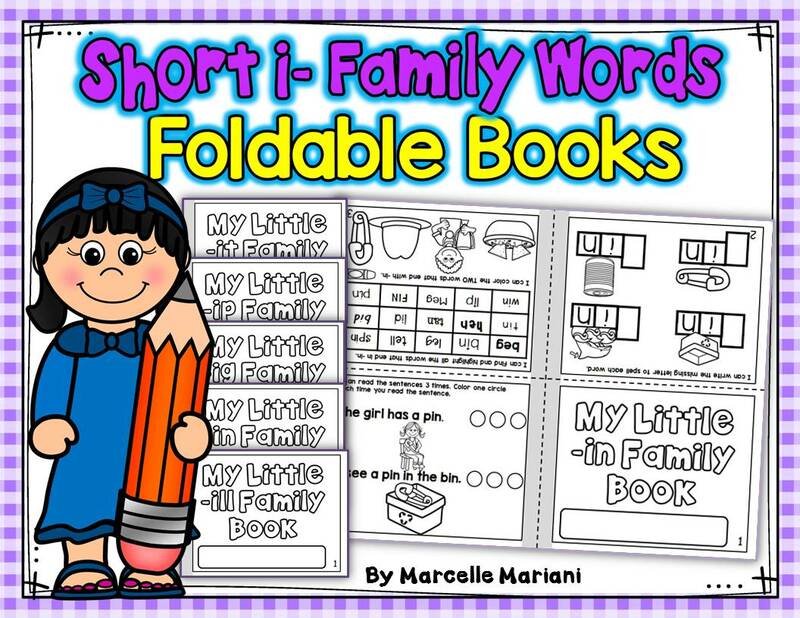 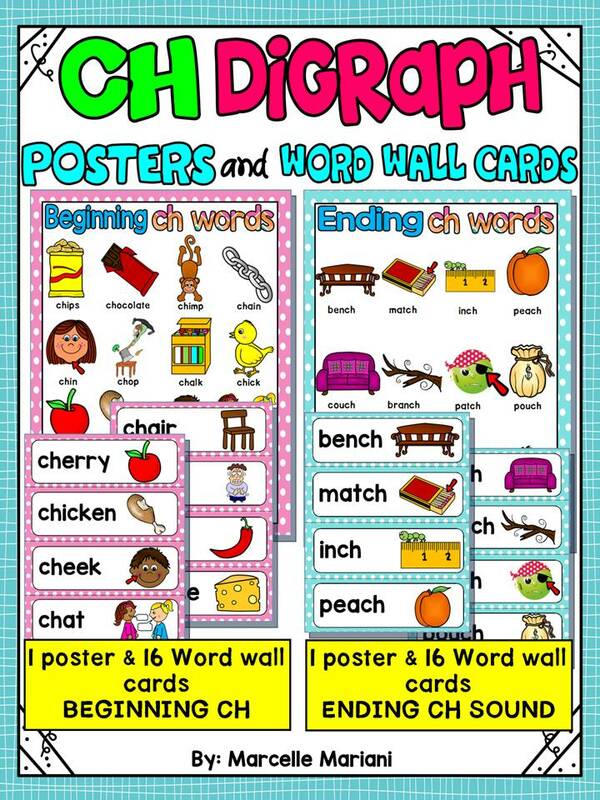 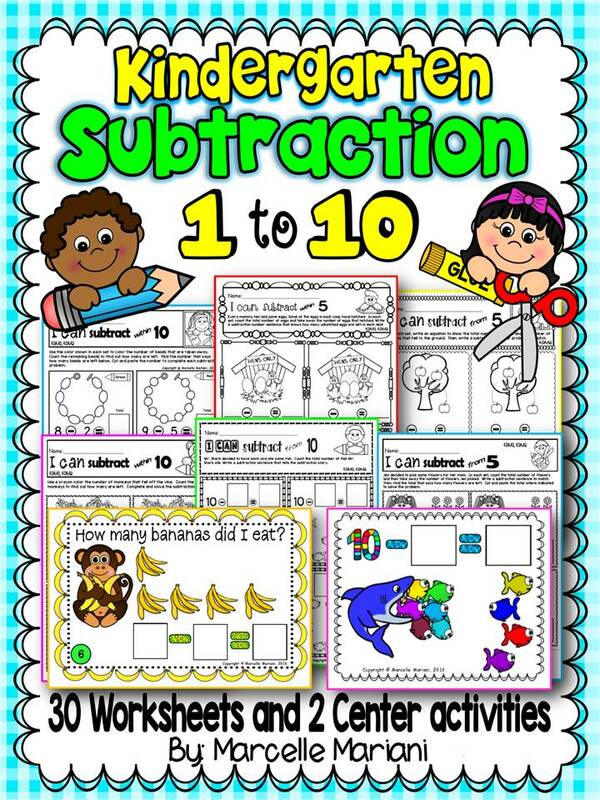 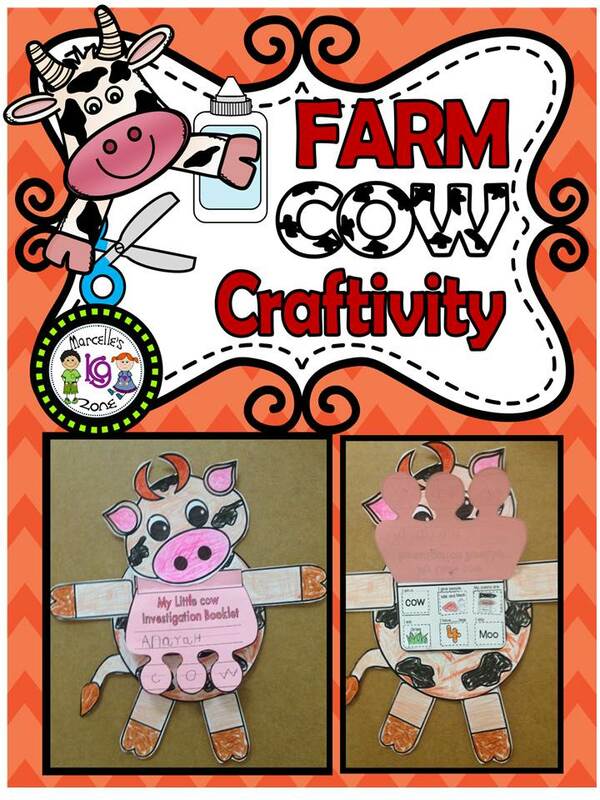 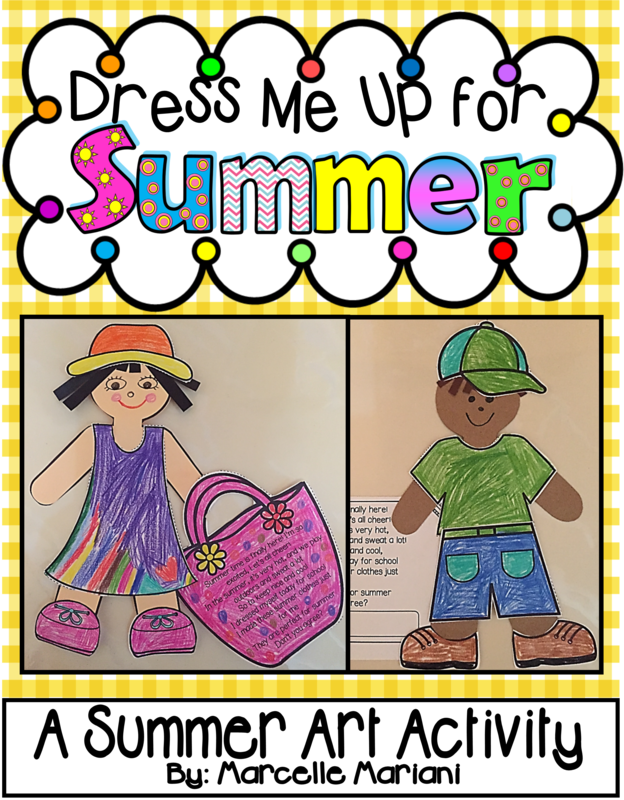 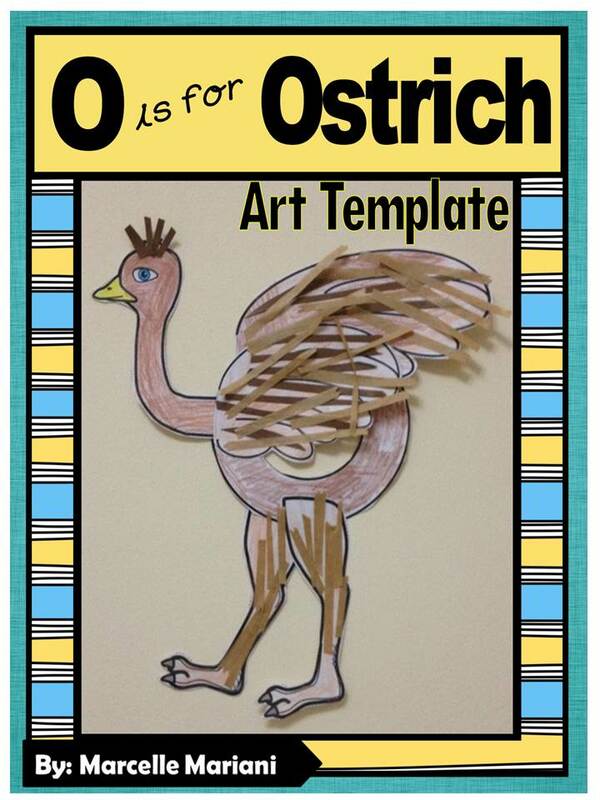 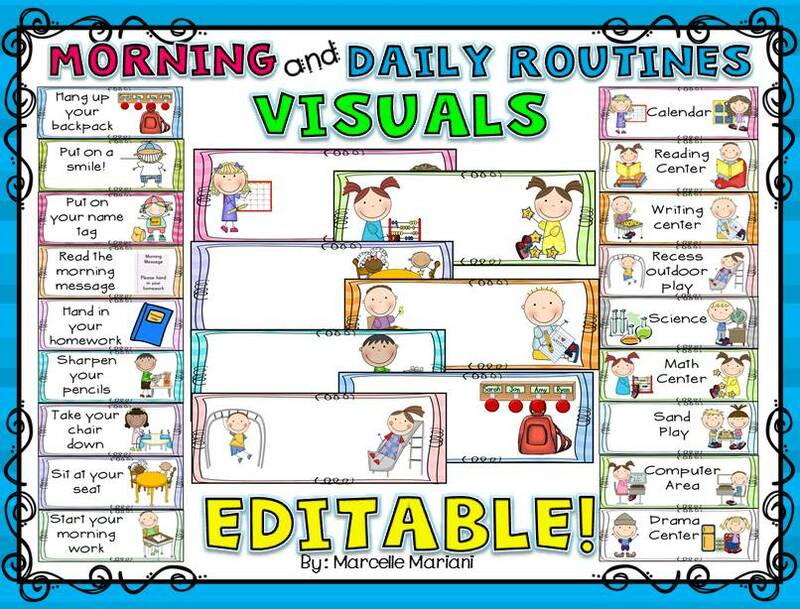 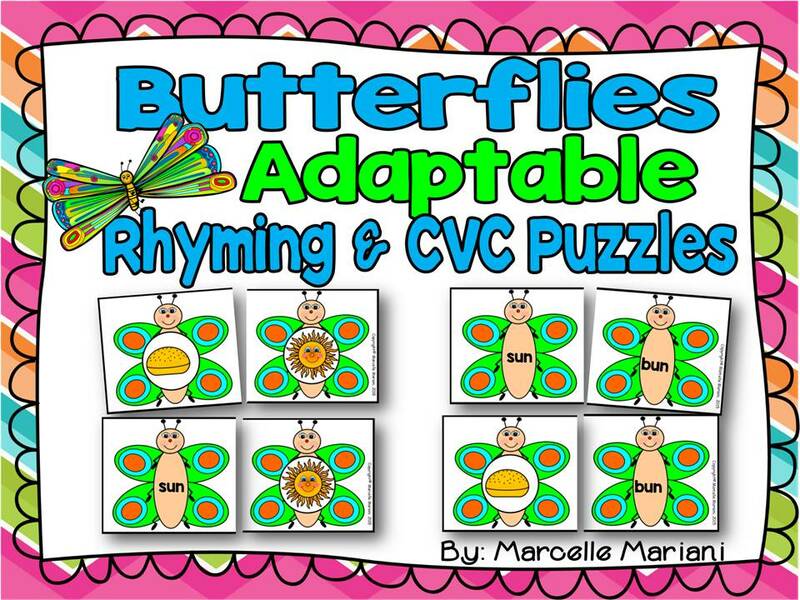 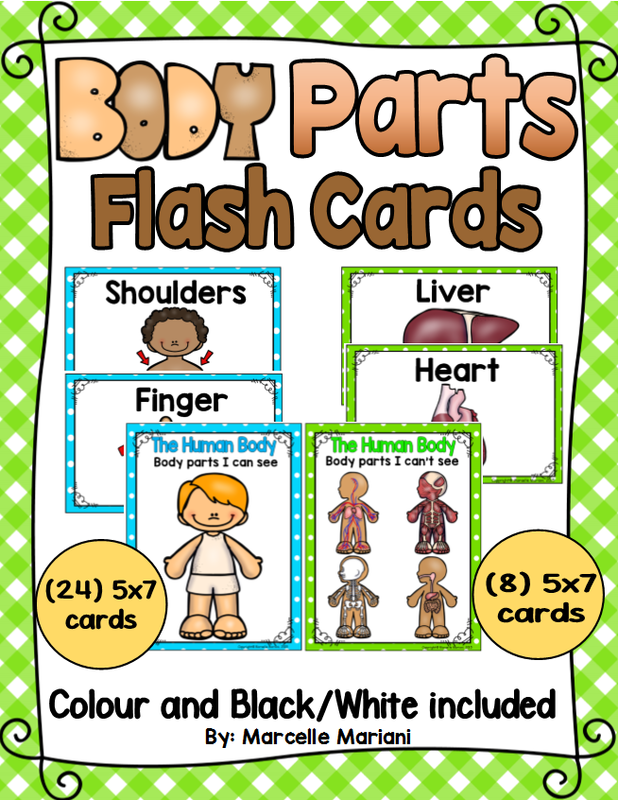 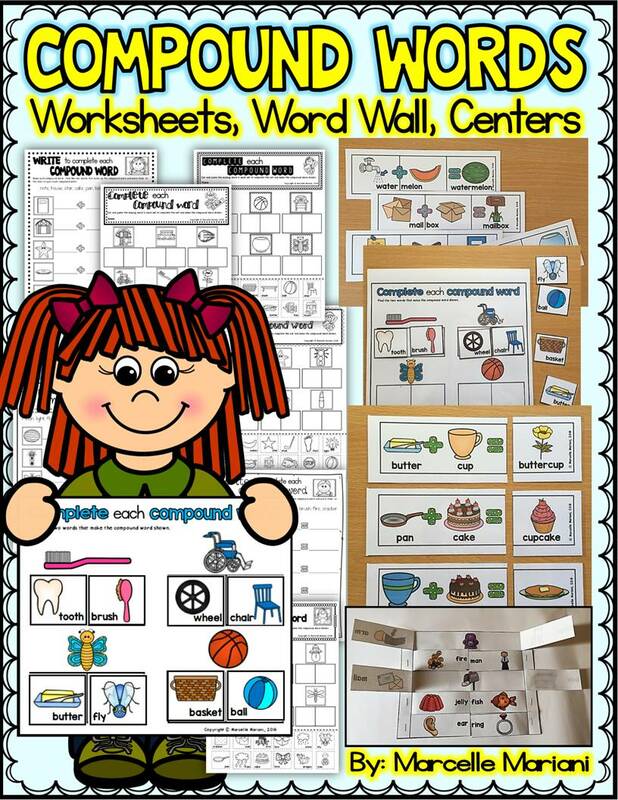 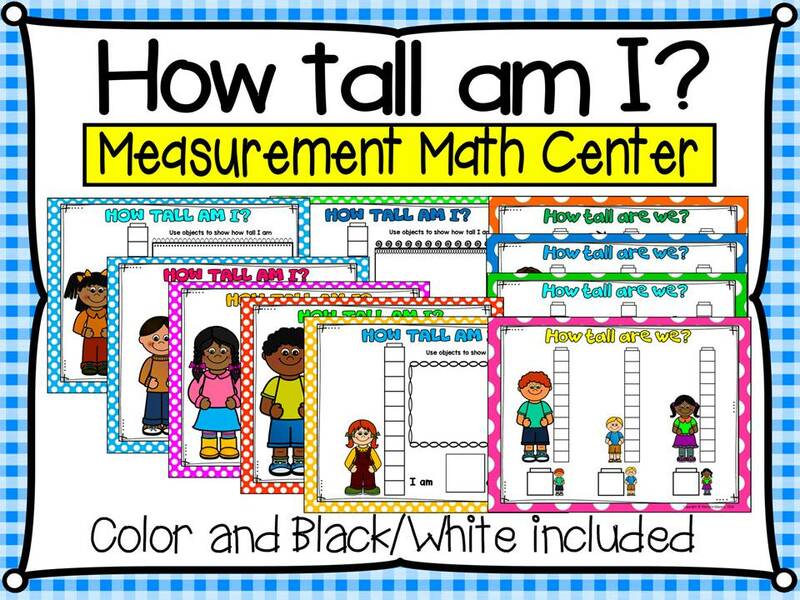 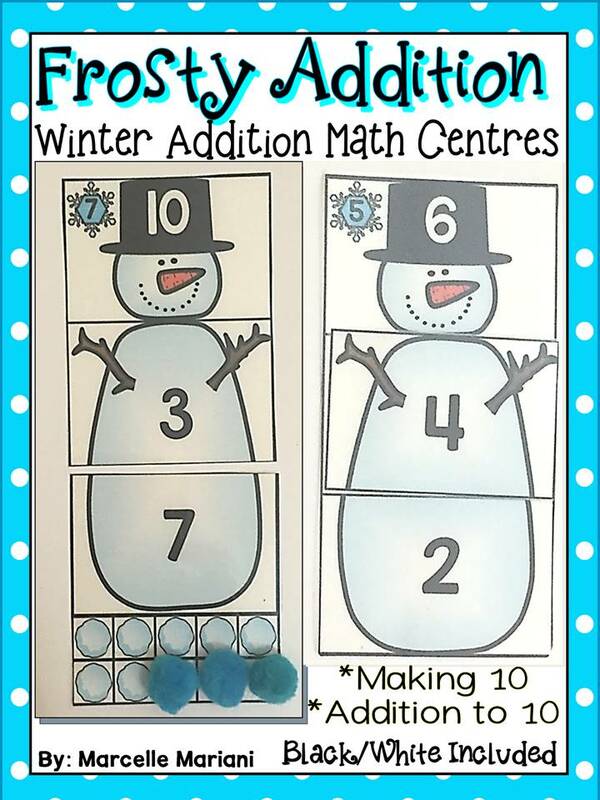 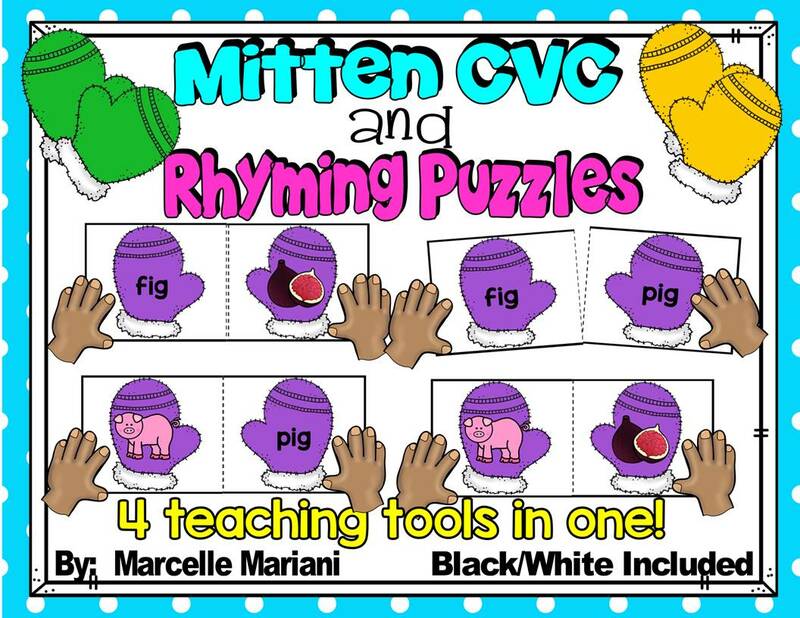 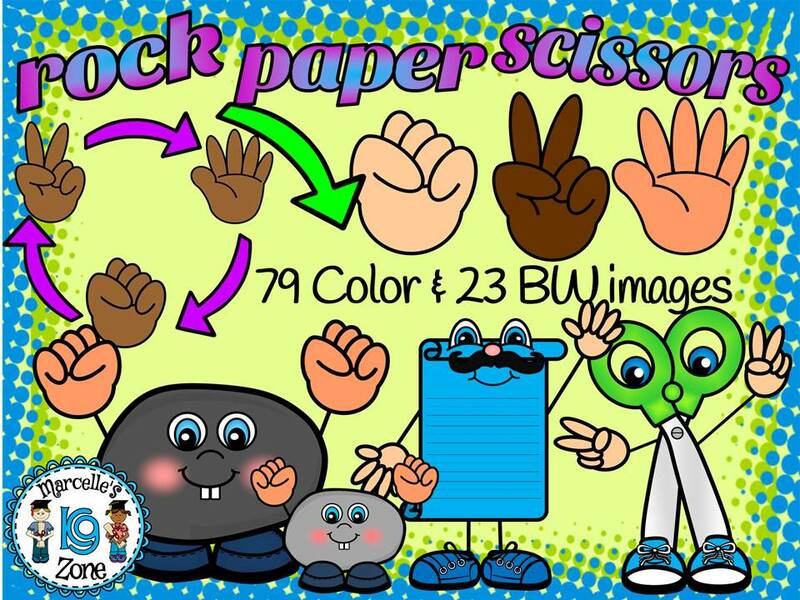 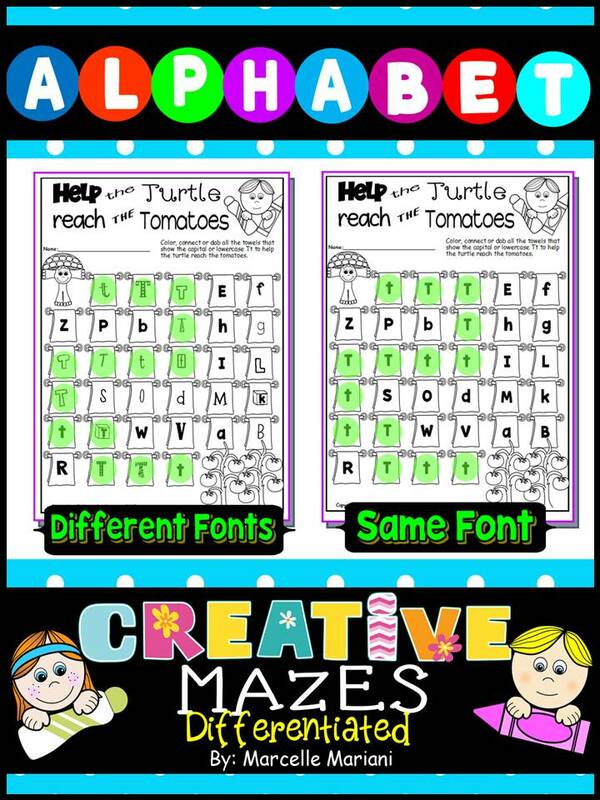 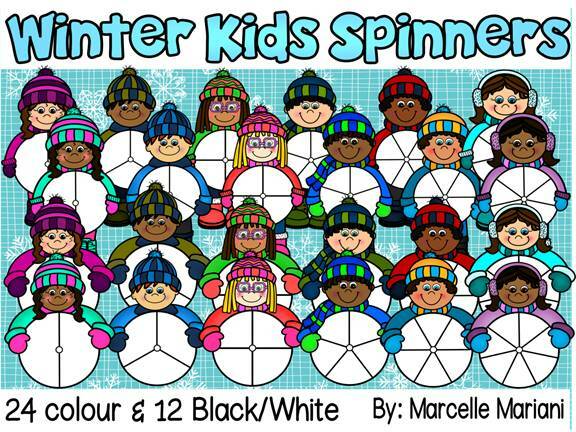 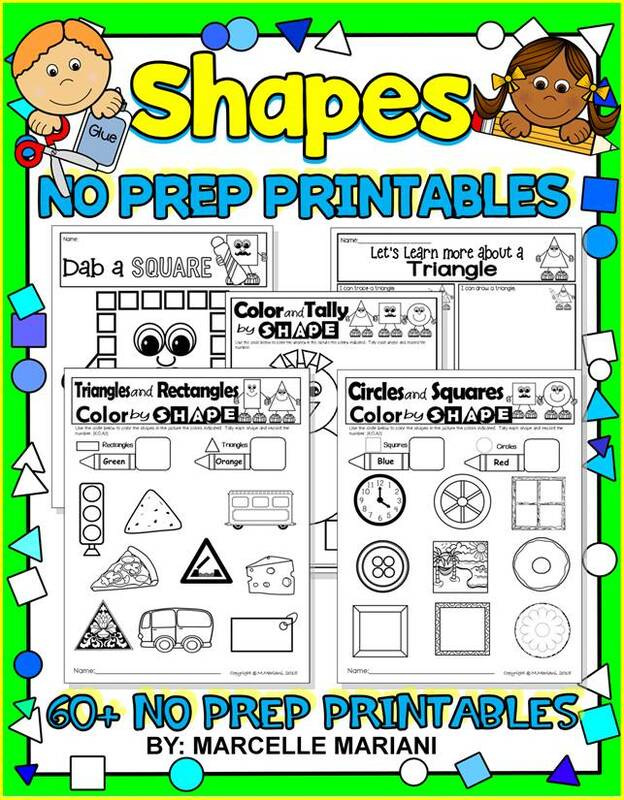 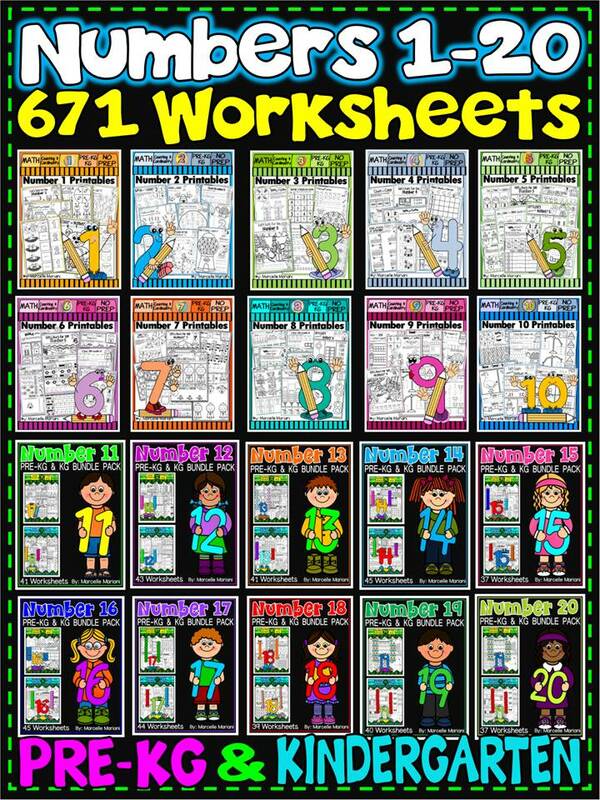 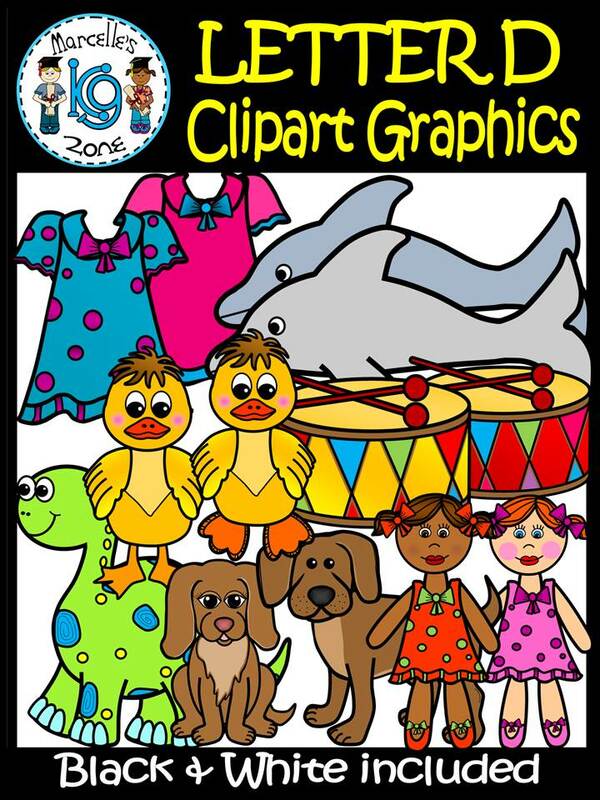 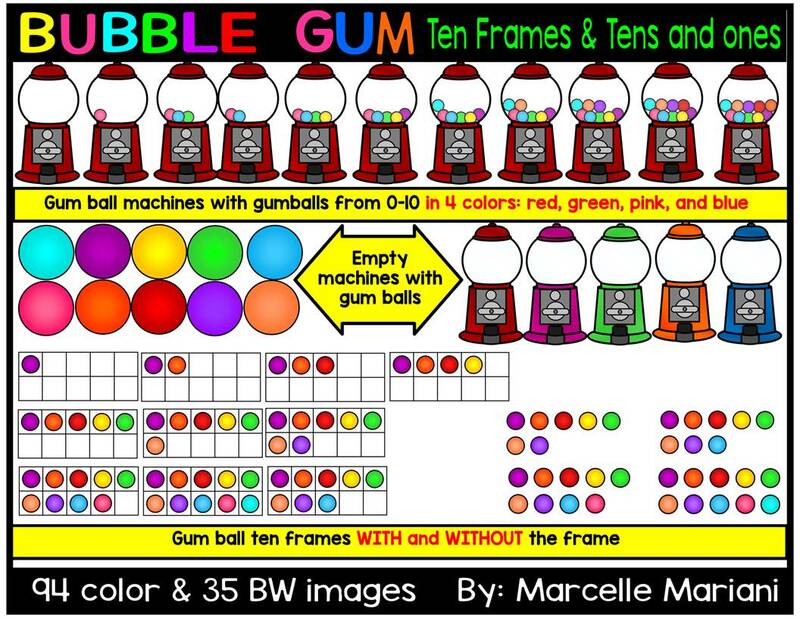 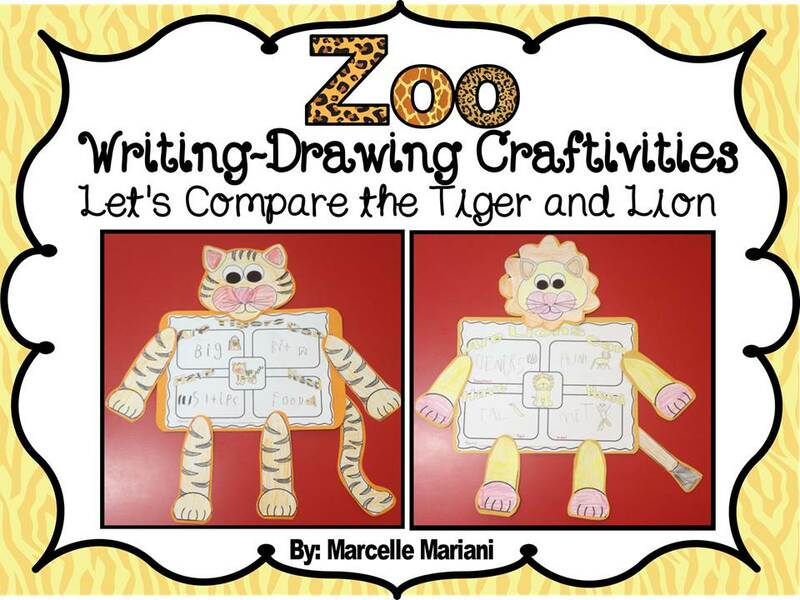 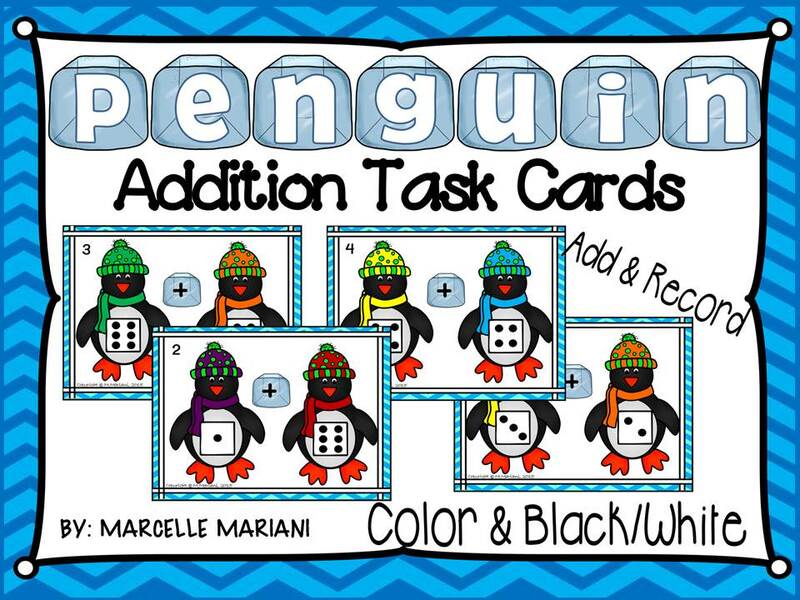 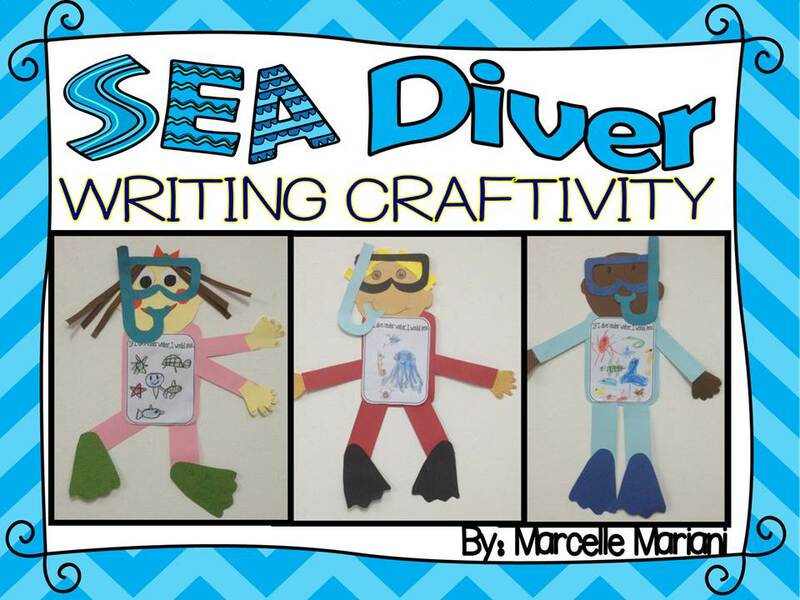 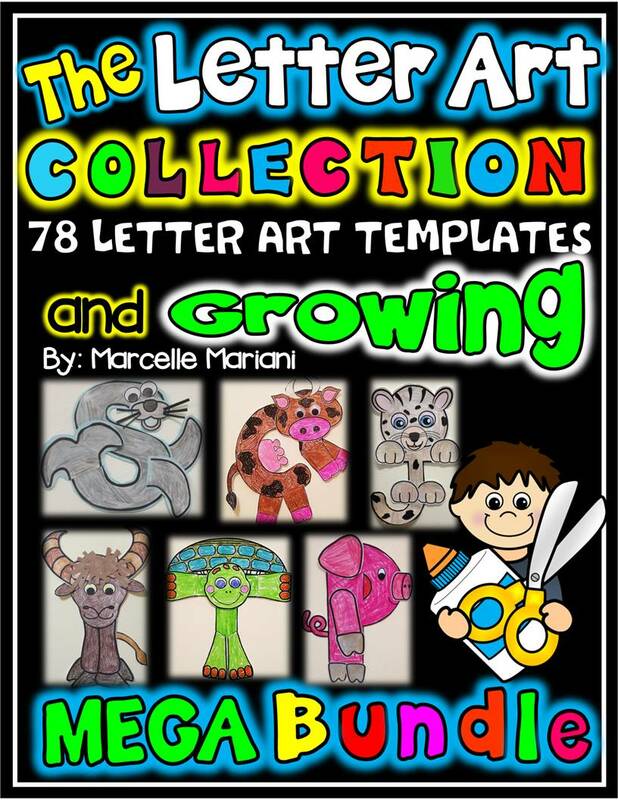 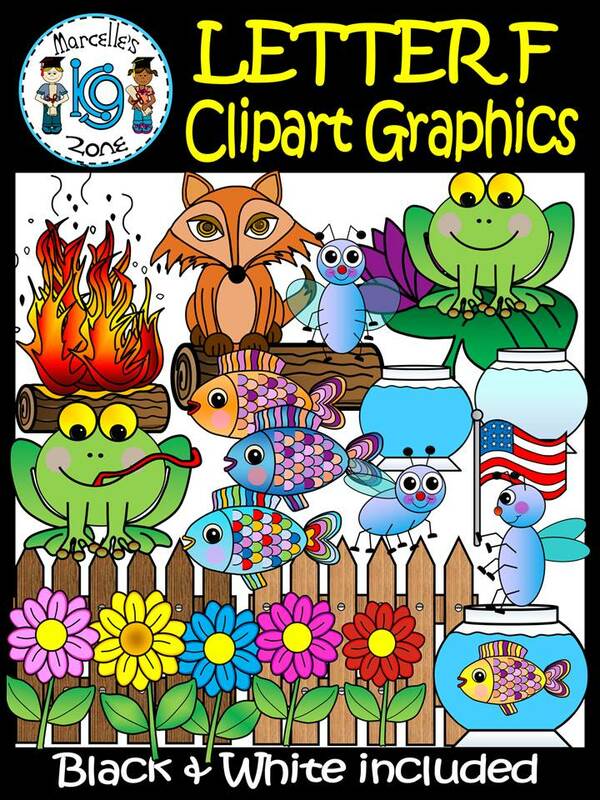 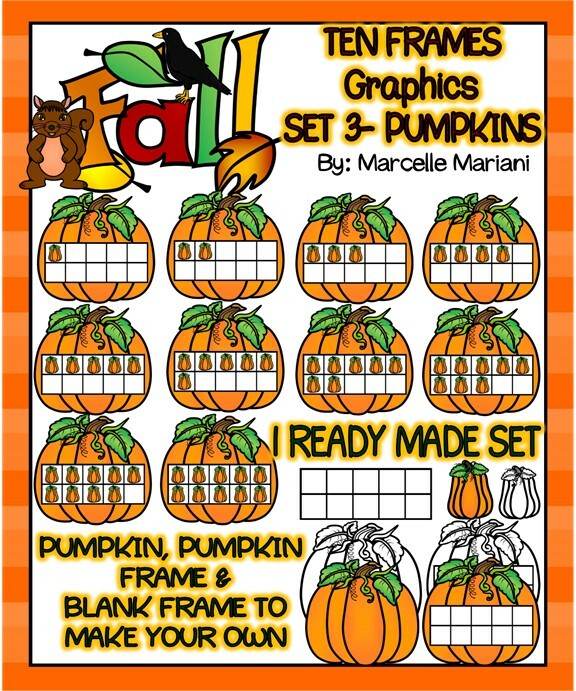 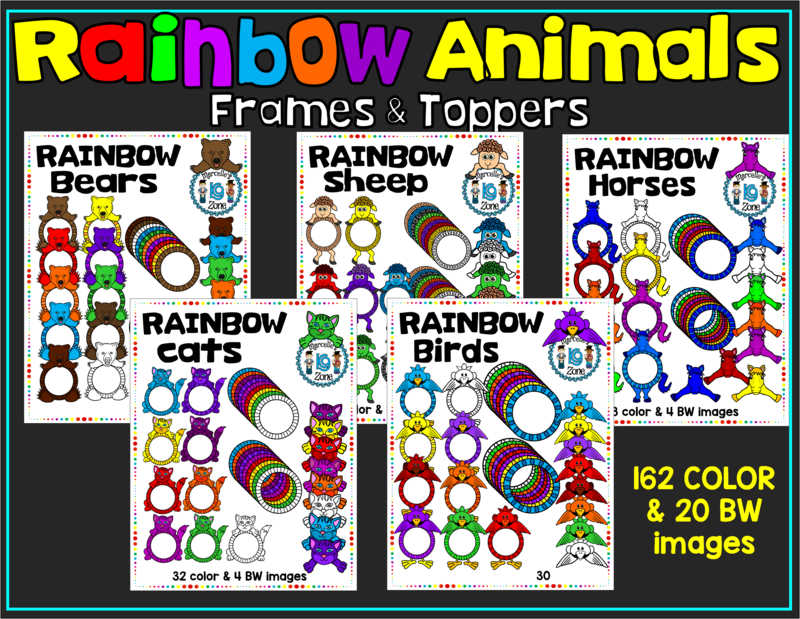 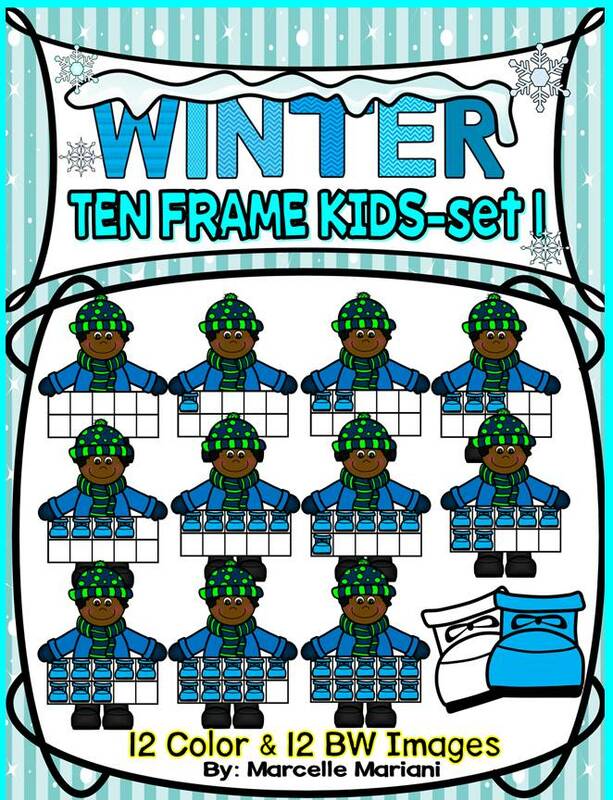 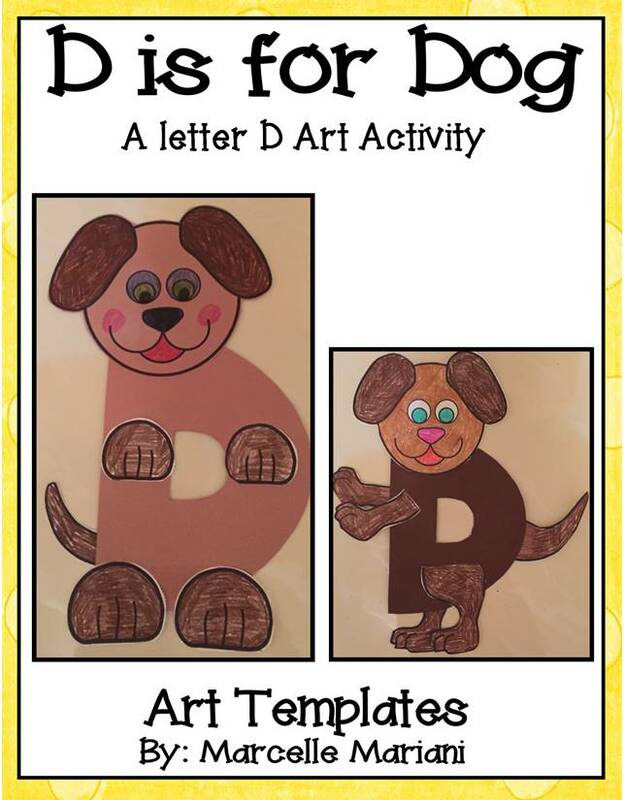 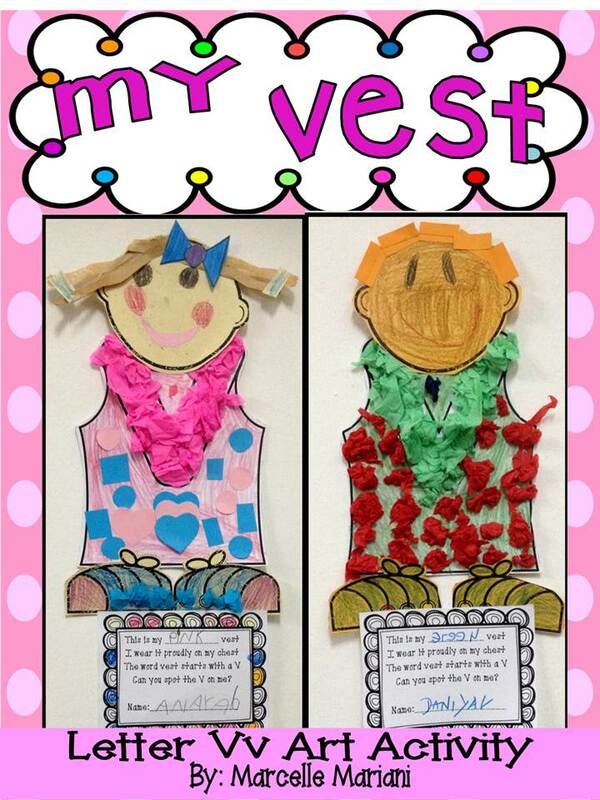 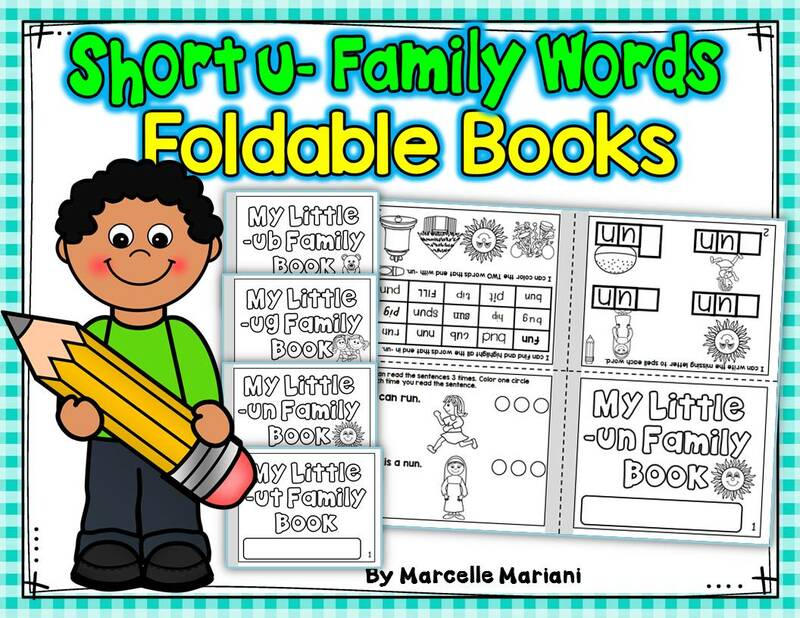 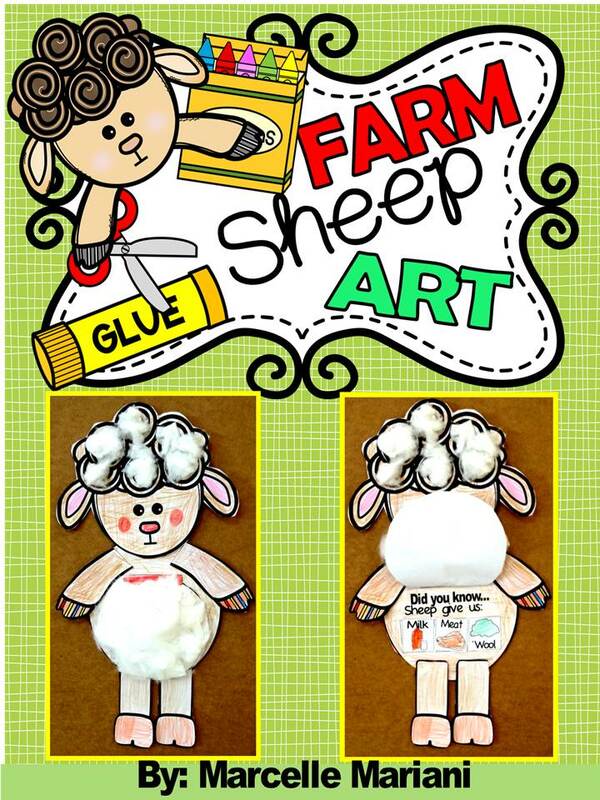 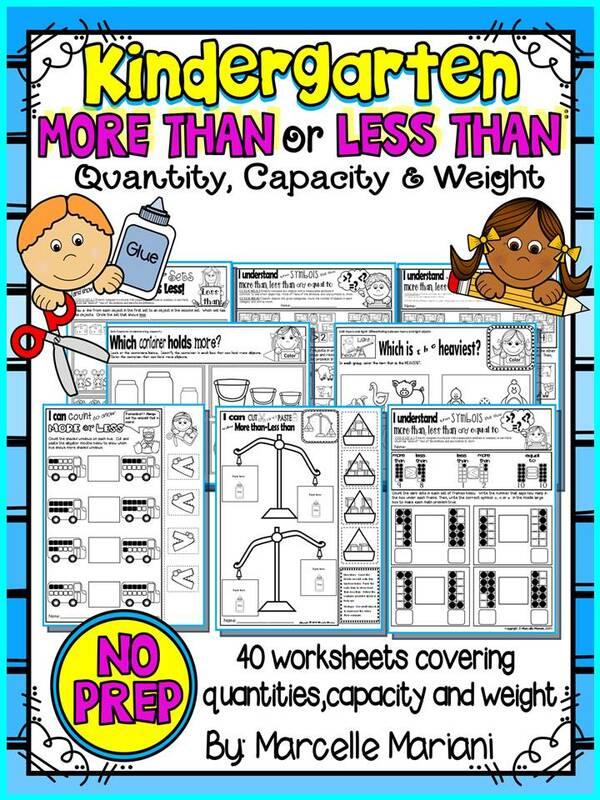 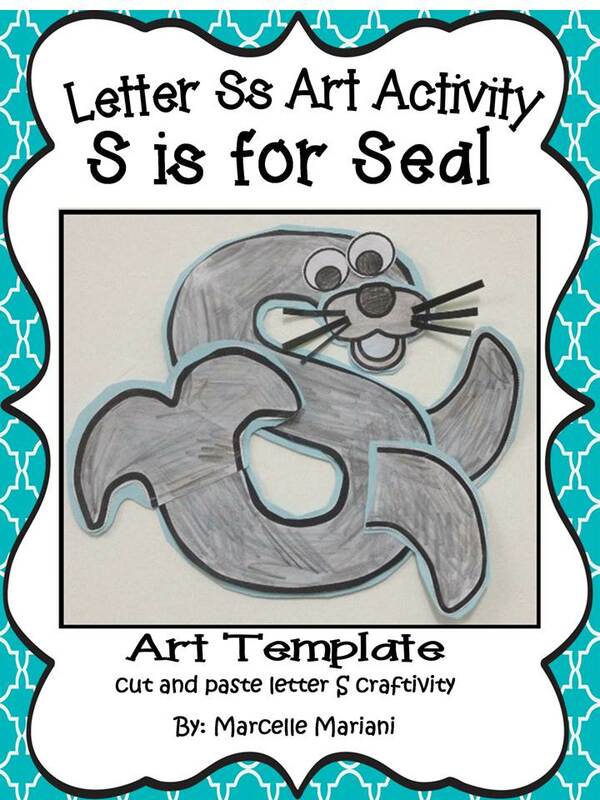 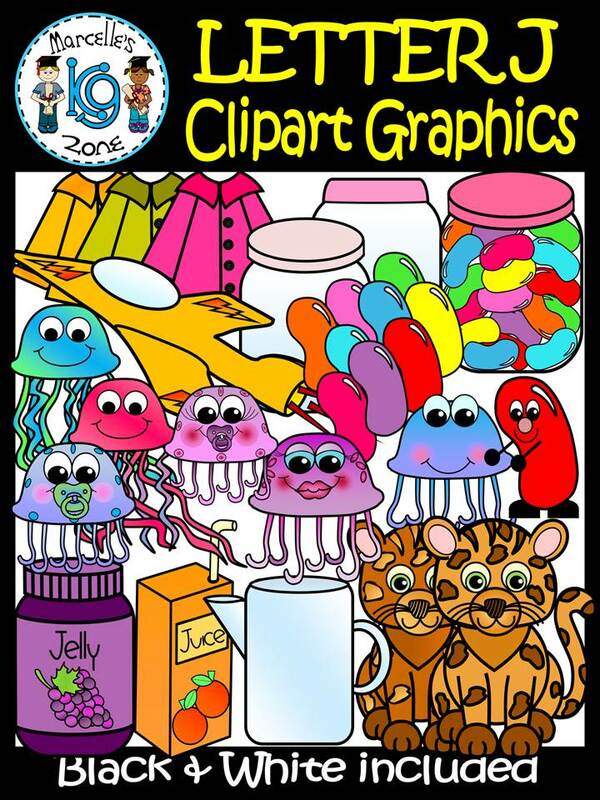 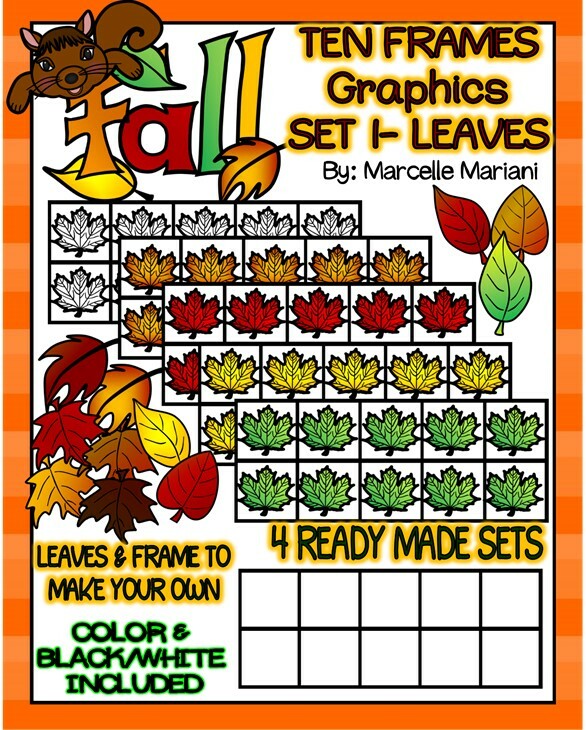 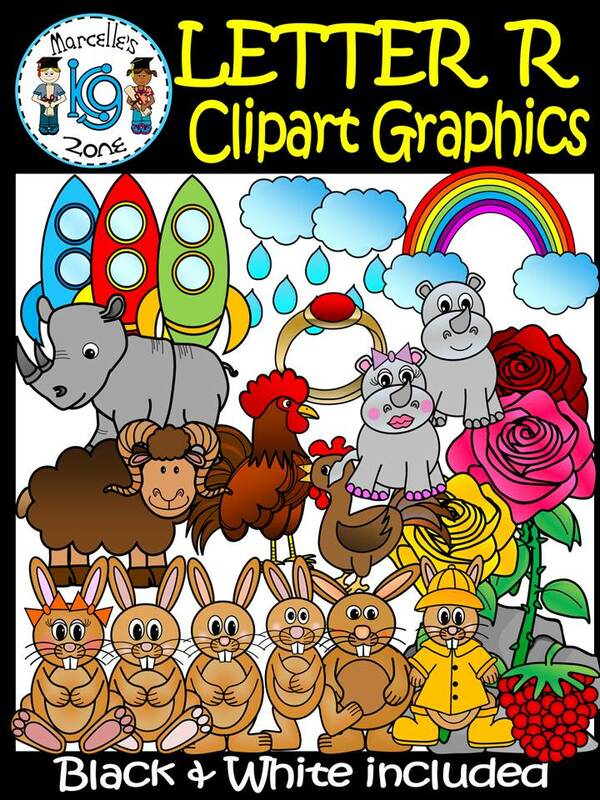 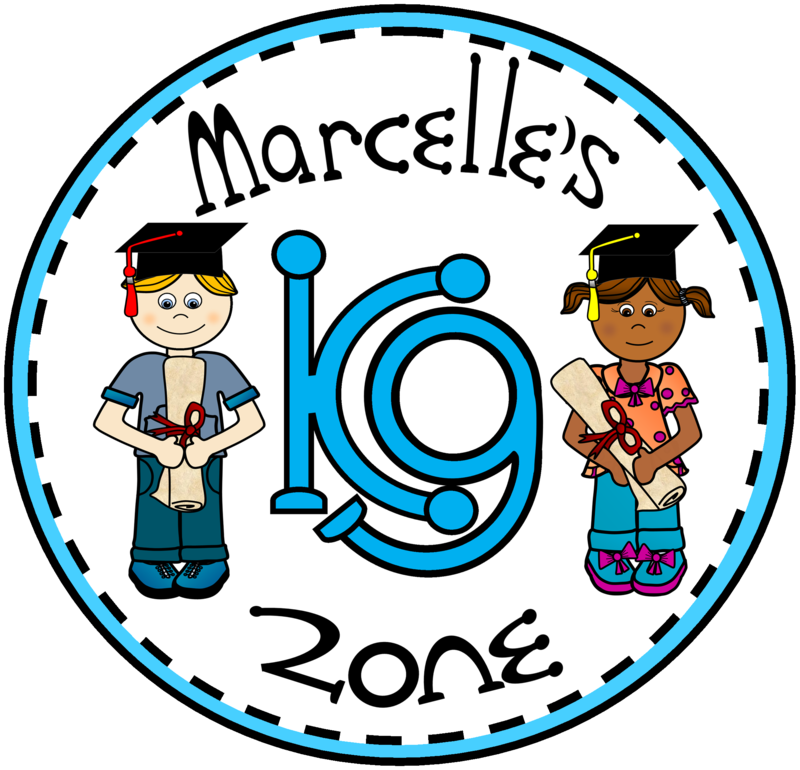 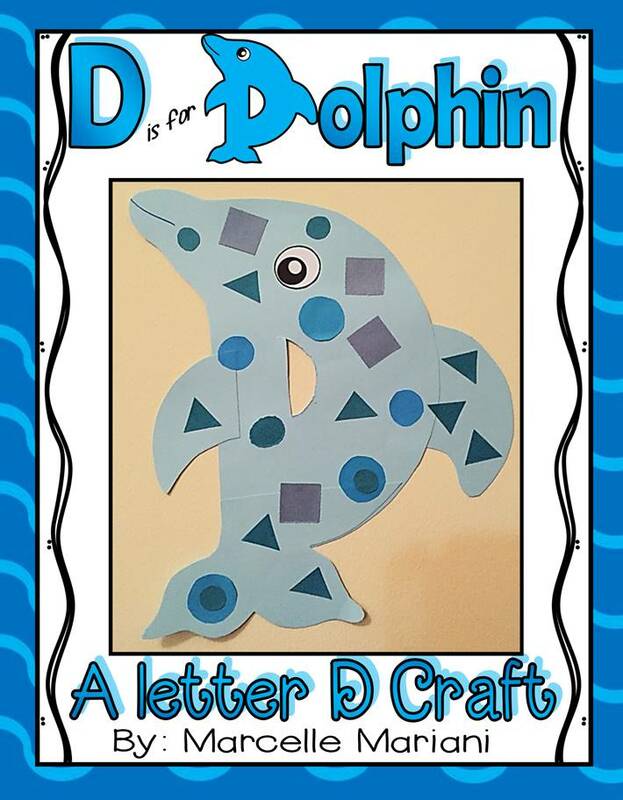 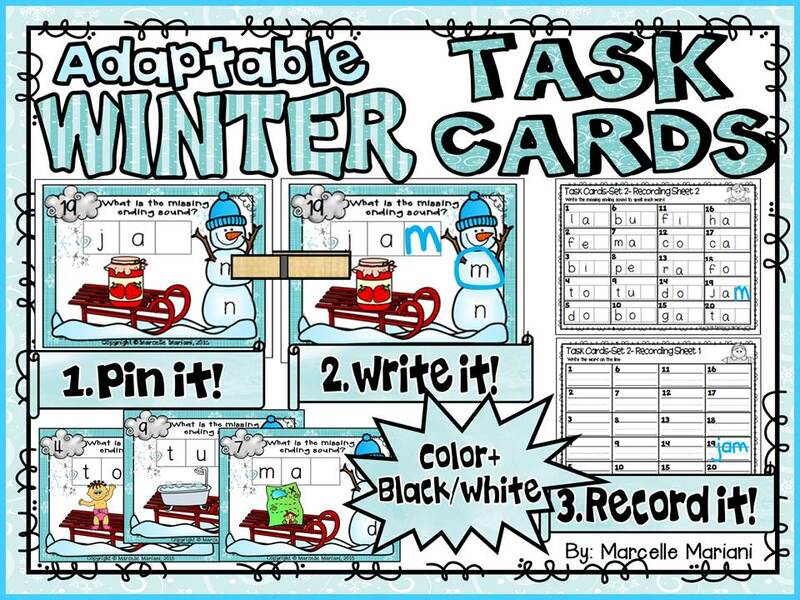 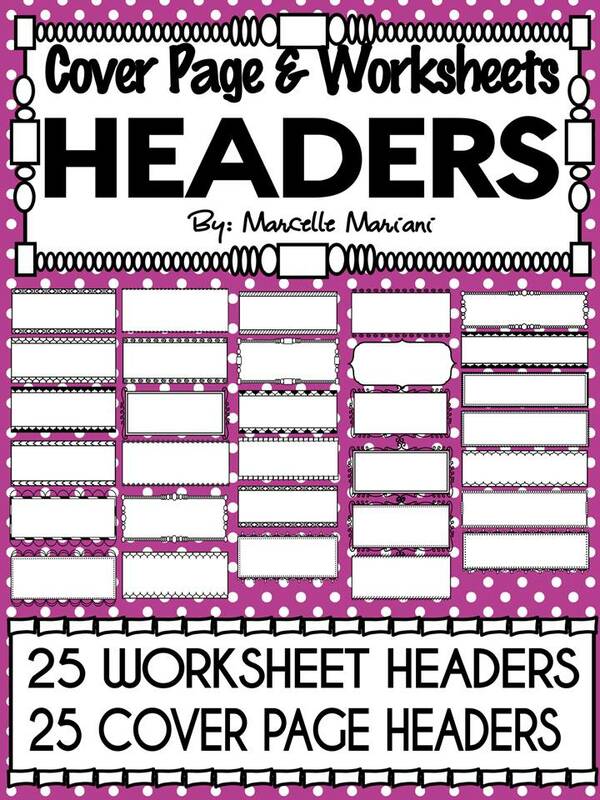 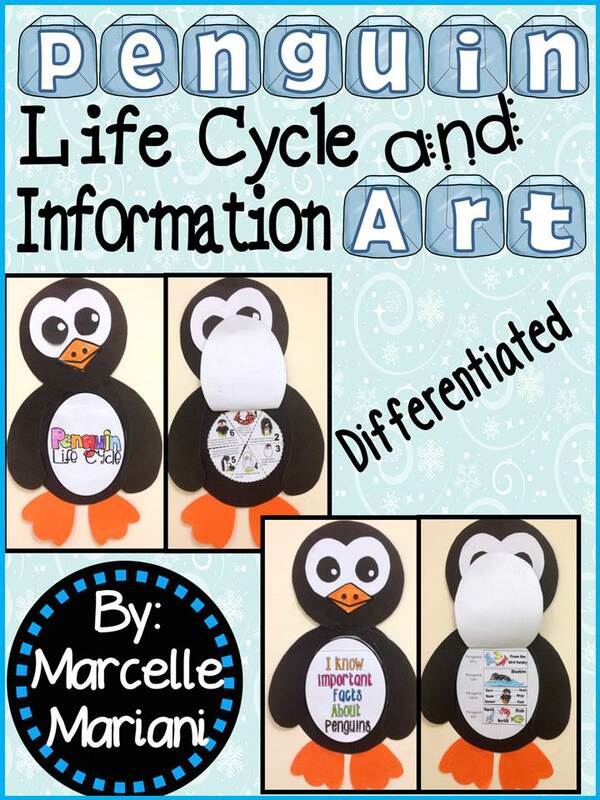 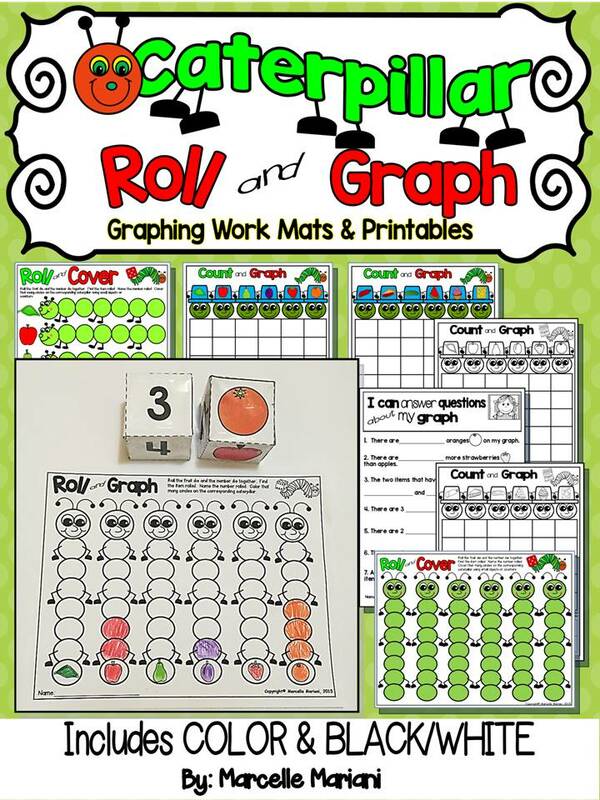 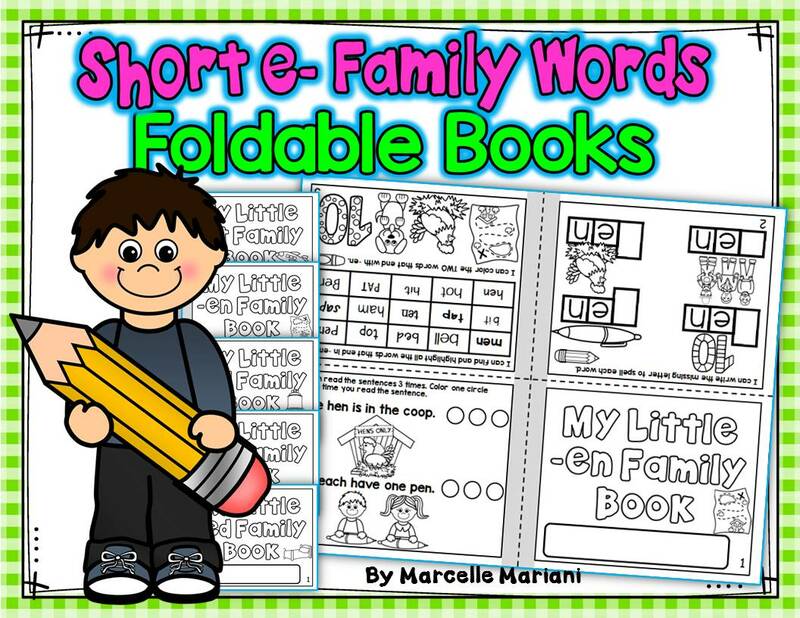 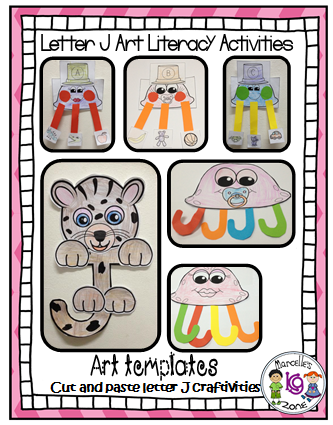 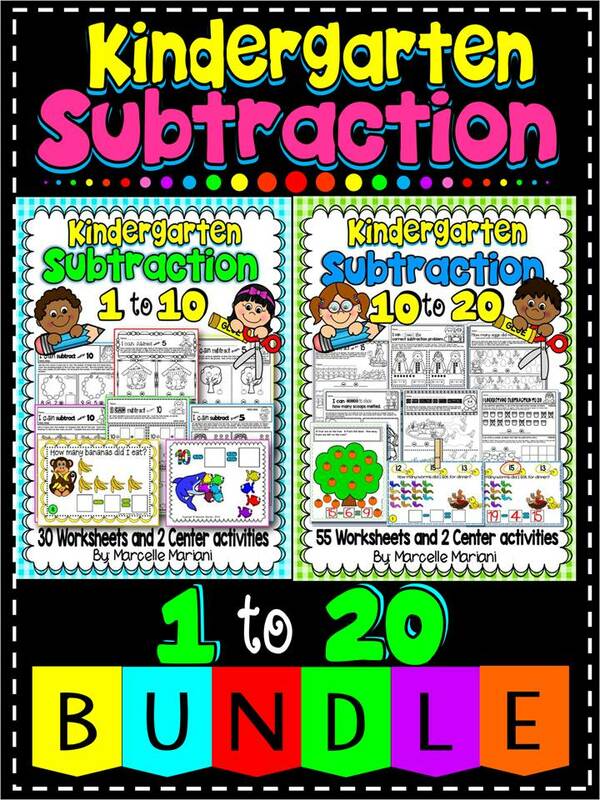 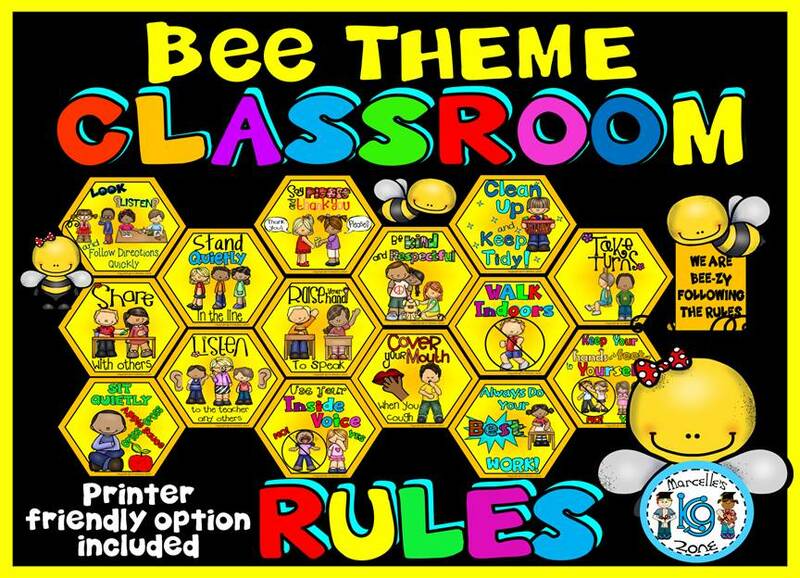 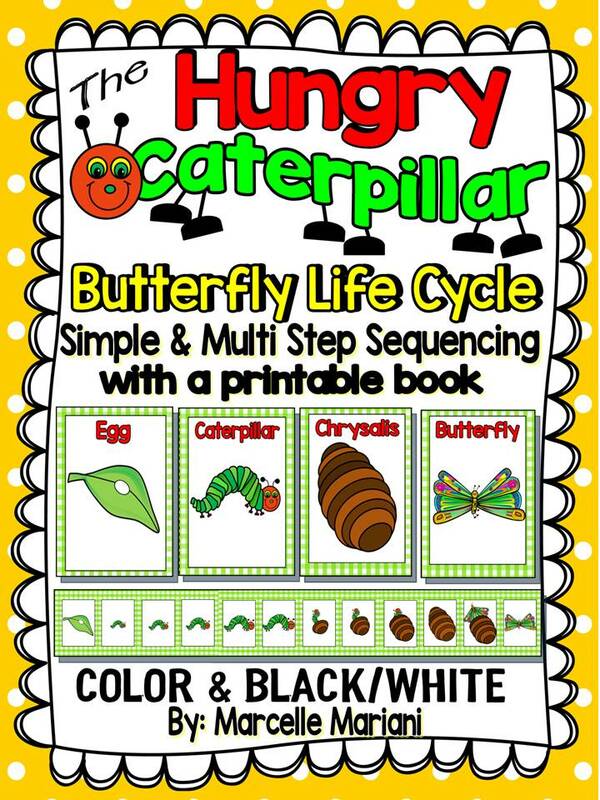 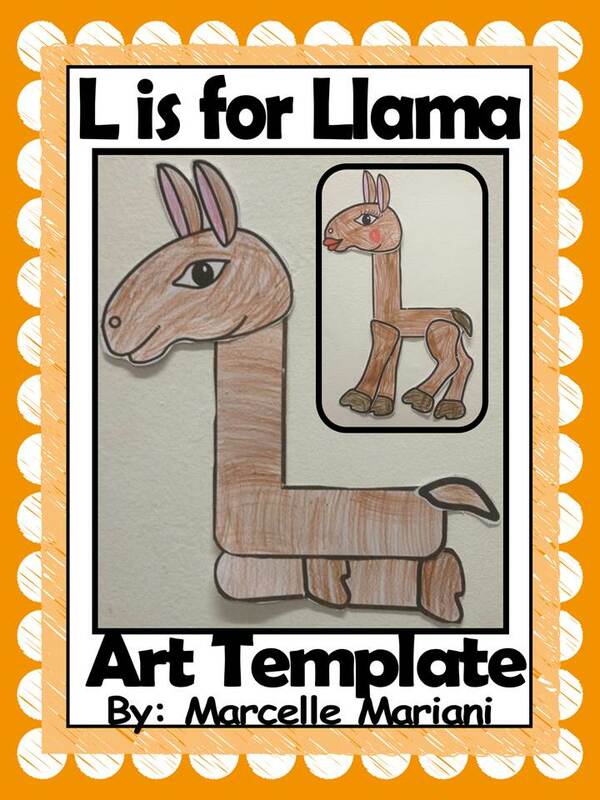 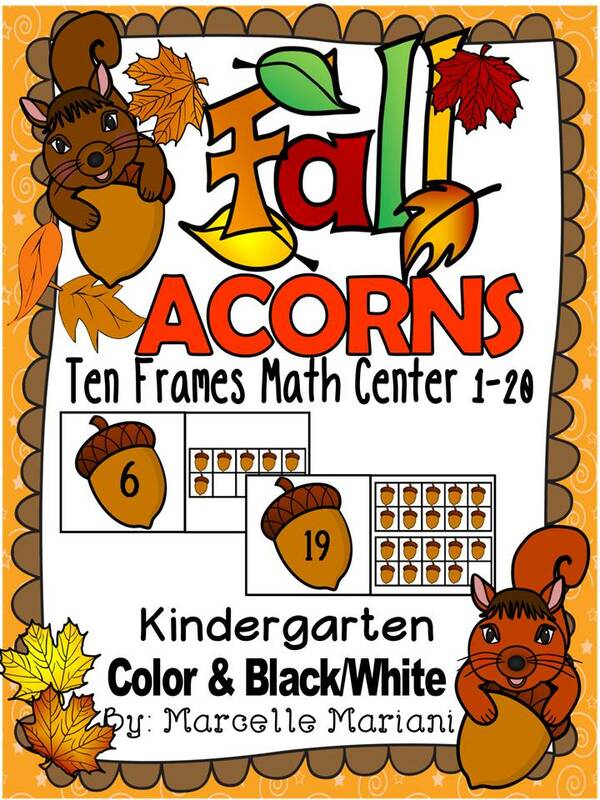 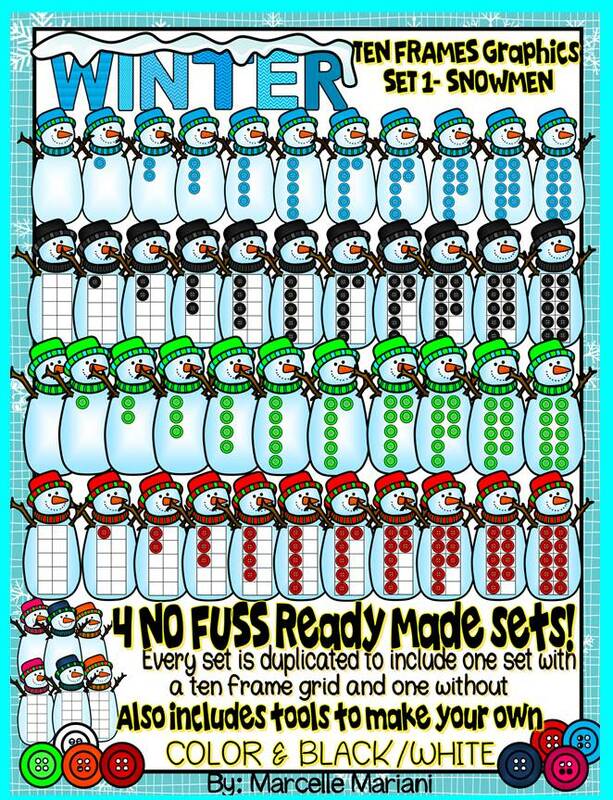 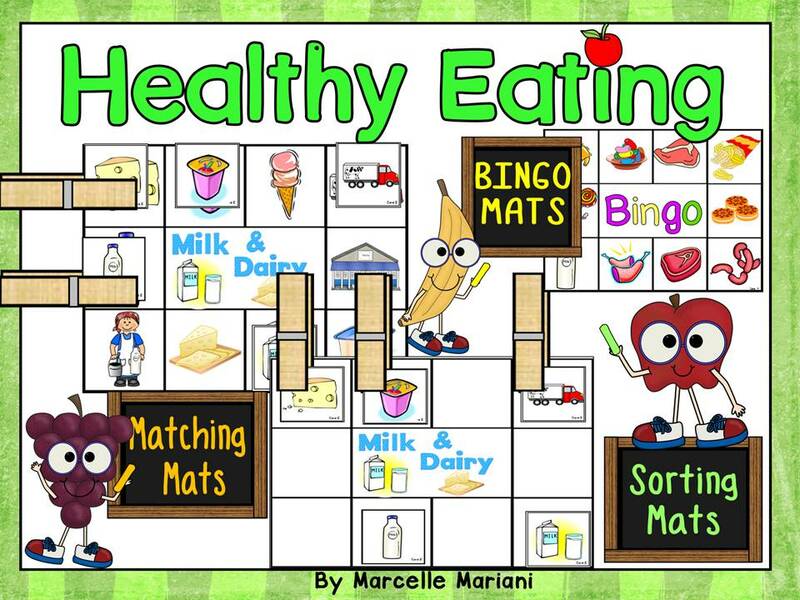 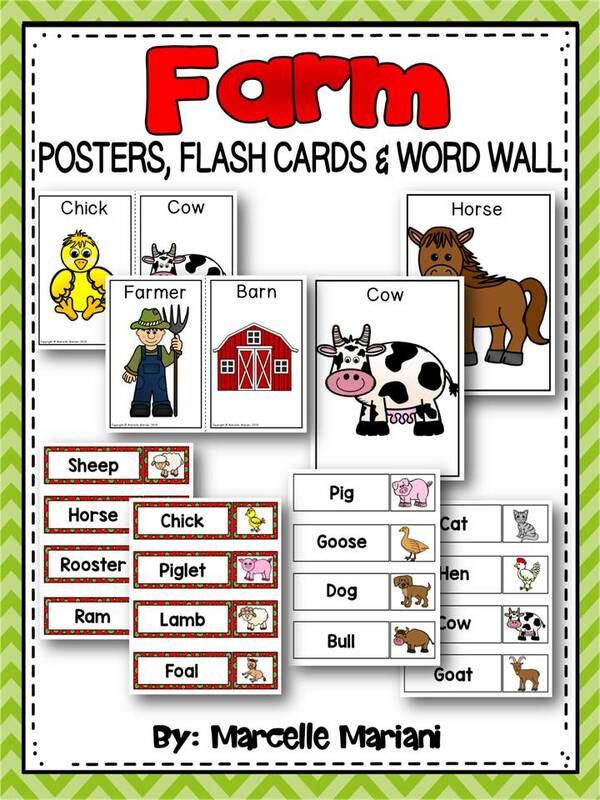 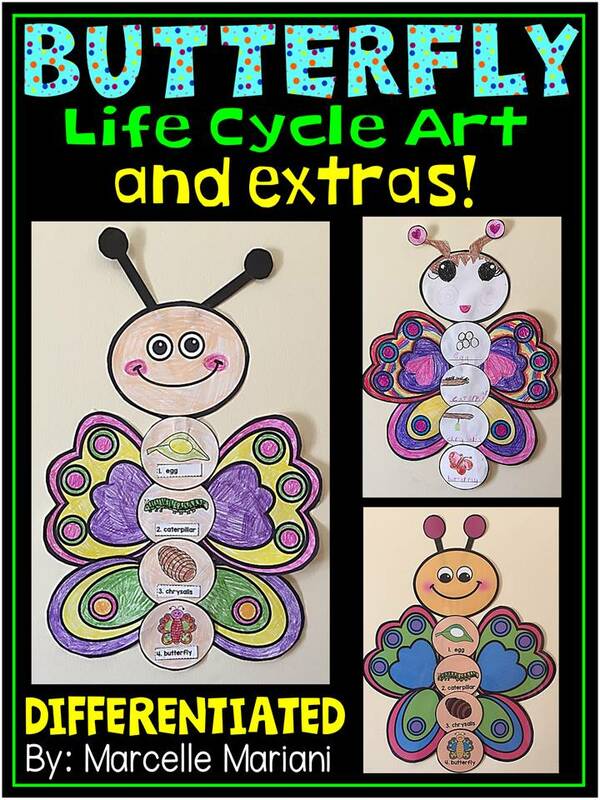 It is loaded with worksheets, art templates, play dough mats, word wall cards, power point presentation, and center games. 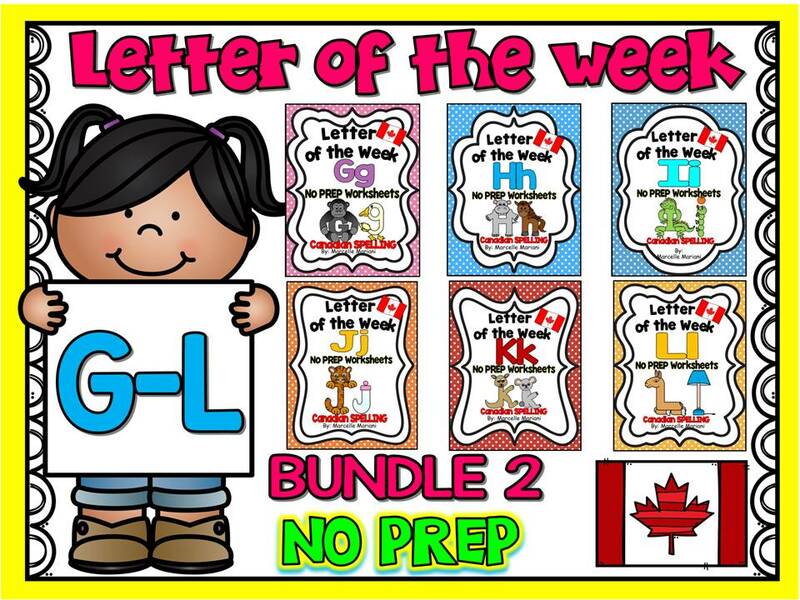 All my packages follow this same format with obvious variations in content depending on the specific letter and skills that are being targeted. 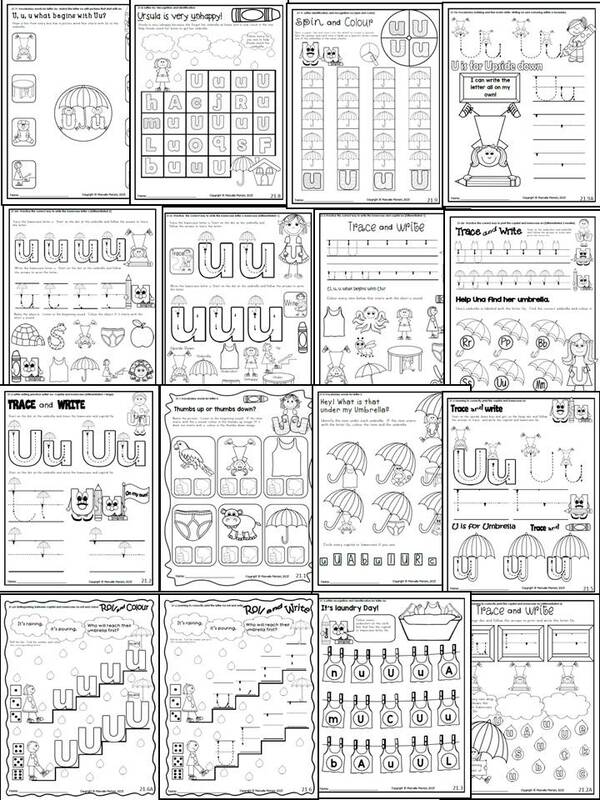 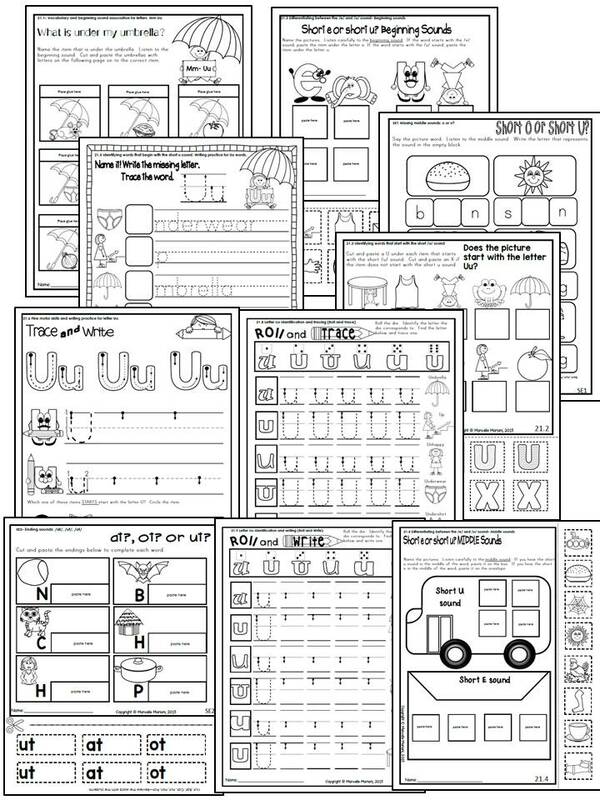 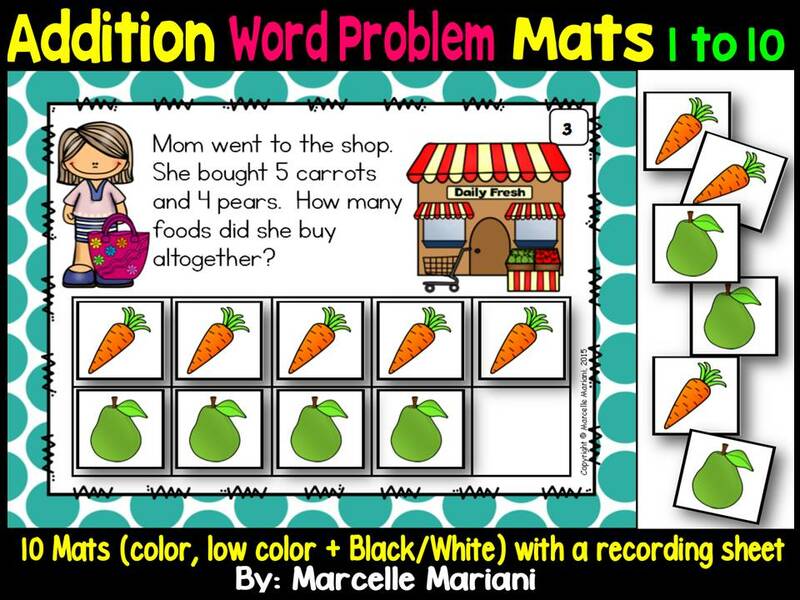 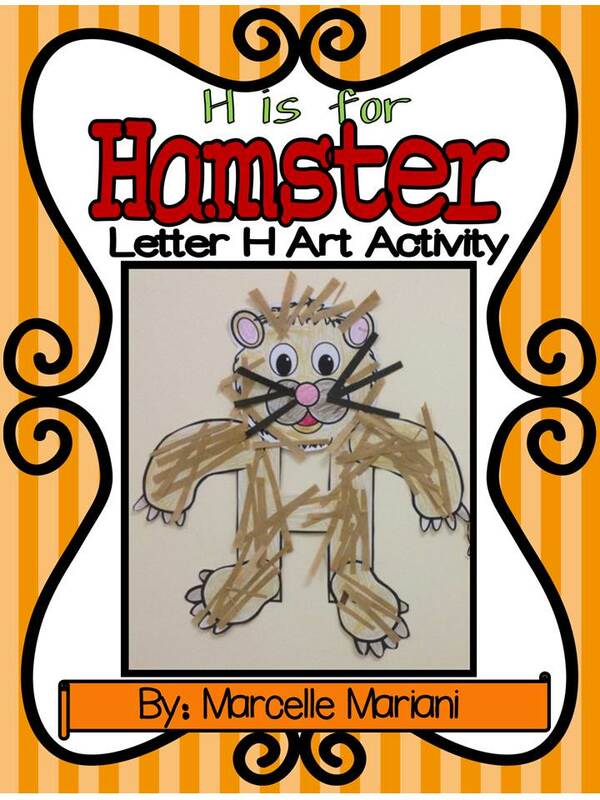 Key words: Letter u activities, Letter of the week- letter u, Letter u art templates, Letter u center activities, Letter u worksheets, letter ufold-able books, phonics, letter sounds, letter recognition and identification, RTI, Letter uPowerPoint presentation, letter u word wall cards, letter u play dough mats, letter u printables. 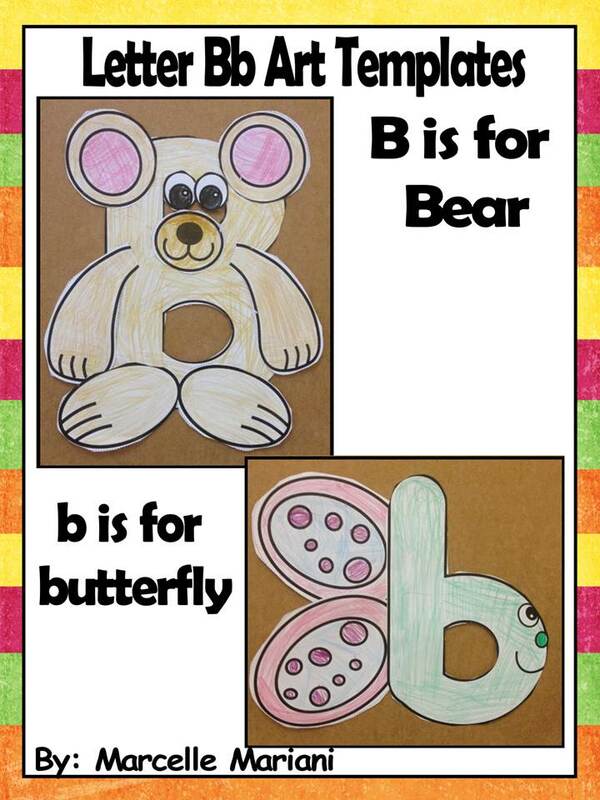 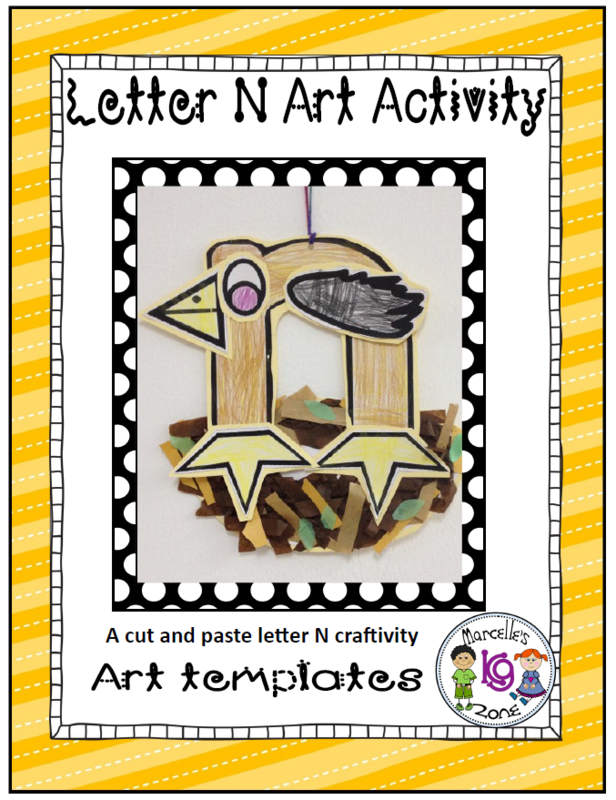 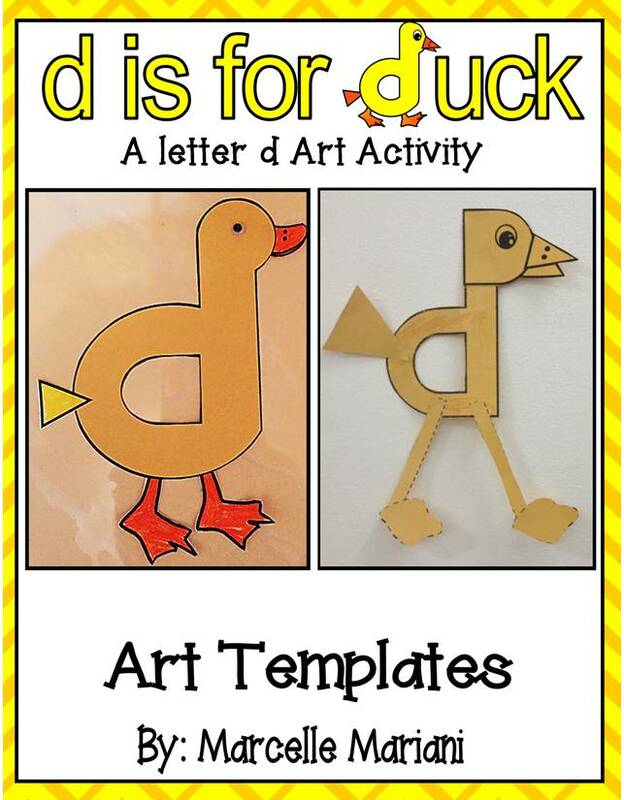 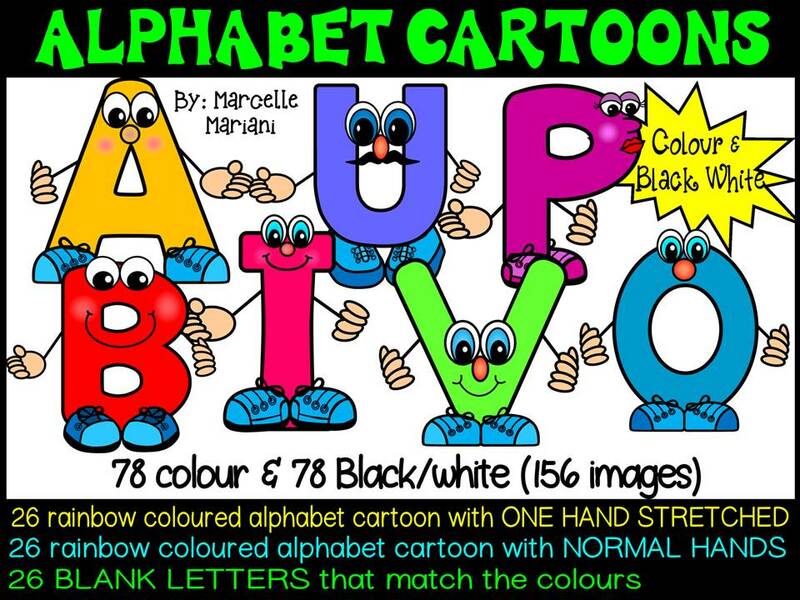 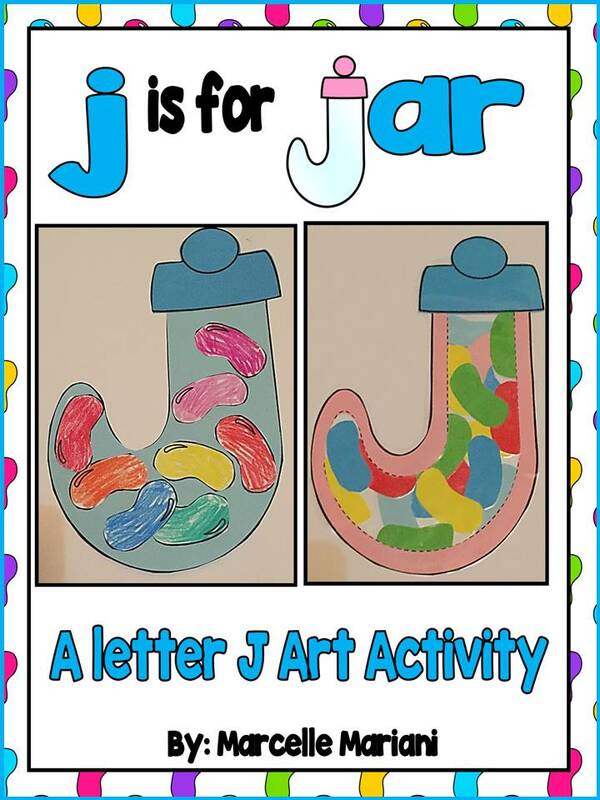 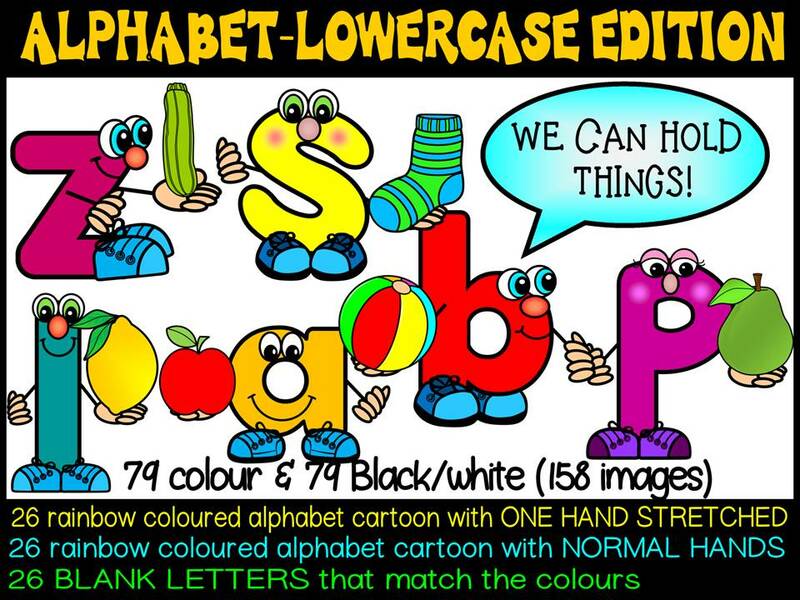 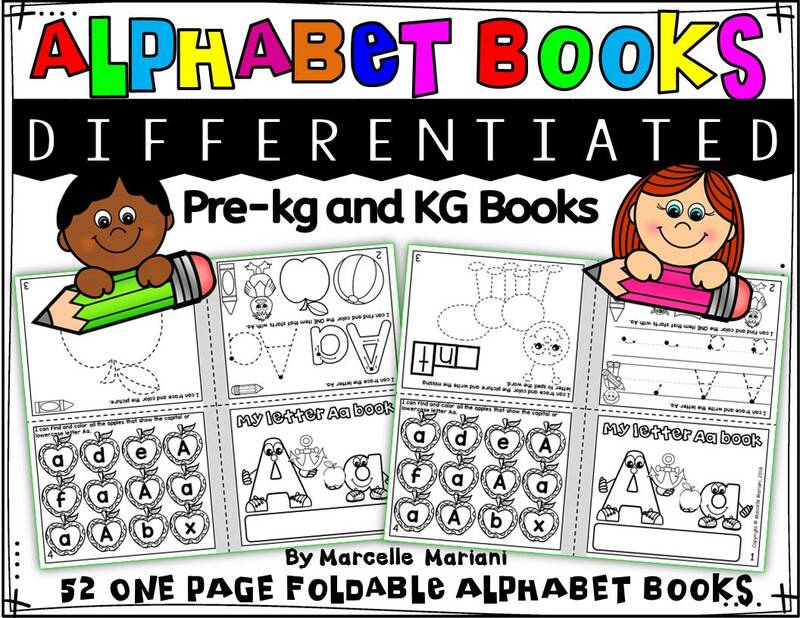 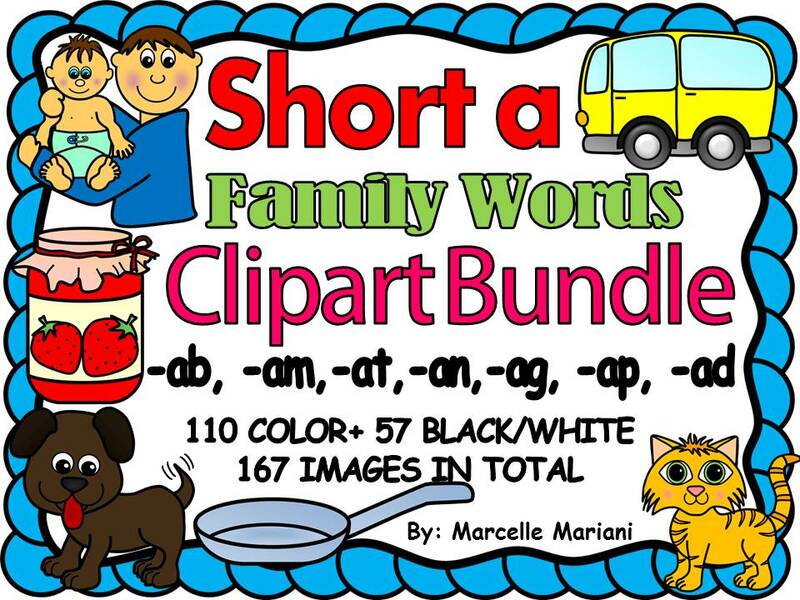 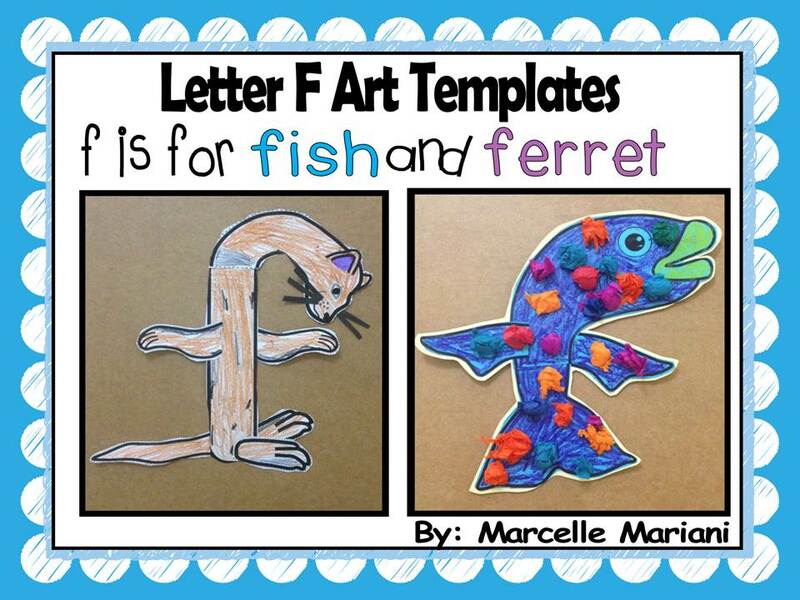 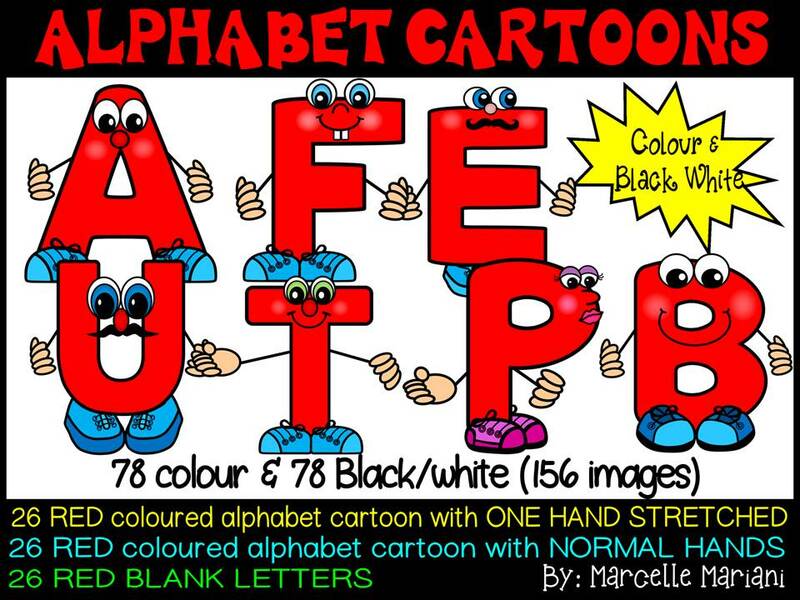 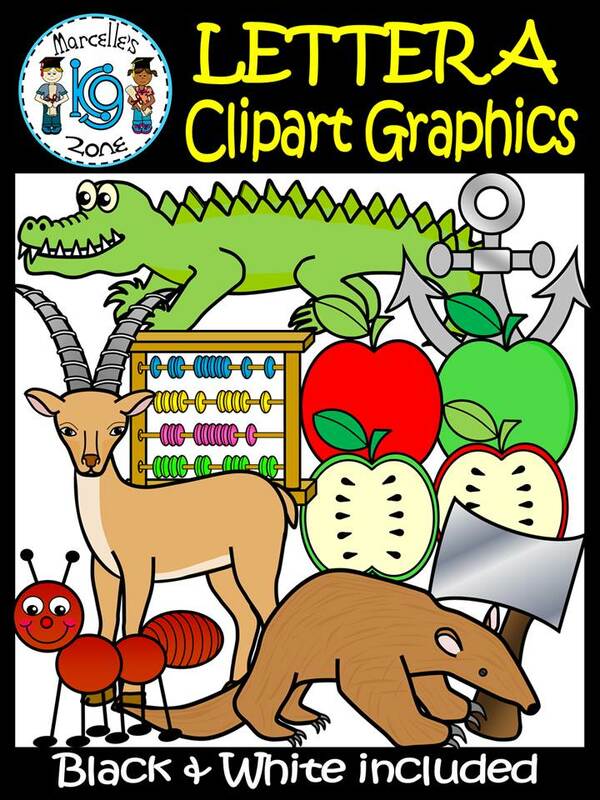 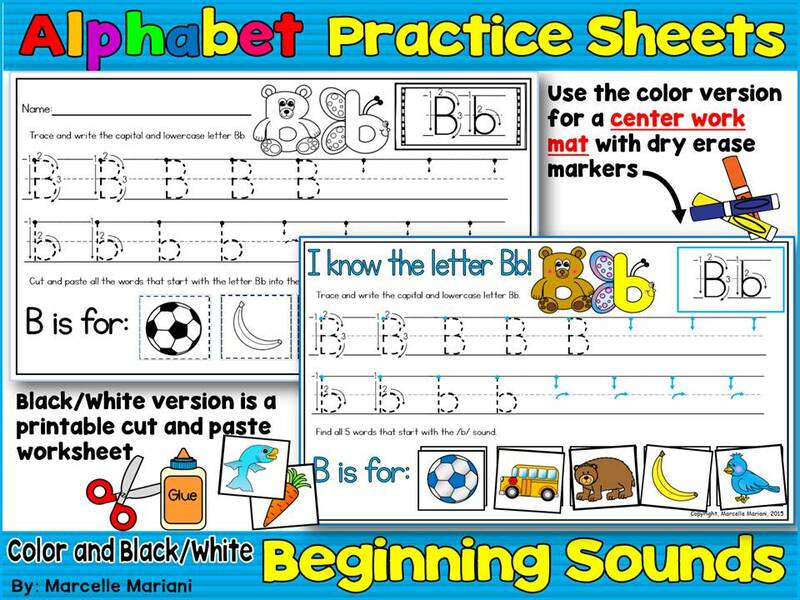 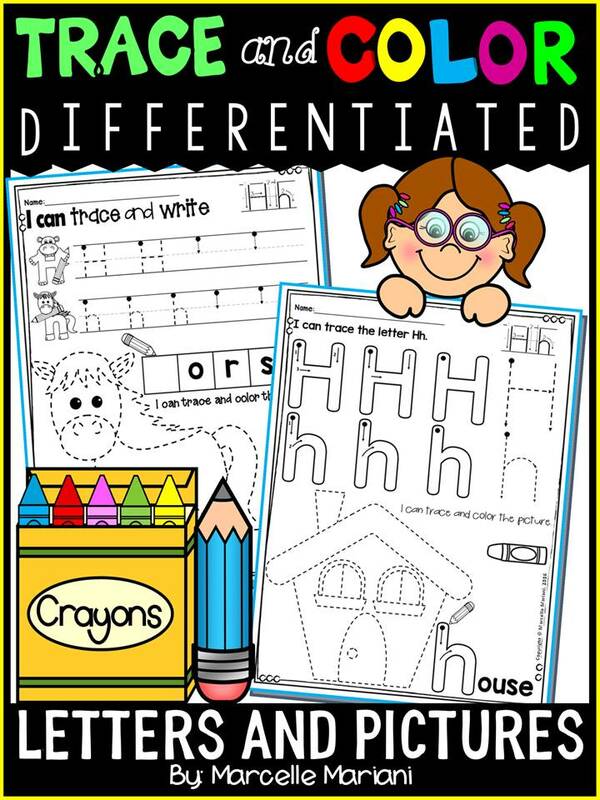 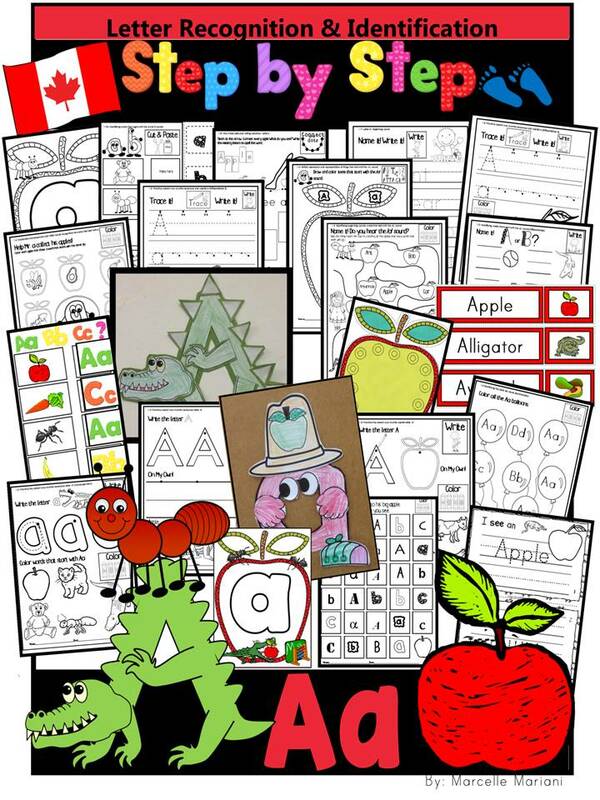 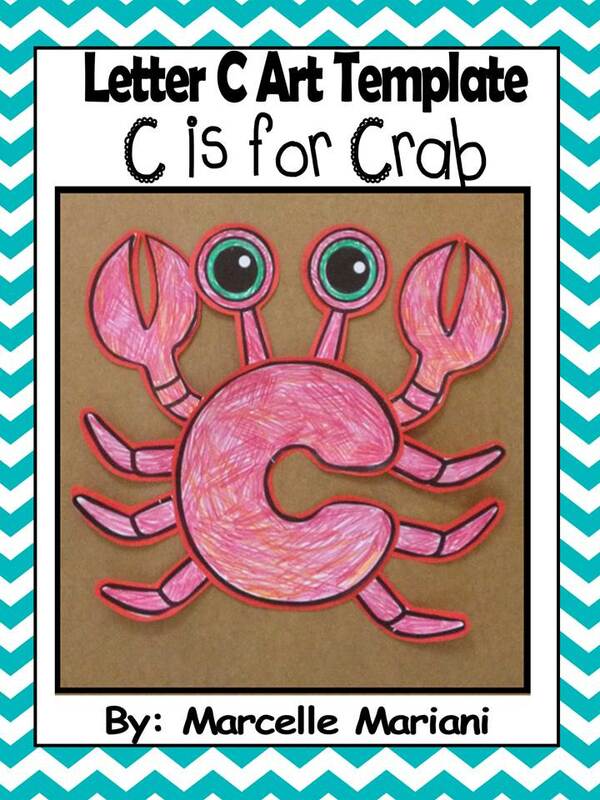 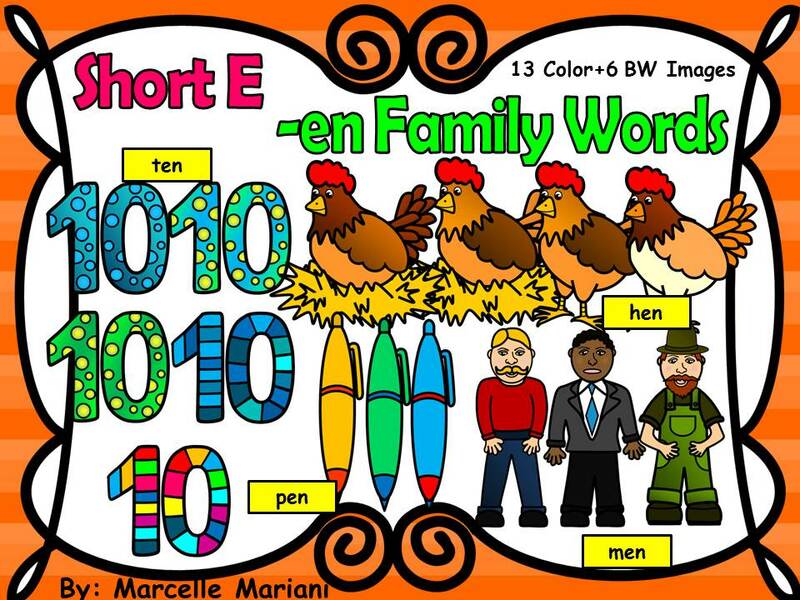 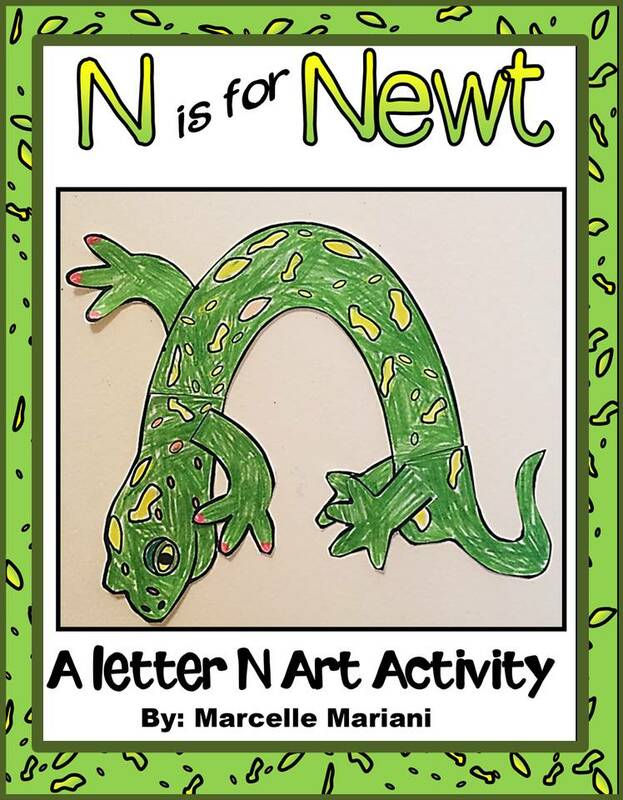 *Some of the tools used here take into assumption that children have already learned letters A-T so some of the worksheets reflect on previous letters as well as letter u. 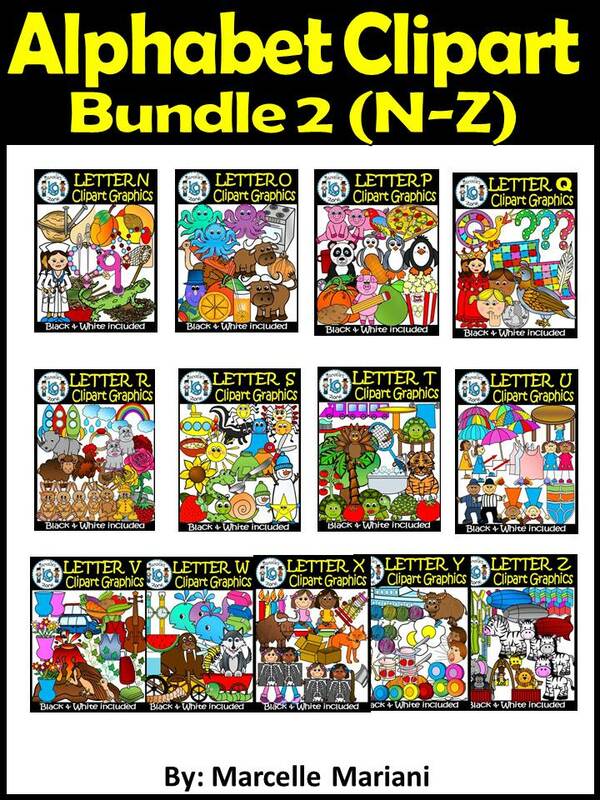 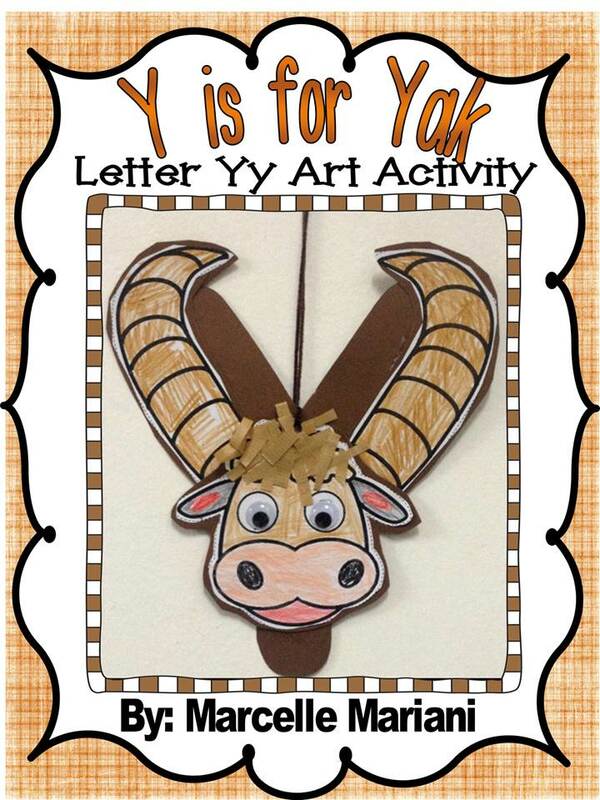 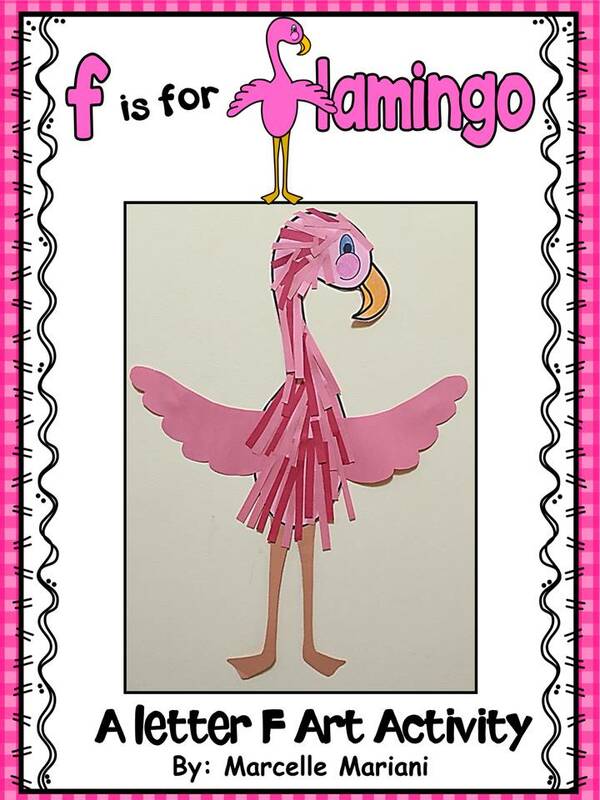 Every package follows a sequence and will include items that include past letters in the alphabet sequence. 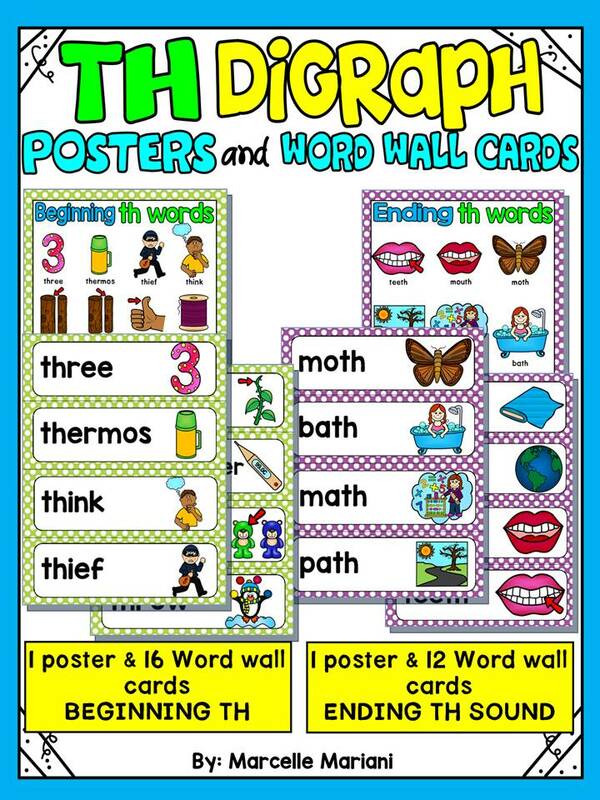 The power point has a built in voice that guides students to listen to the beginning sounds in the words presented. 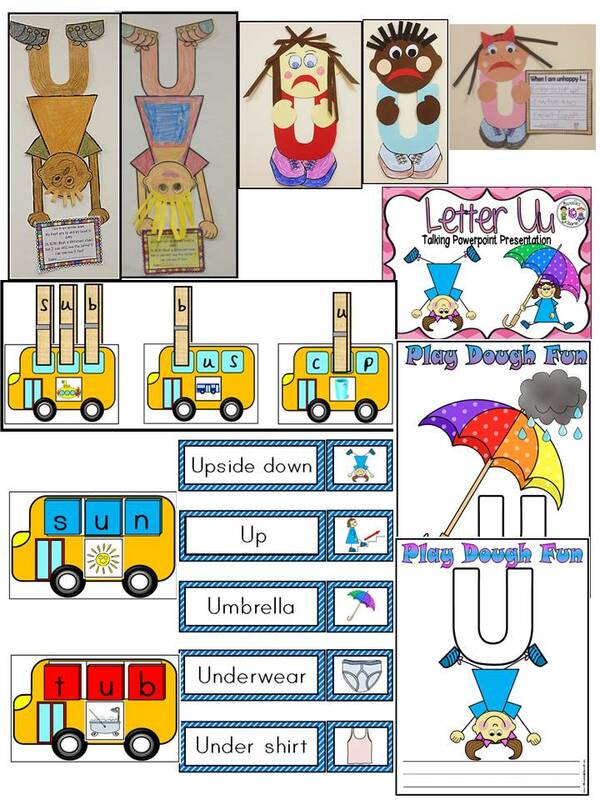 The powerpoint briefly targets middle U sound as well as beginning sound by looking at CVC word families that use the U sound. 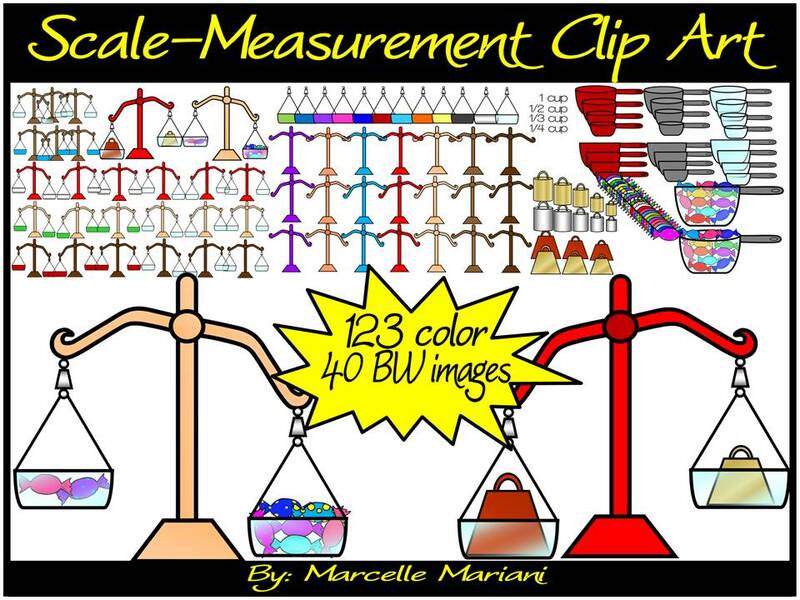 NOTE: I do my best to strive for 4.0 positive ratings. 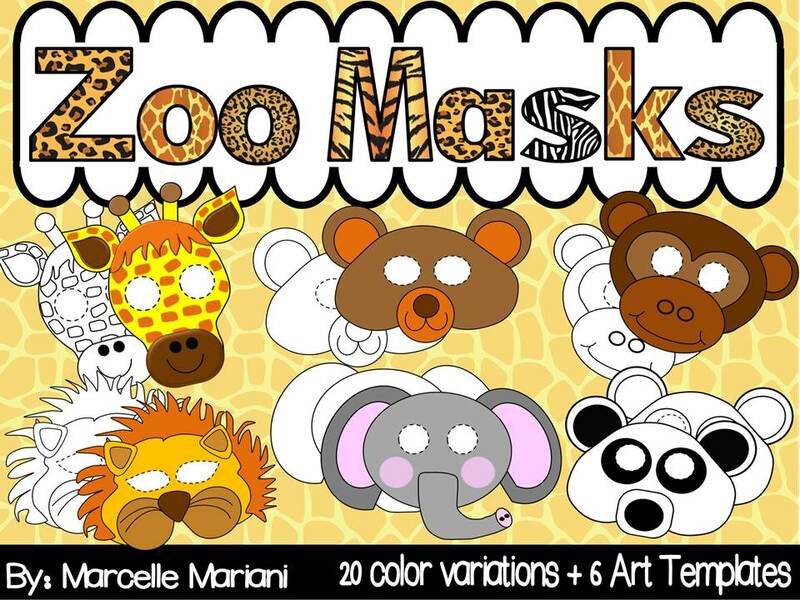 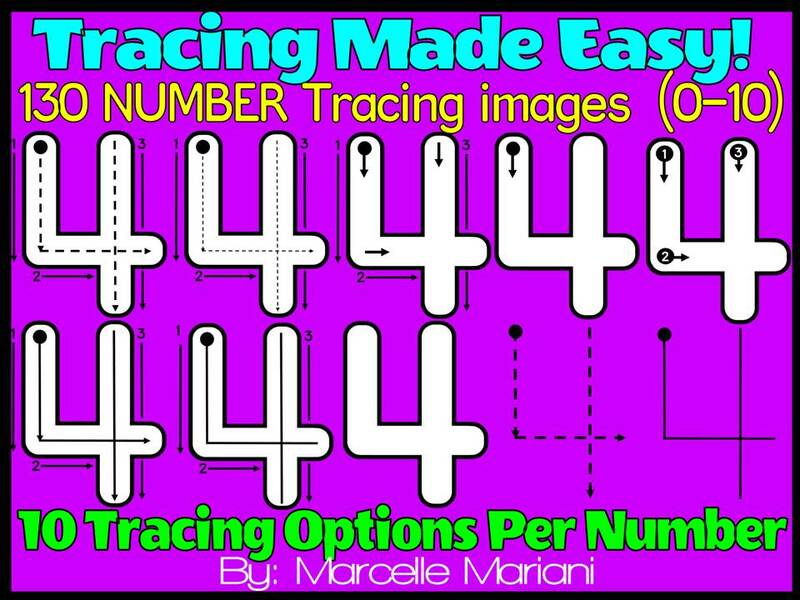 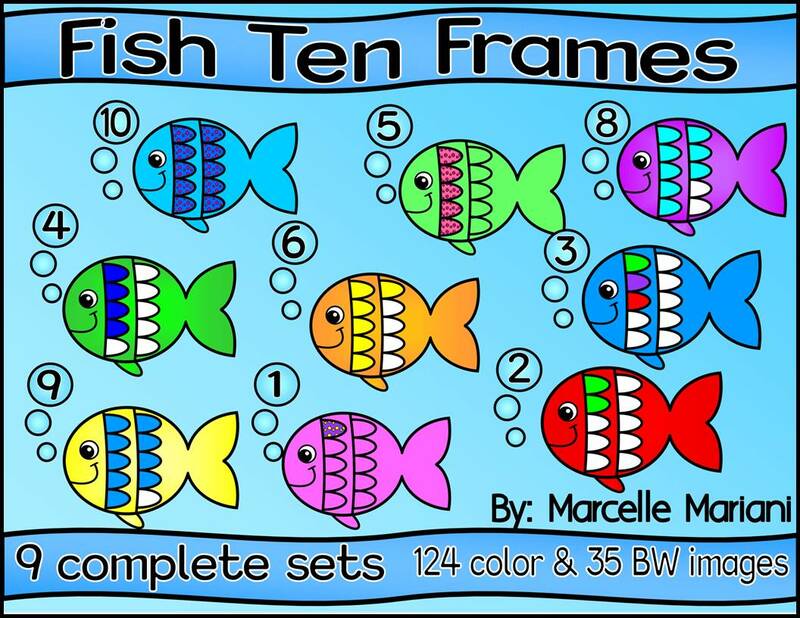 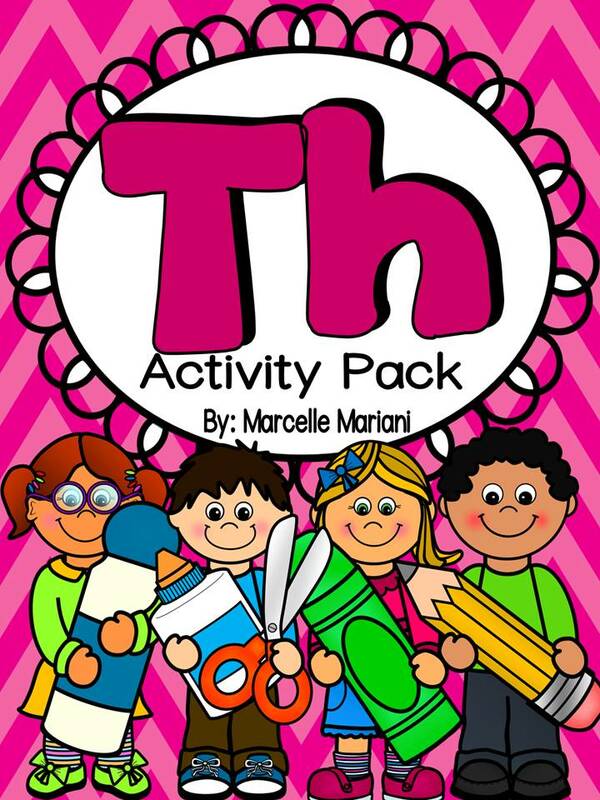 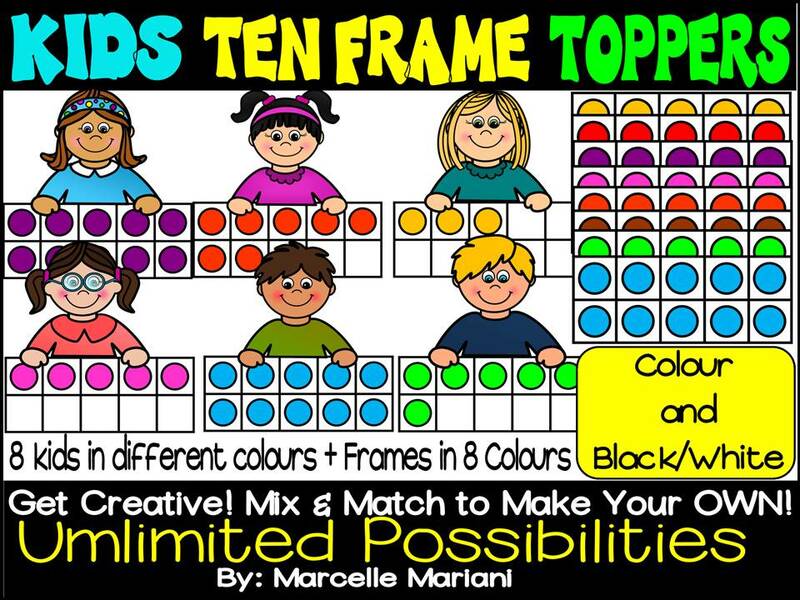 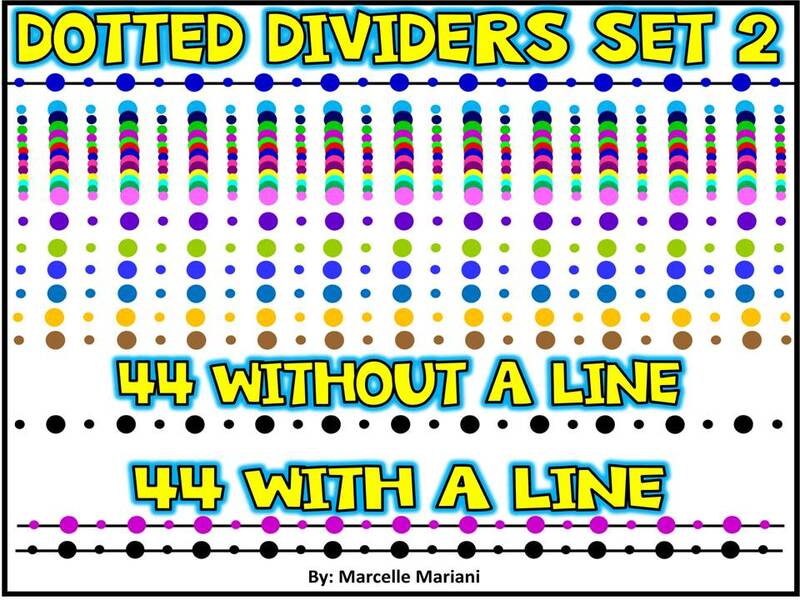 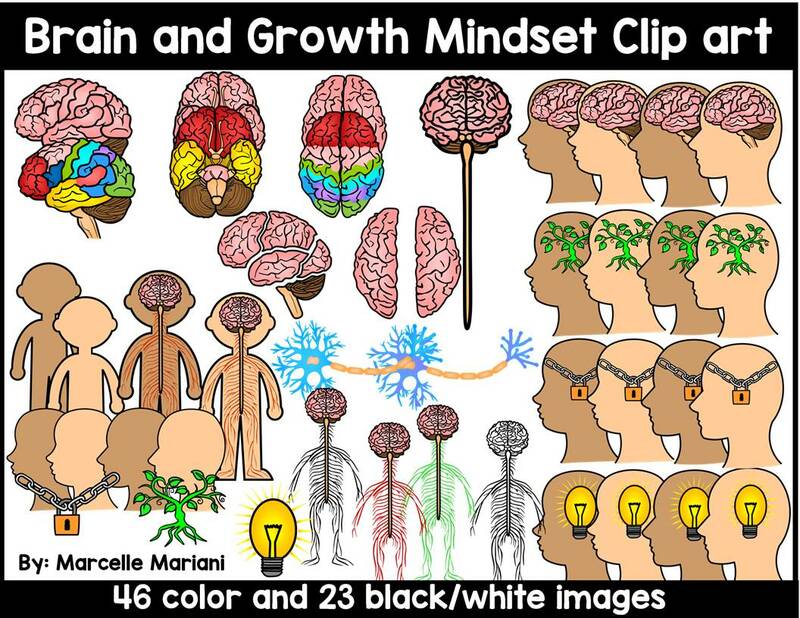 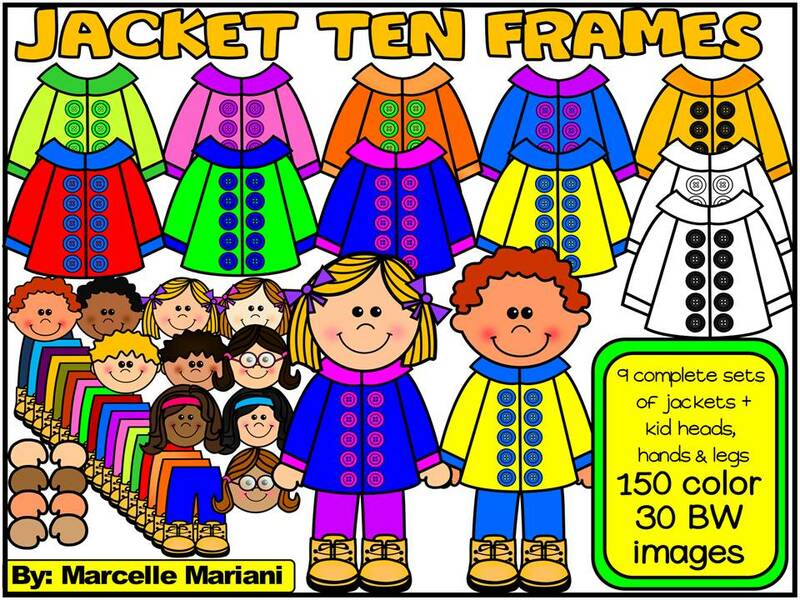 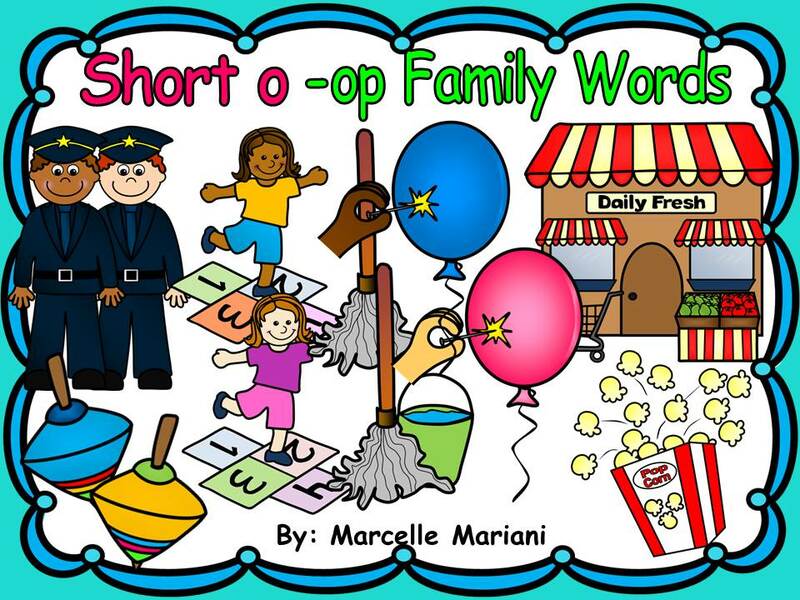 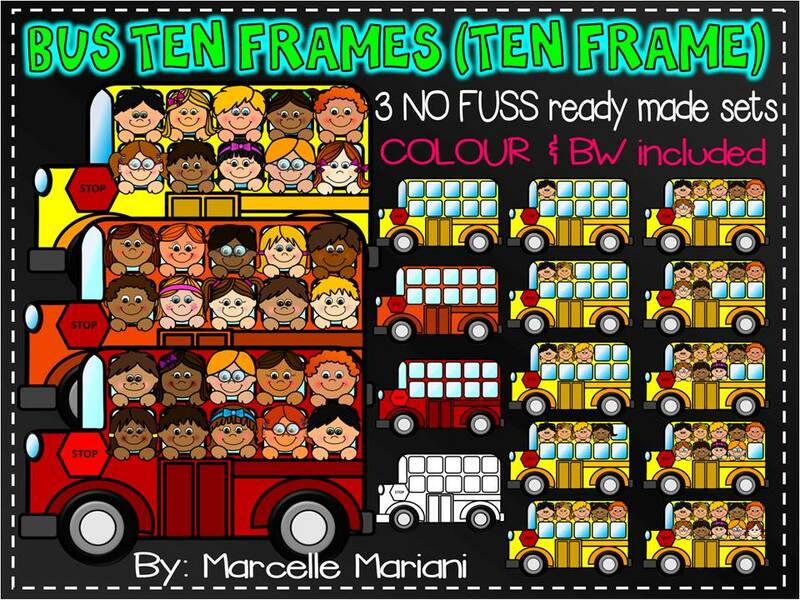 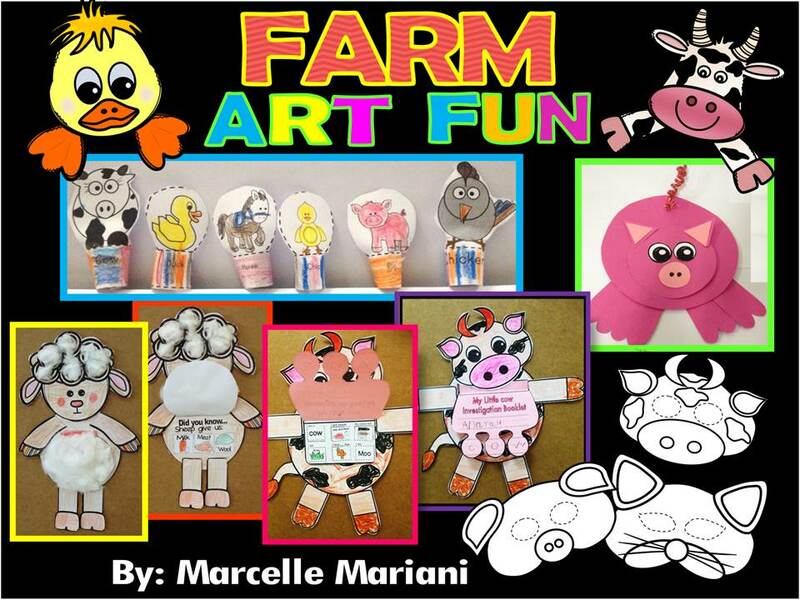 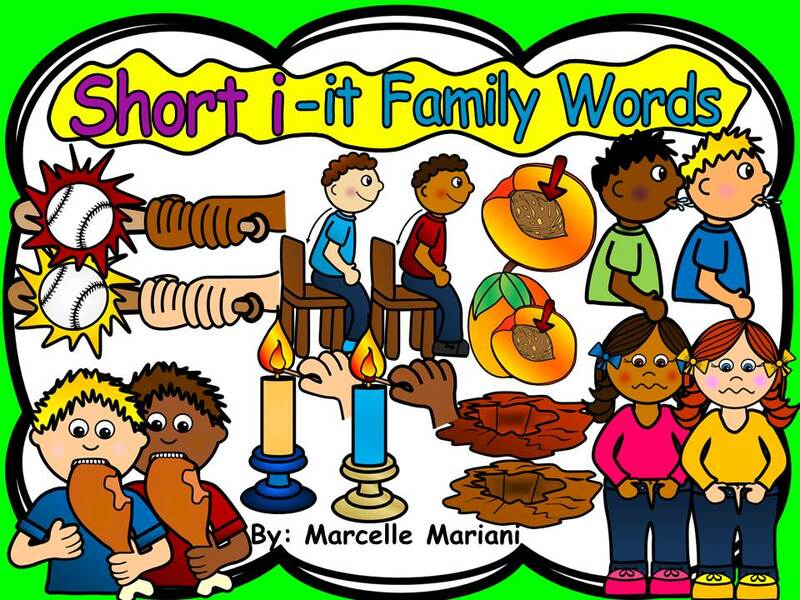 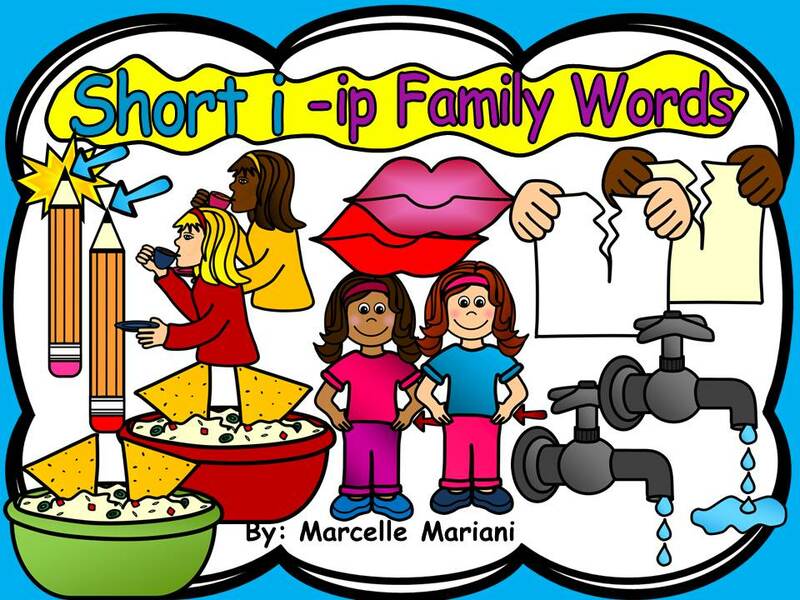 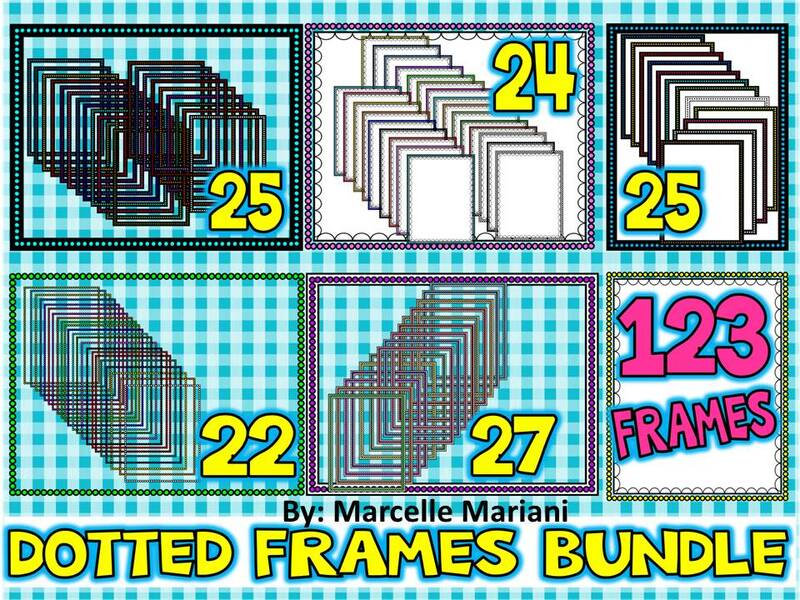 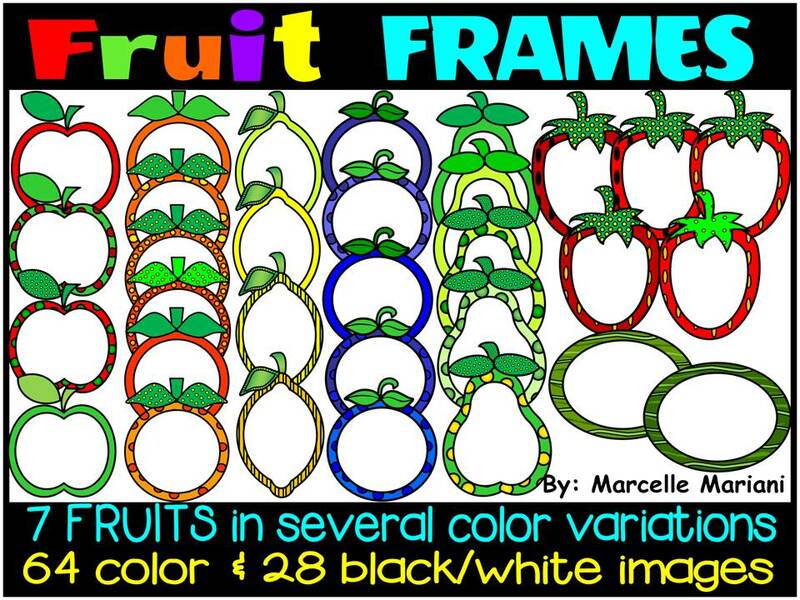 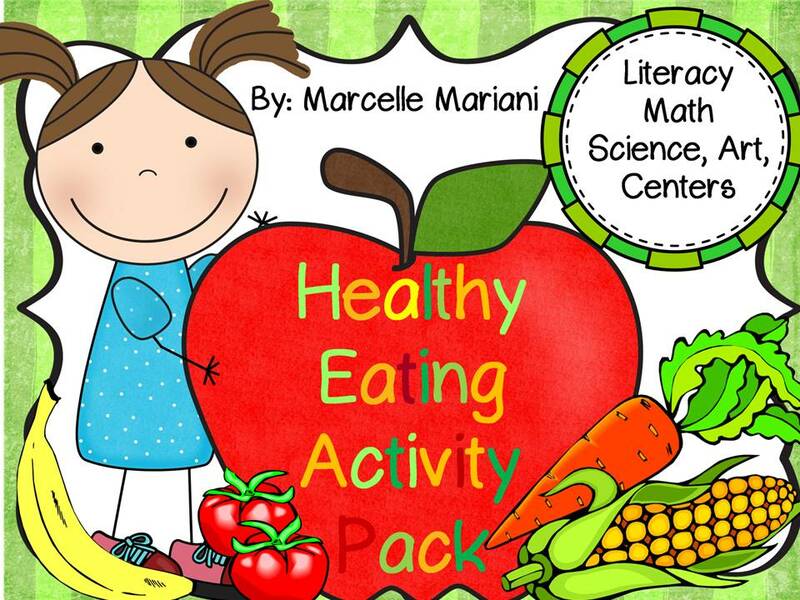 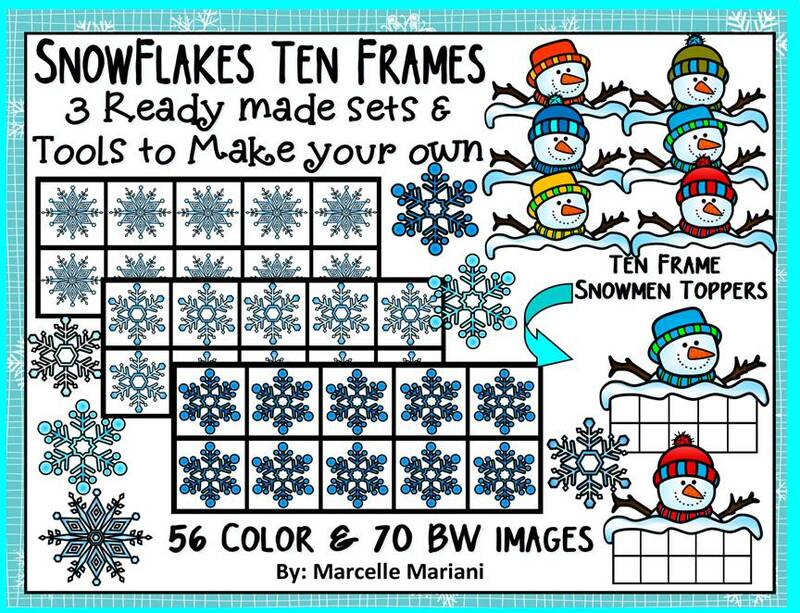 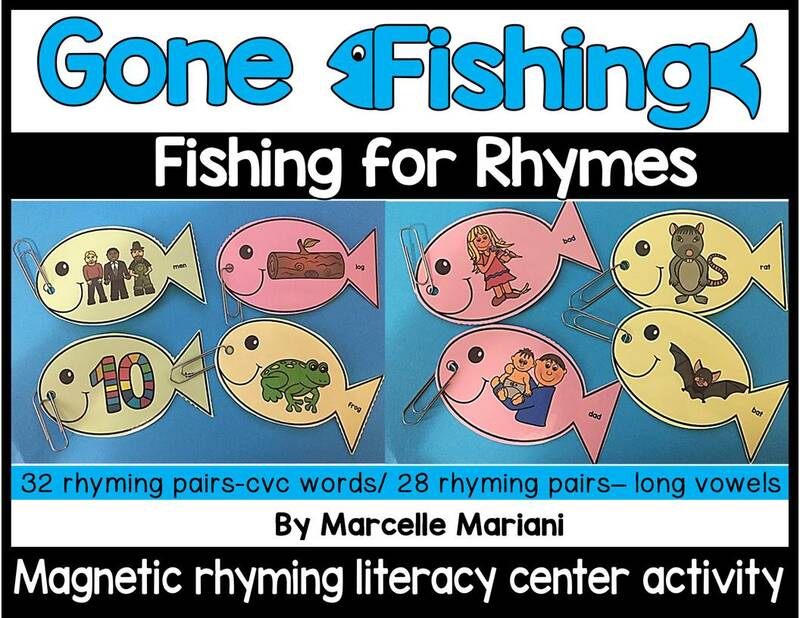 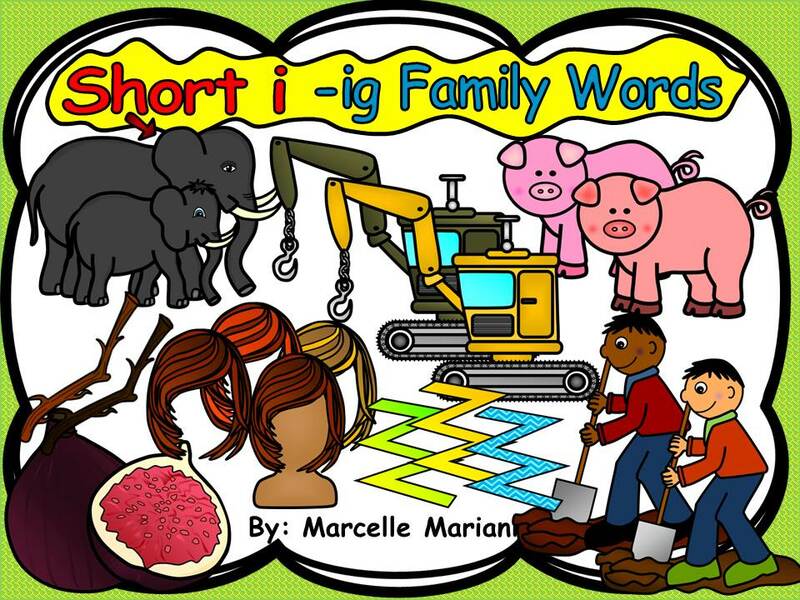 If there are any concerns with this product, PLEASE CONTACT ME FIRST AT MARCELLEMARIANI@GMAIL.COM. 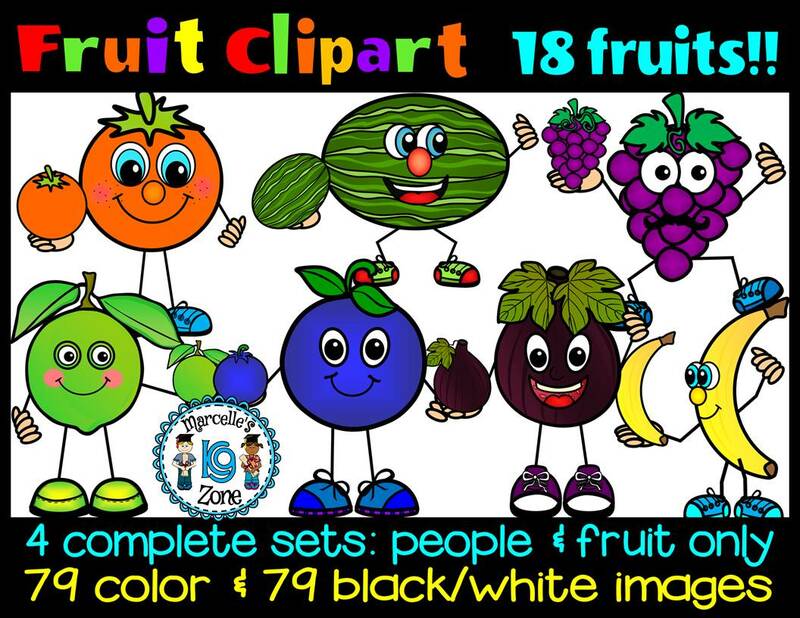 I will ensure that you are absolutely 100% satisfied with your purchase.